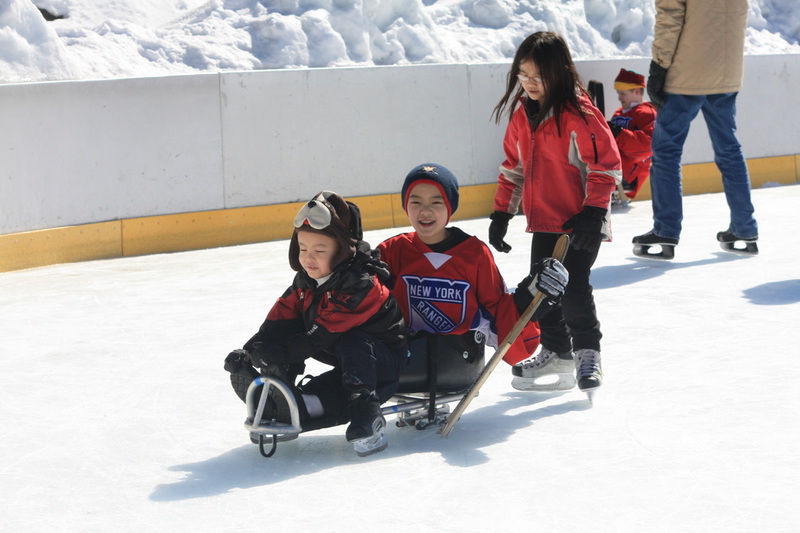 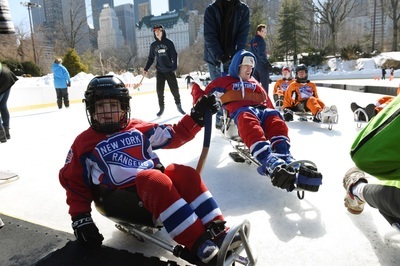 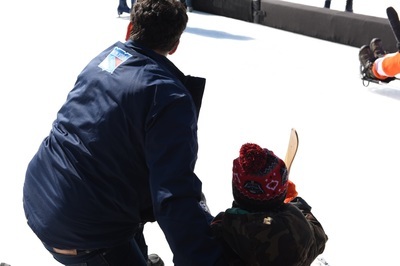 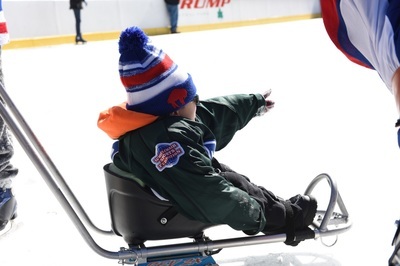 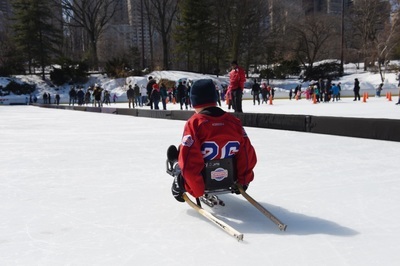 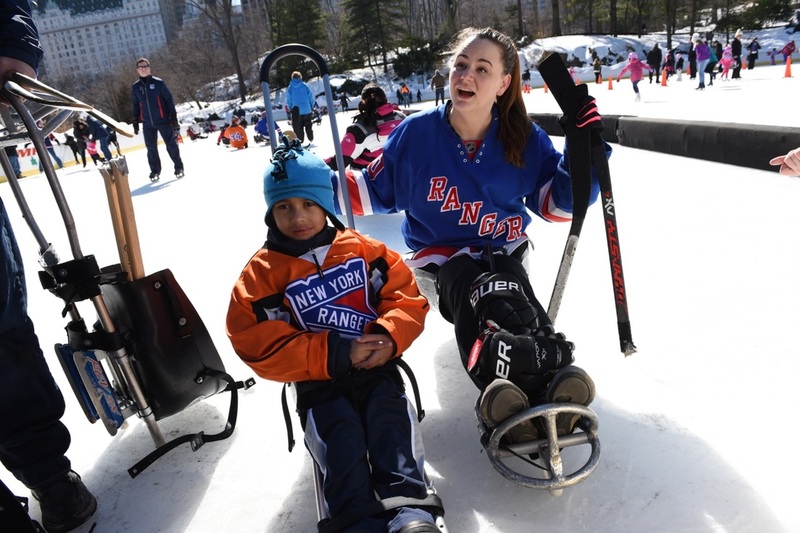 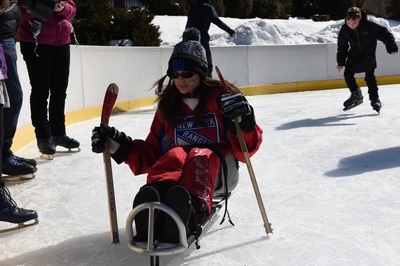 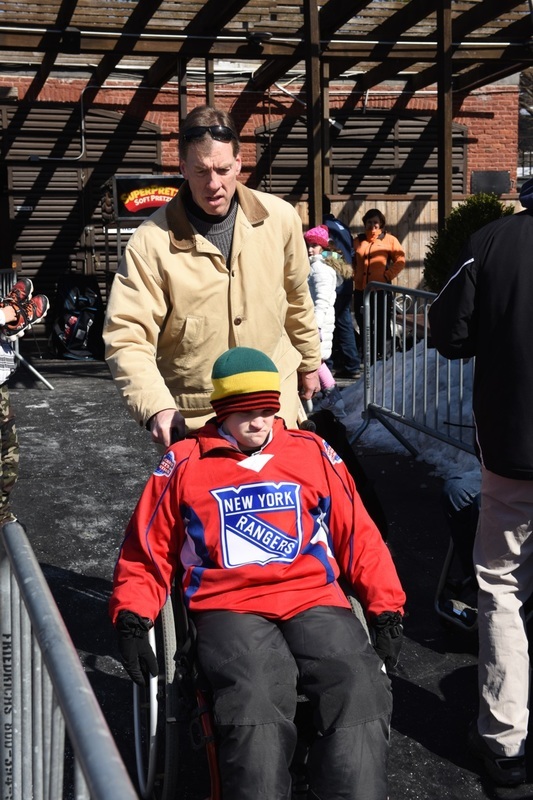 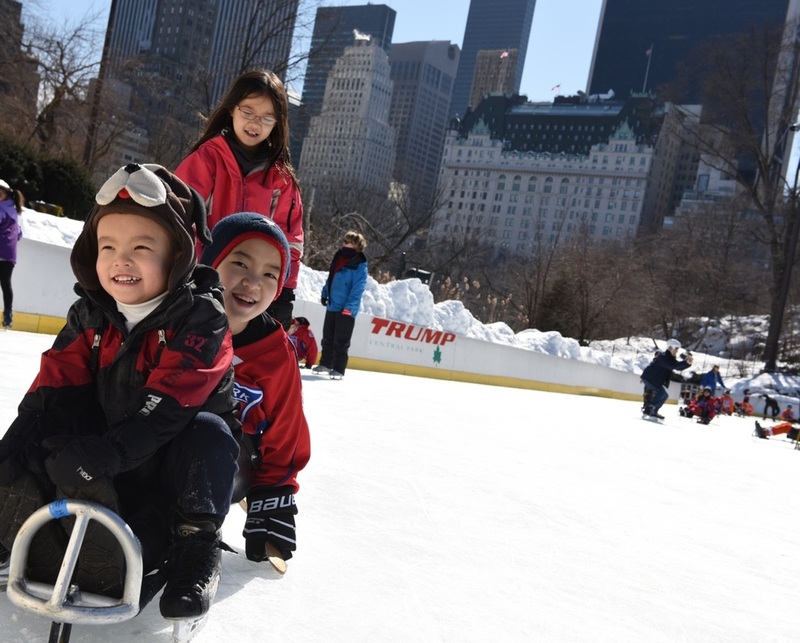 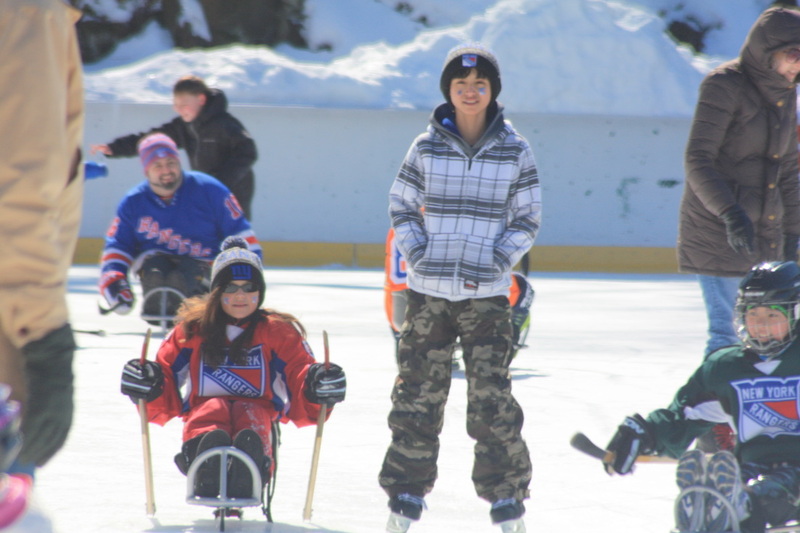 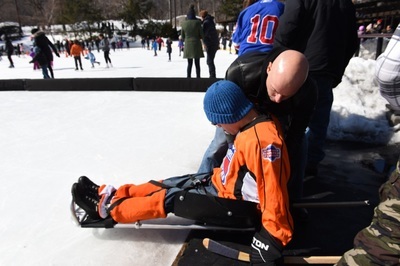 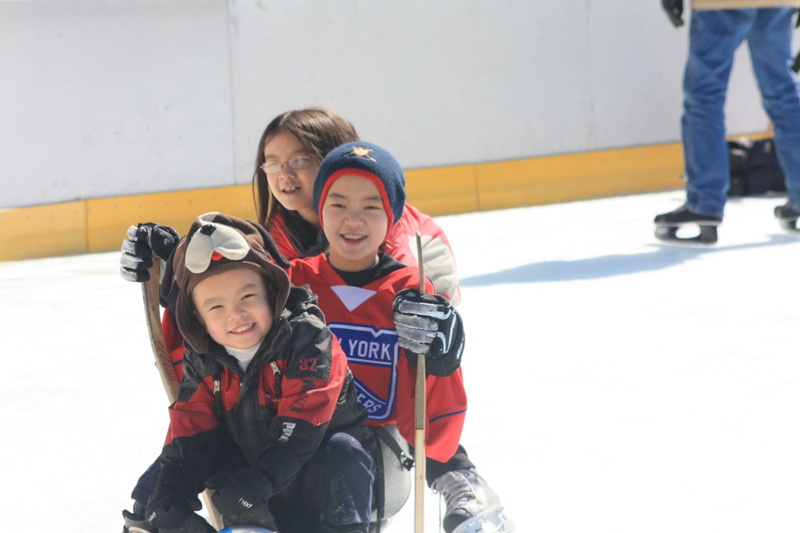 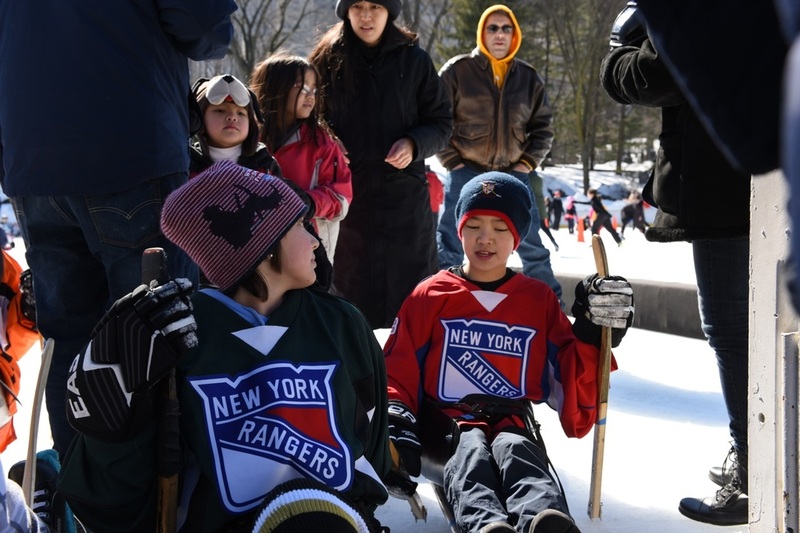 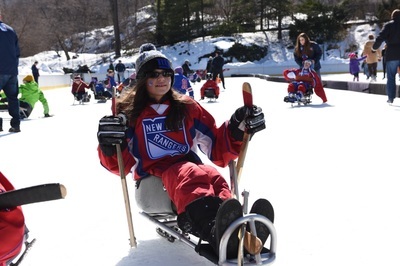 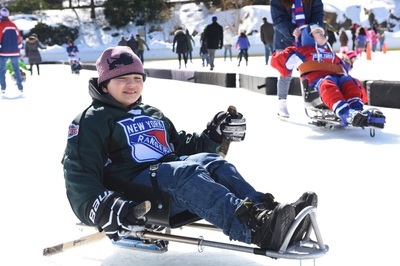 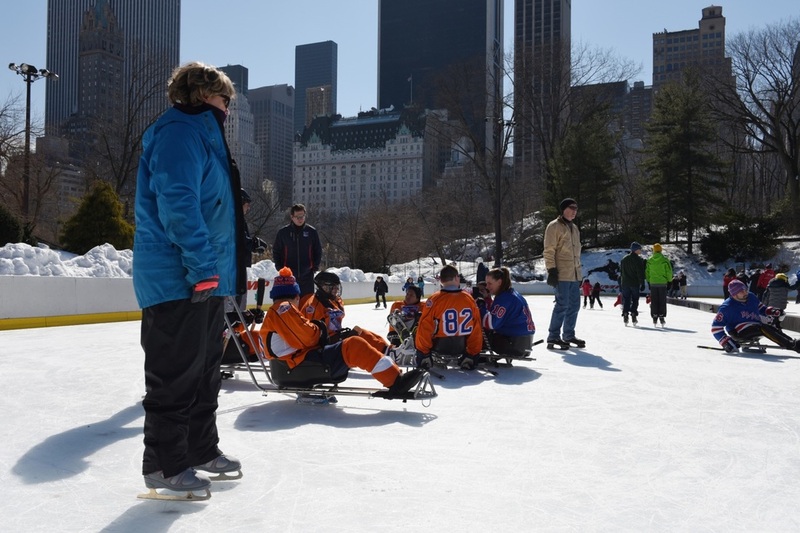 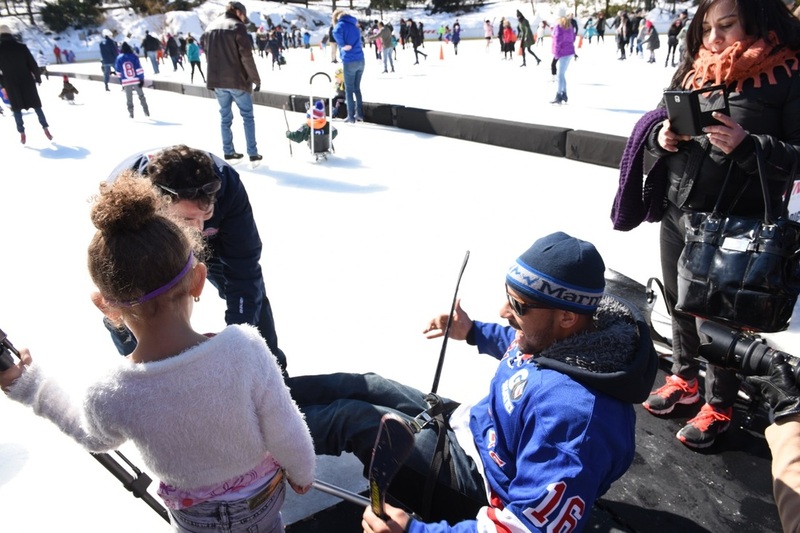 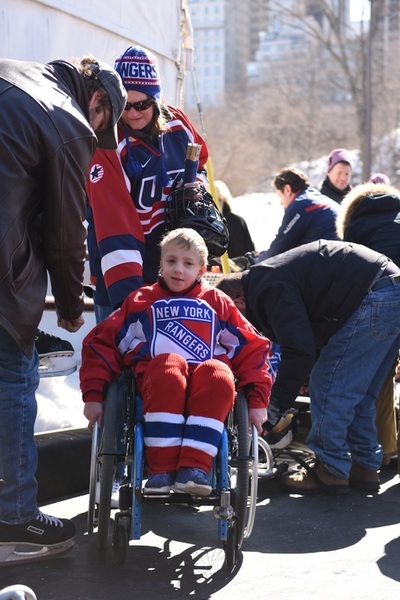 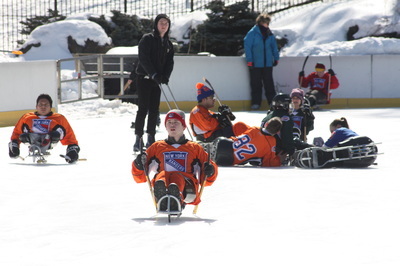 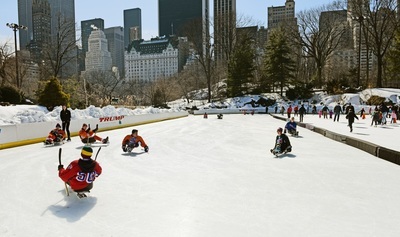 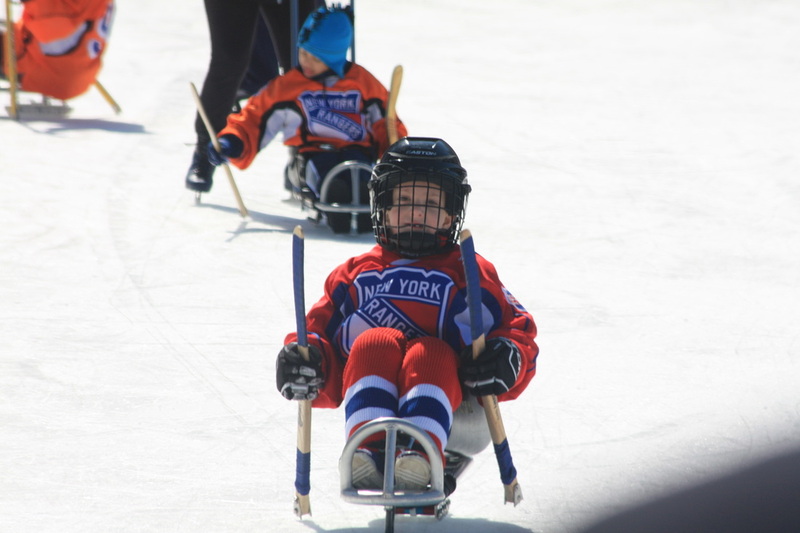 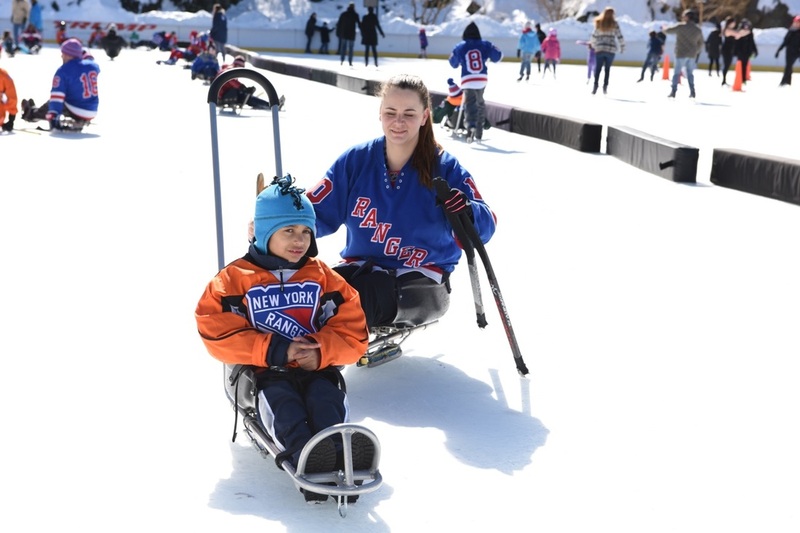 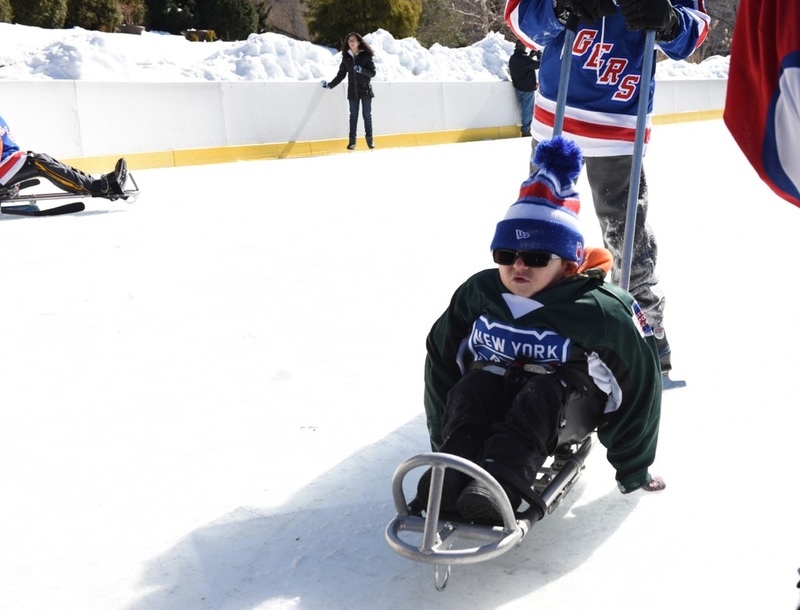 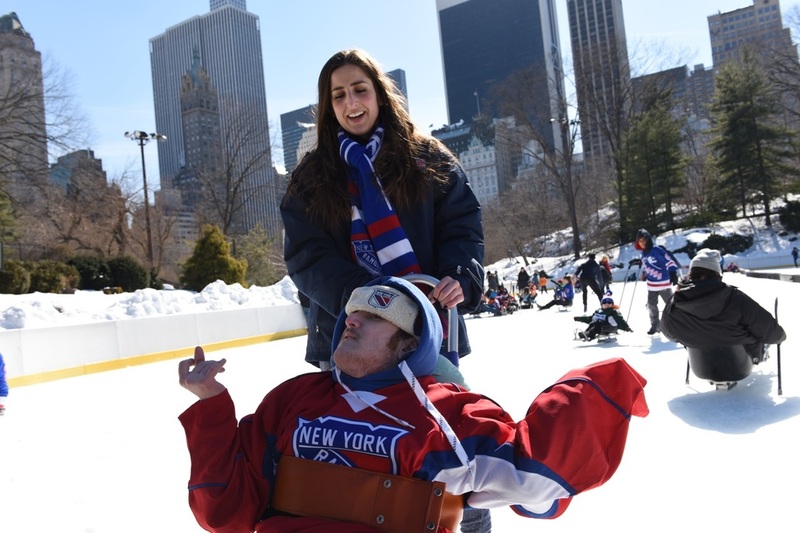 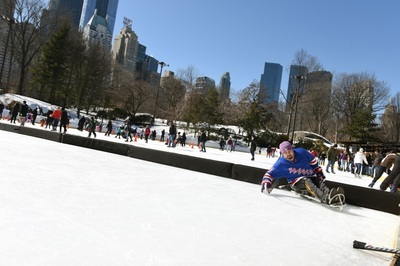 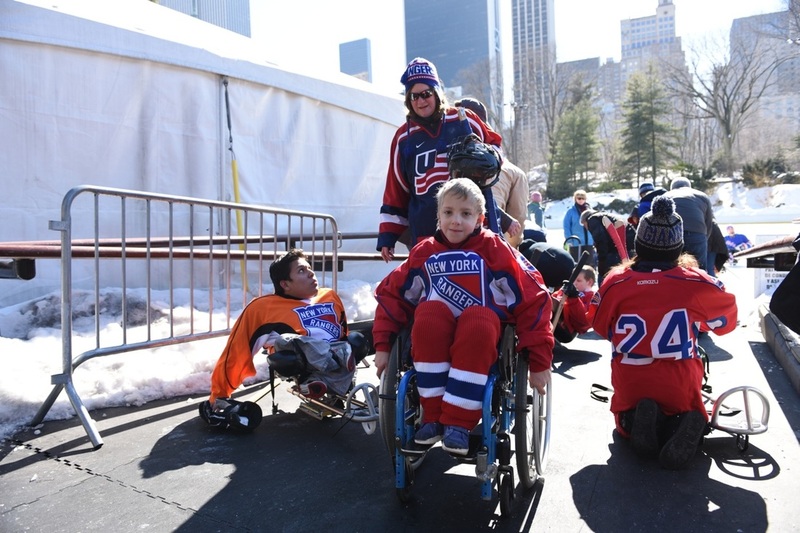 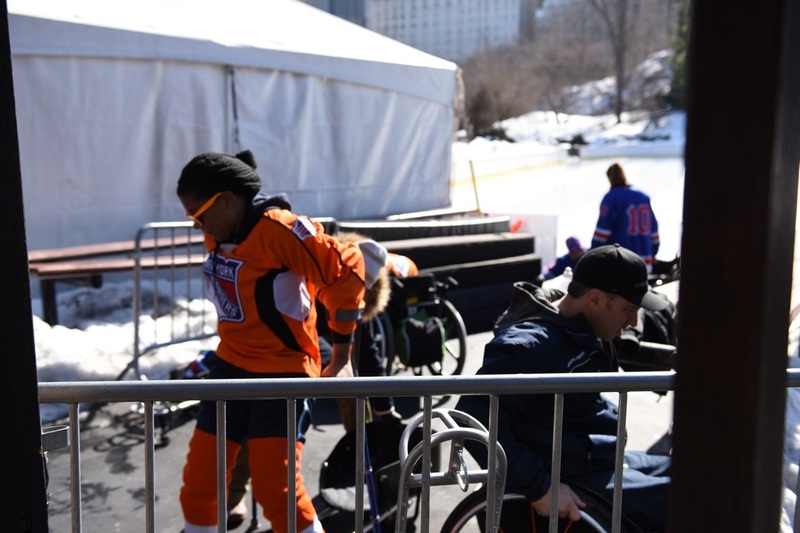 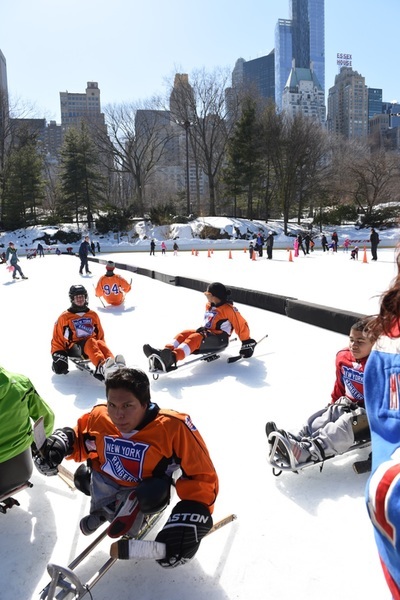 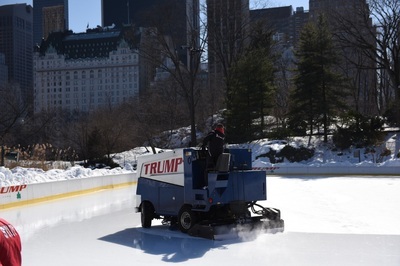 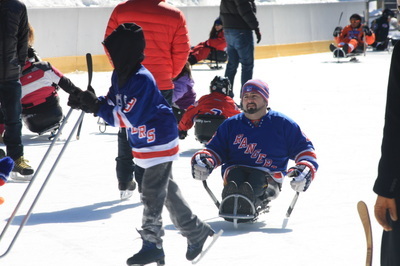 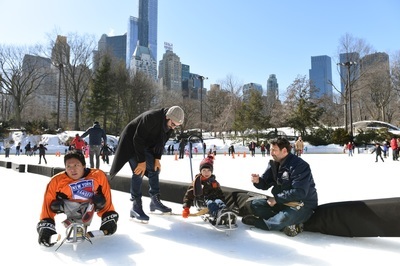 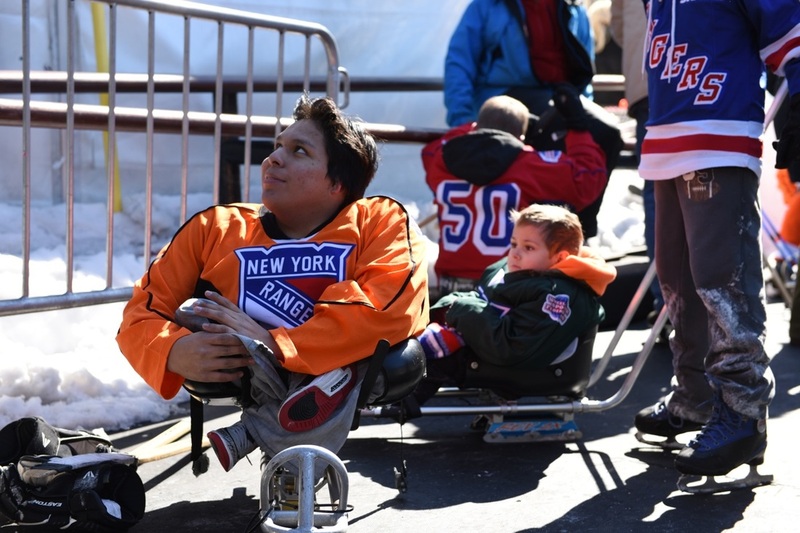 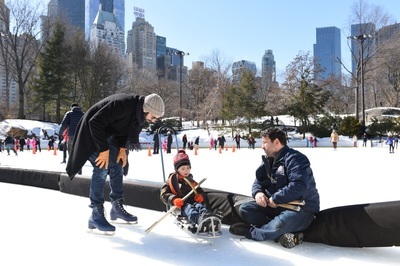 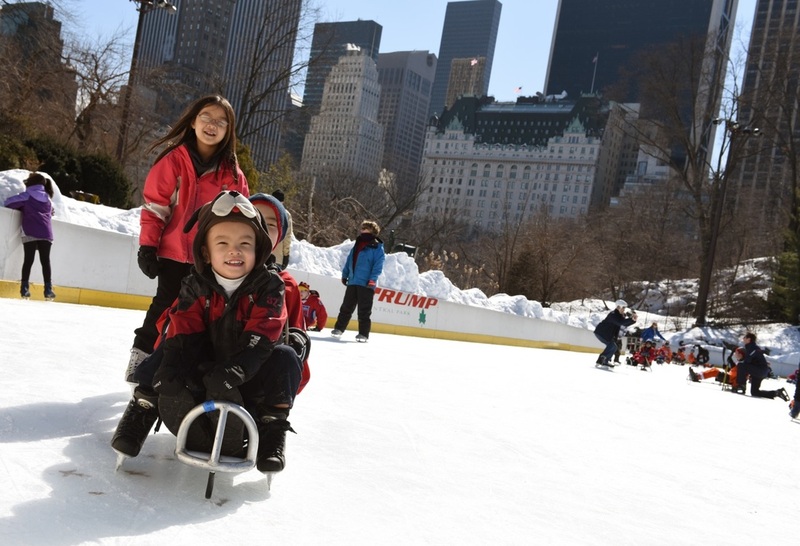 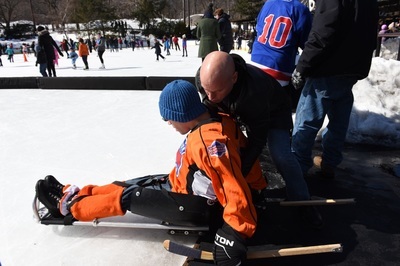 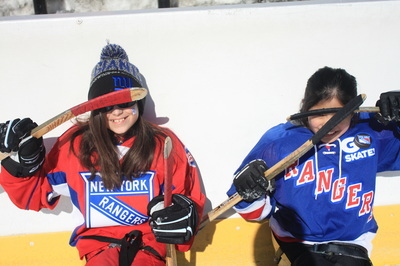 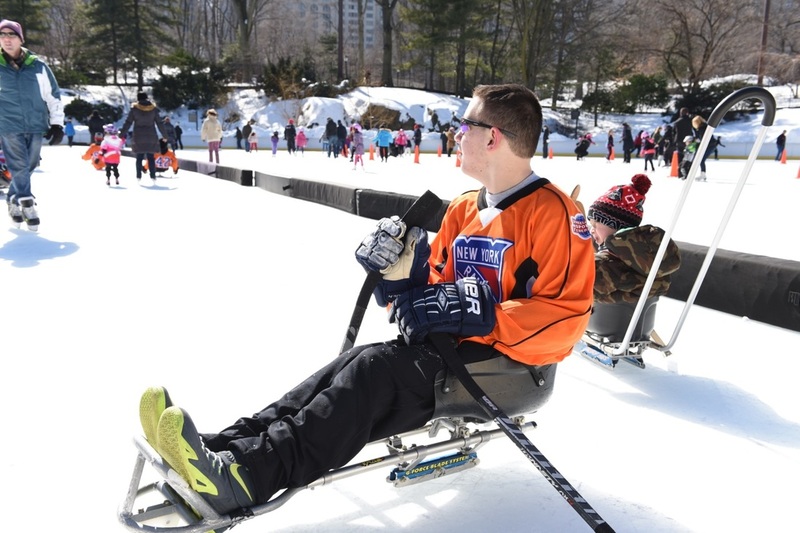 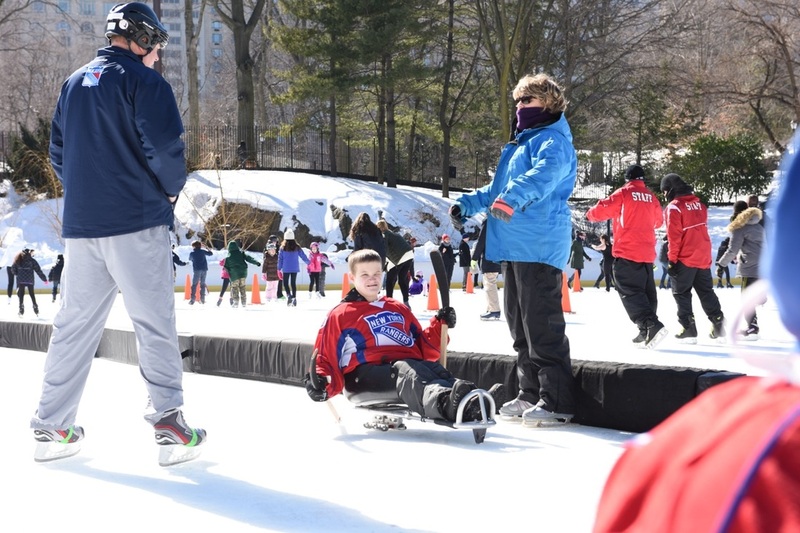 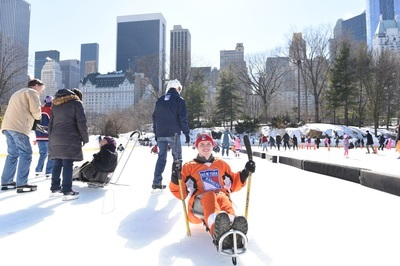 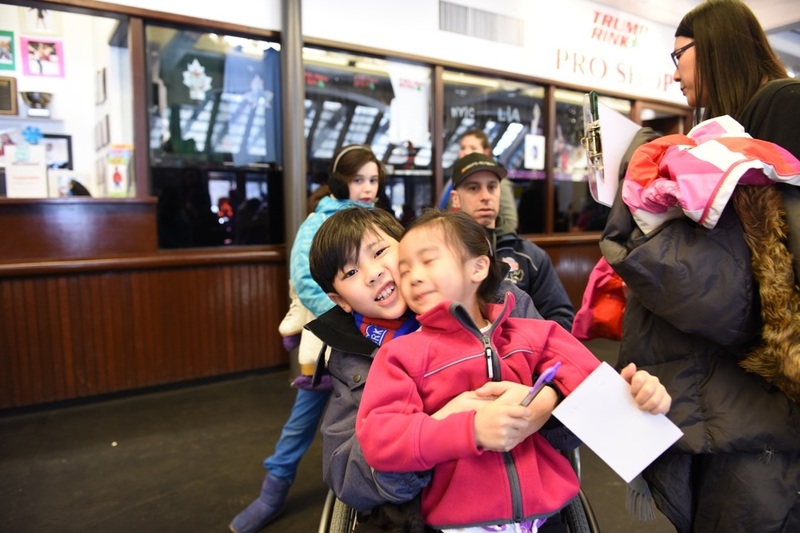 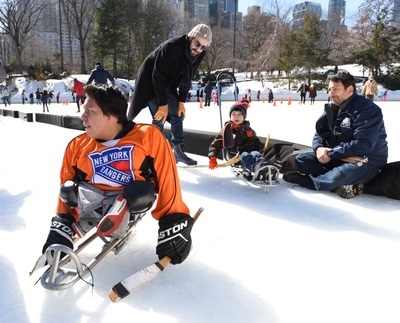 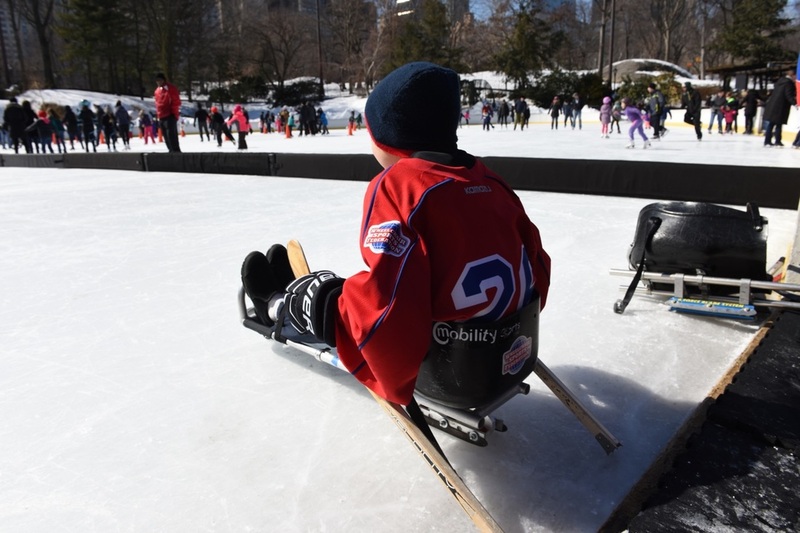 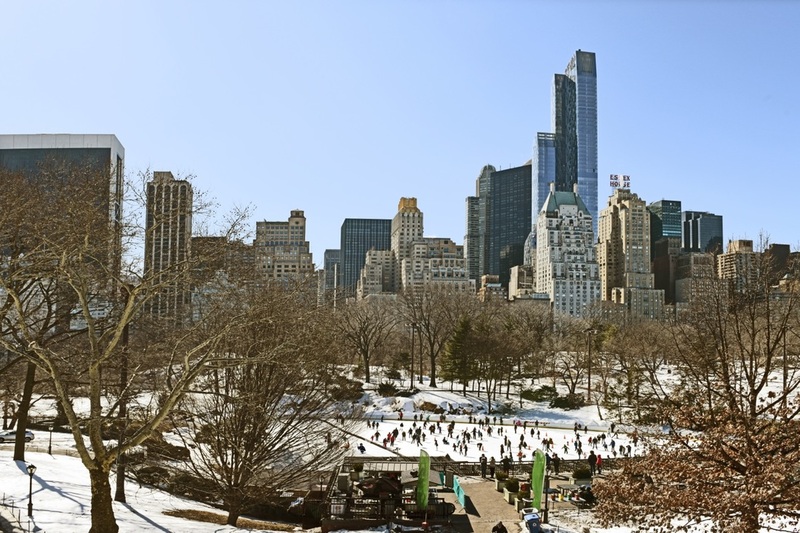 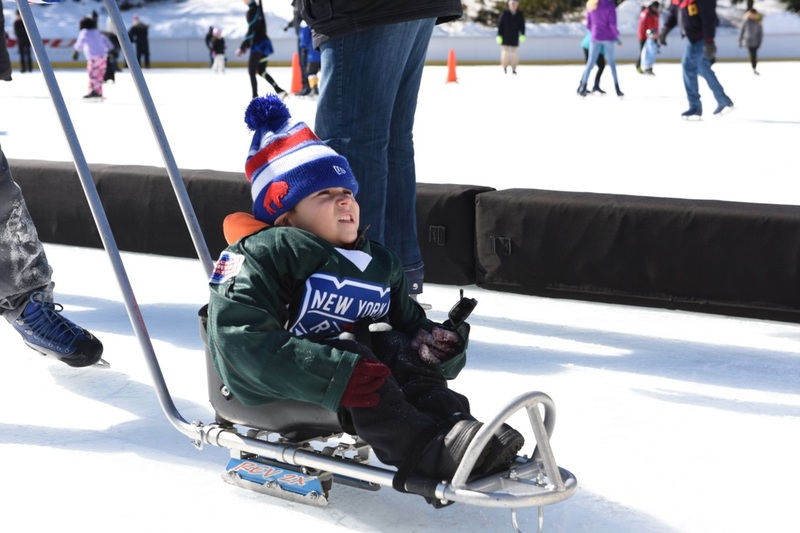 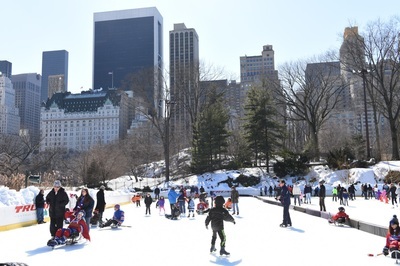 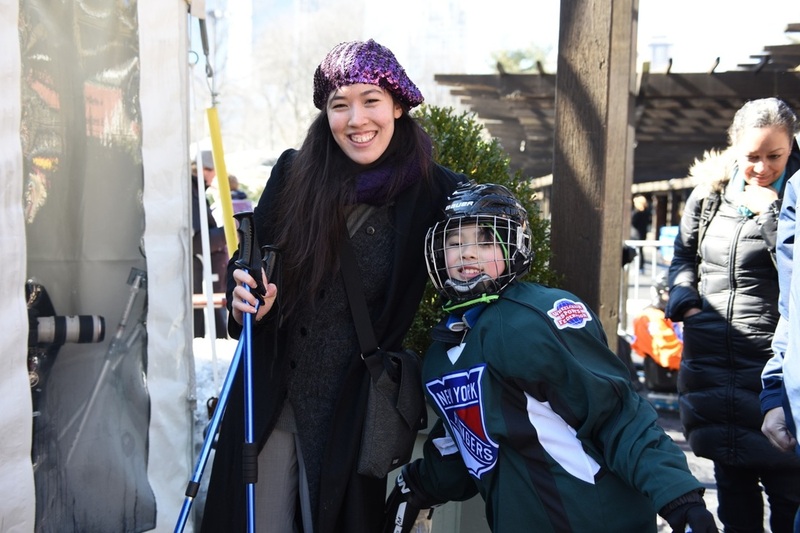 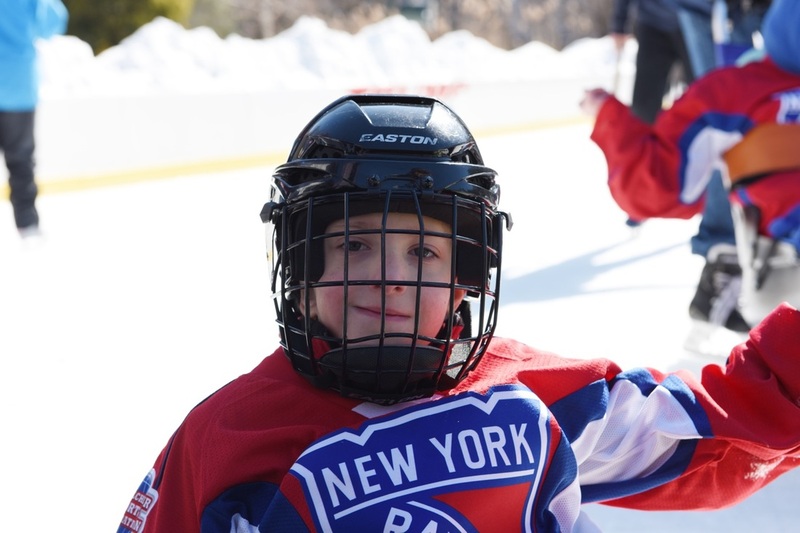 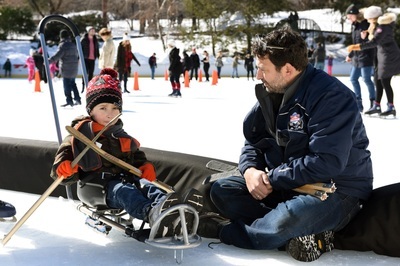 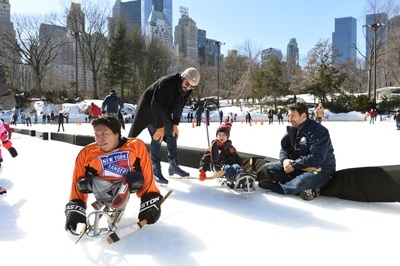 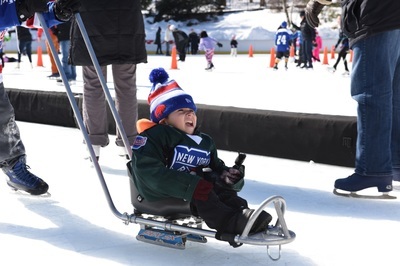 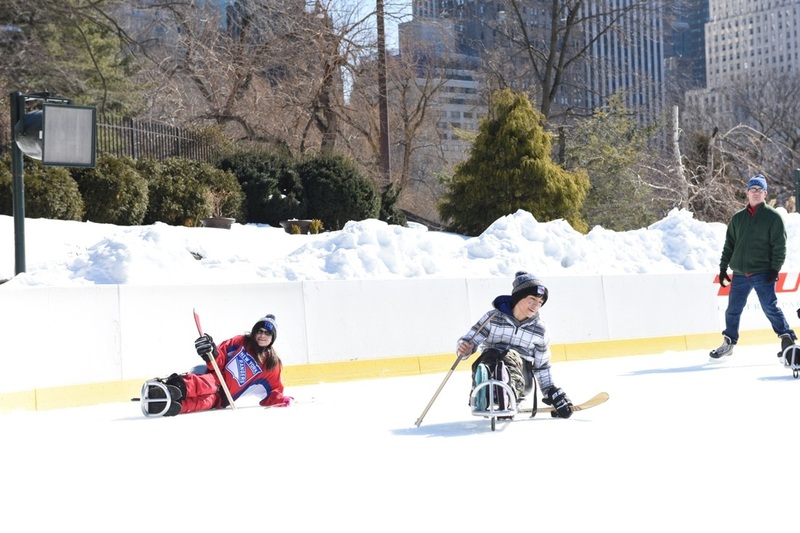 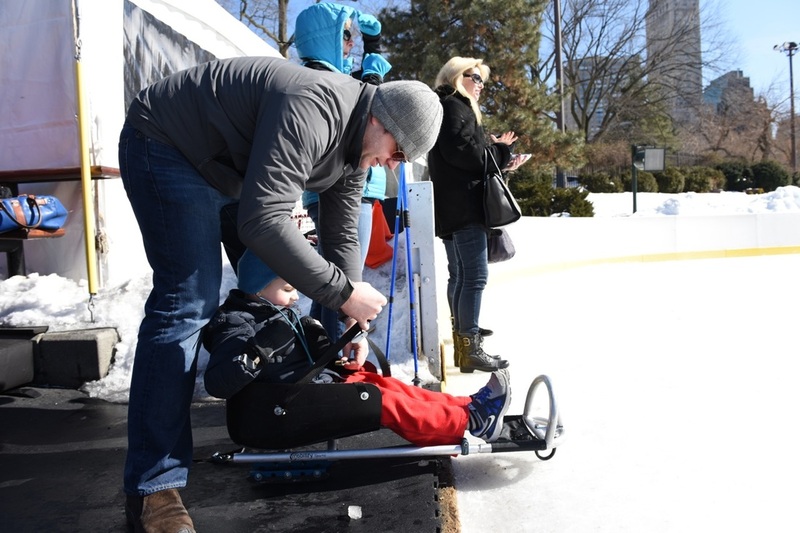 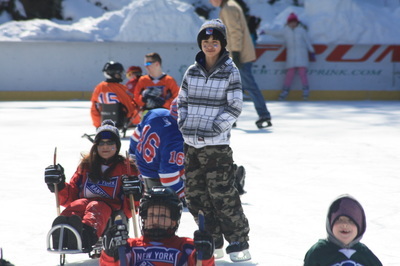 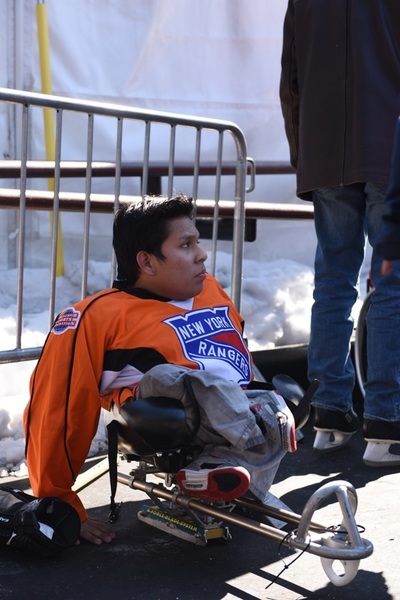 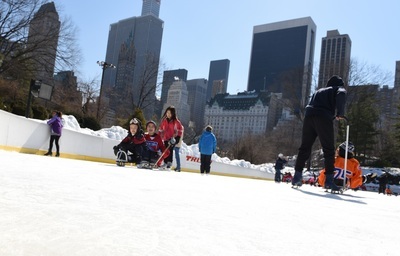 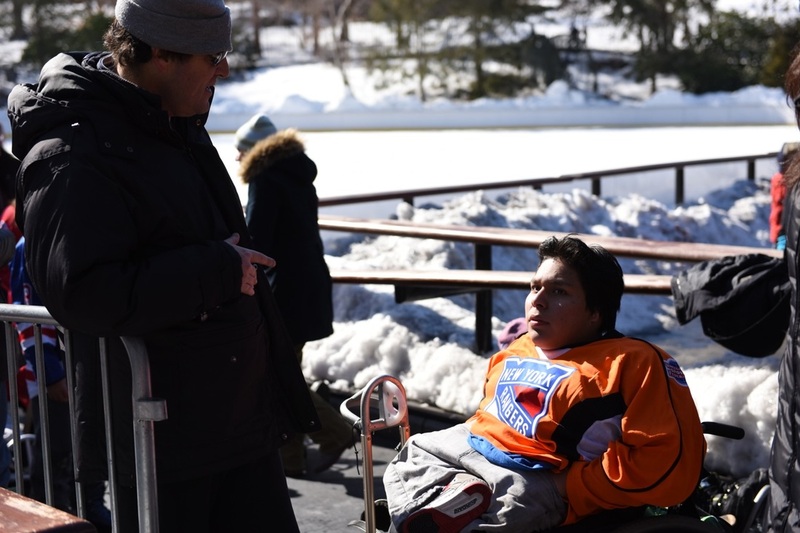 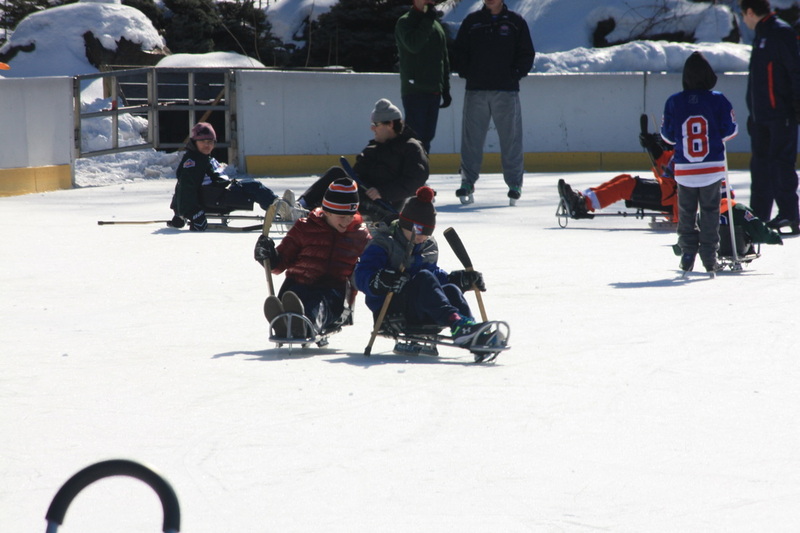 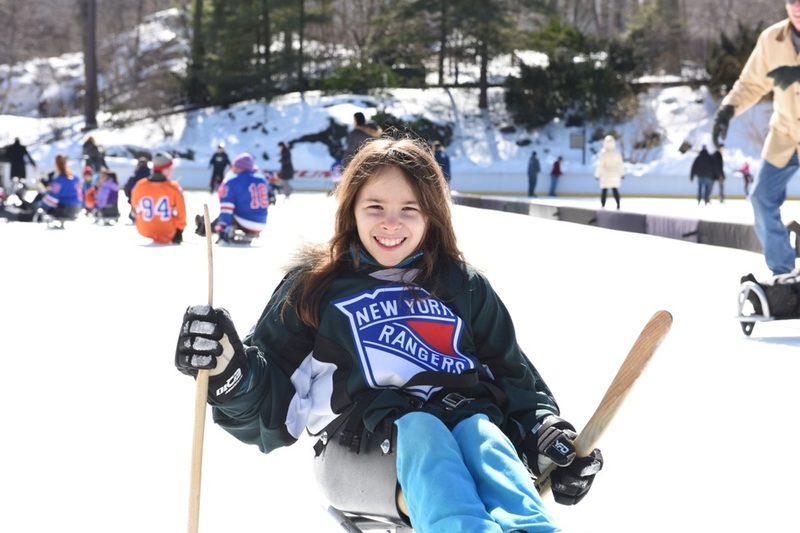 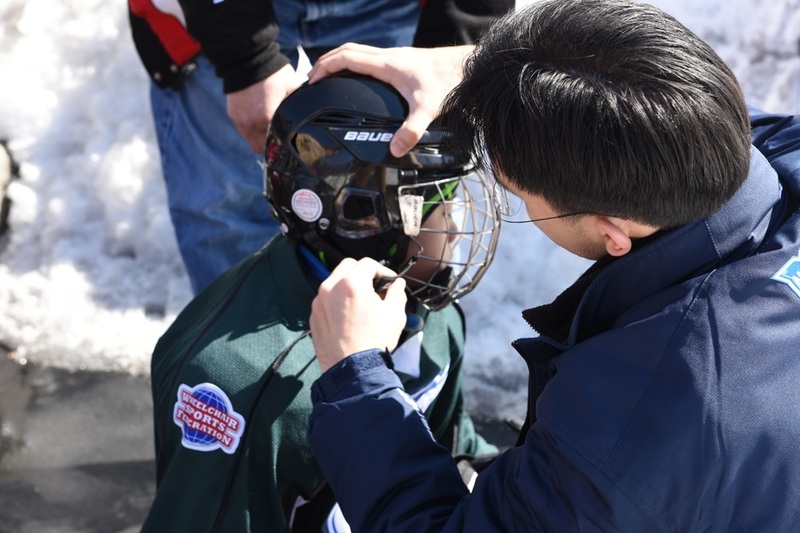 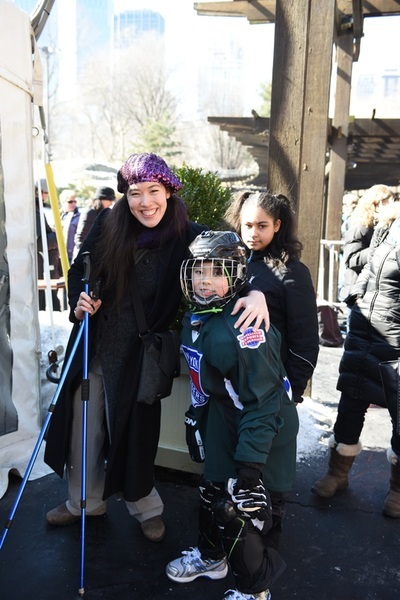 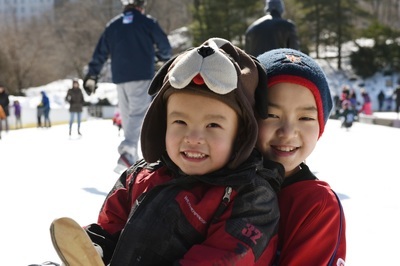 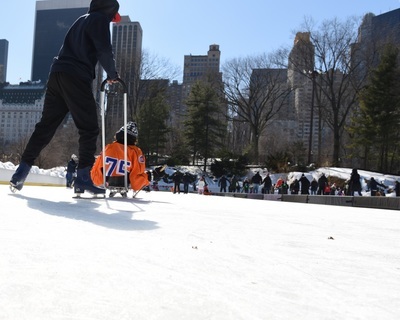 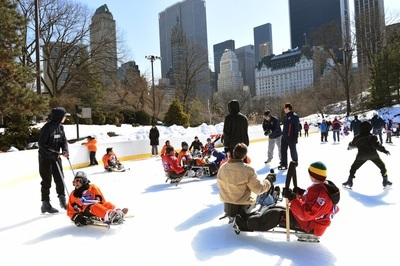 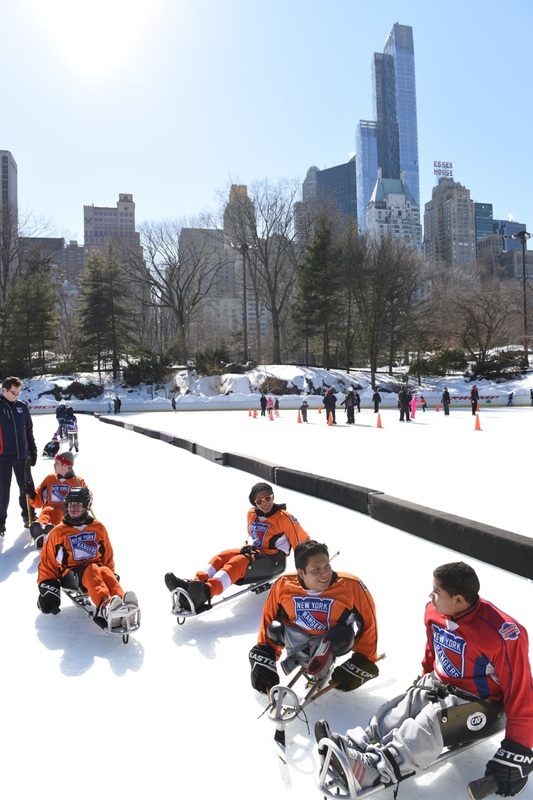 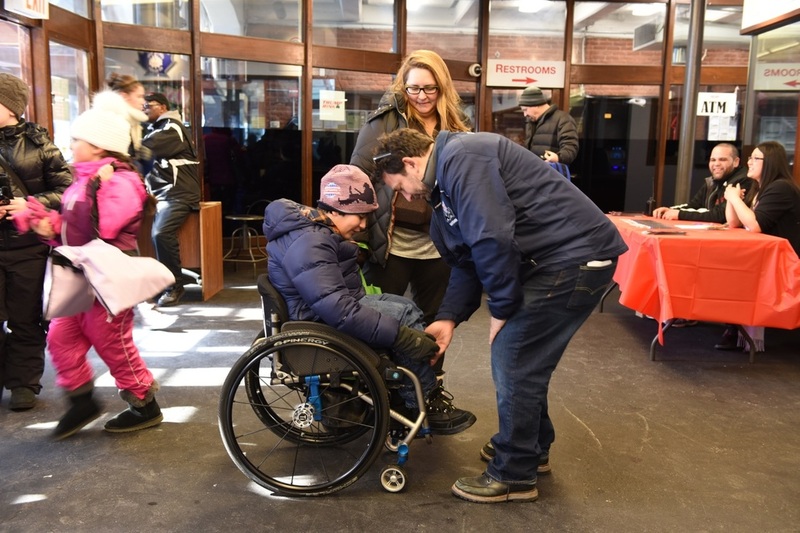 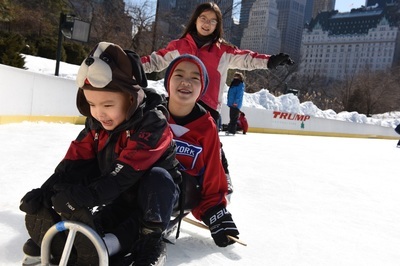 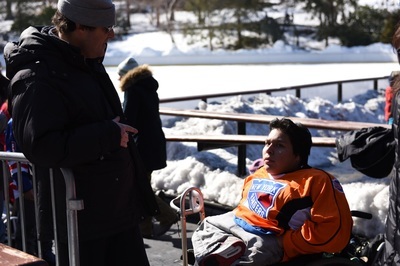 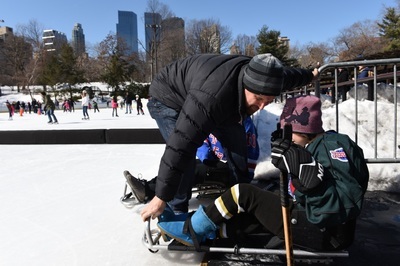 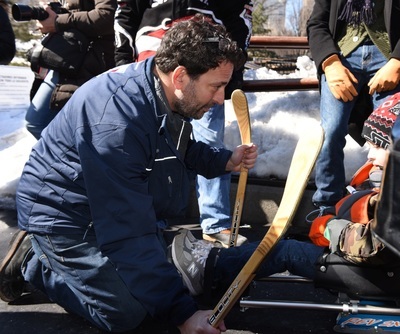 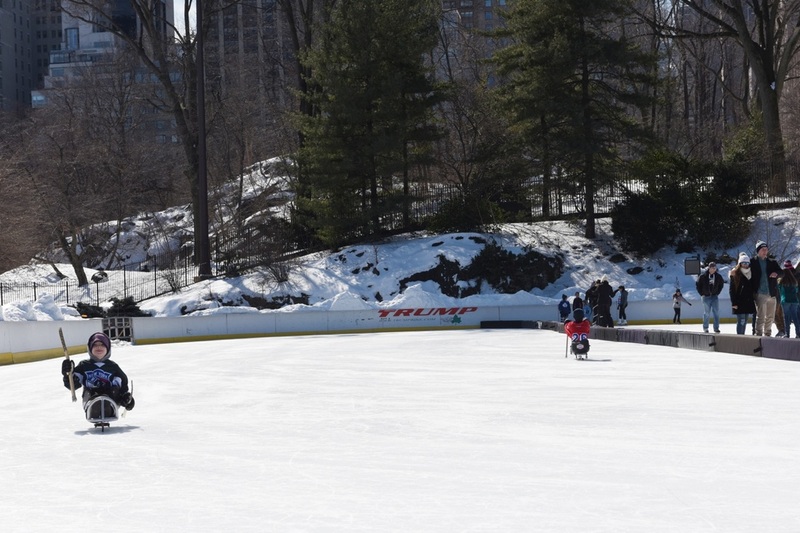 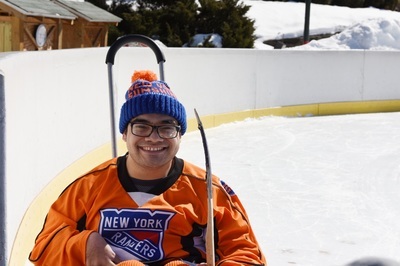 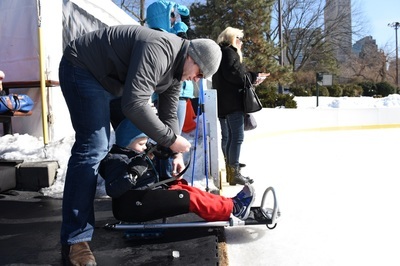 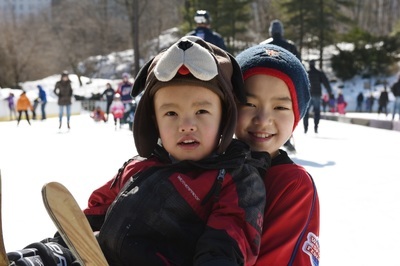 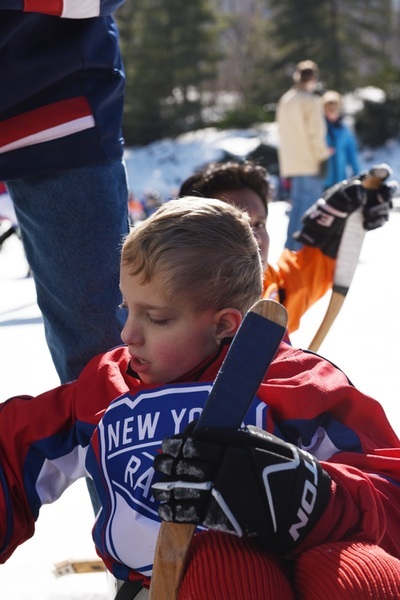 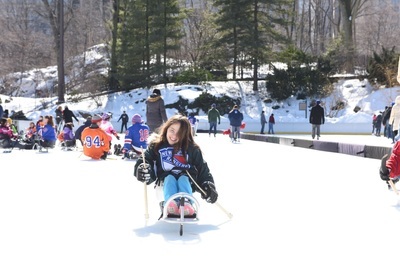 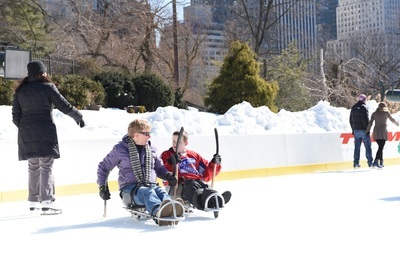 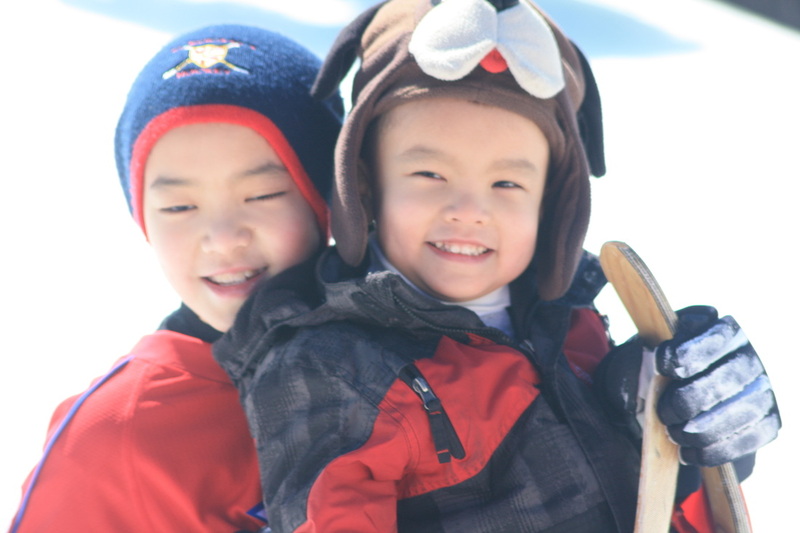 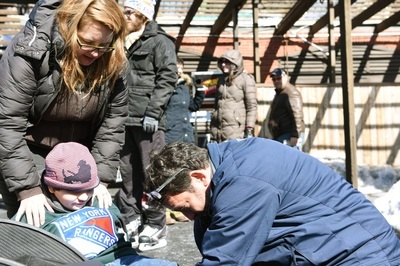 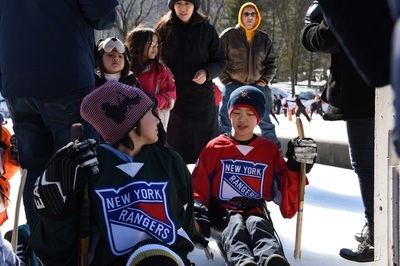 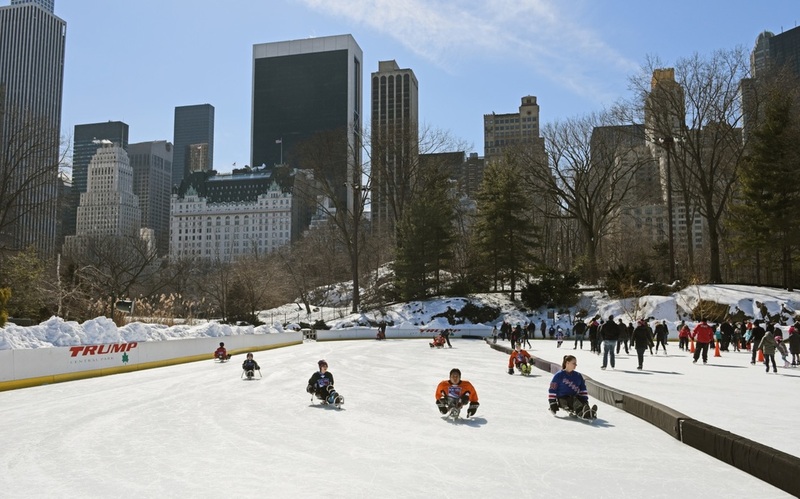 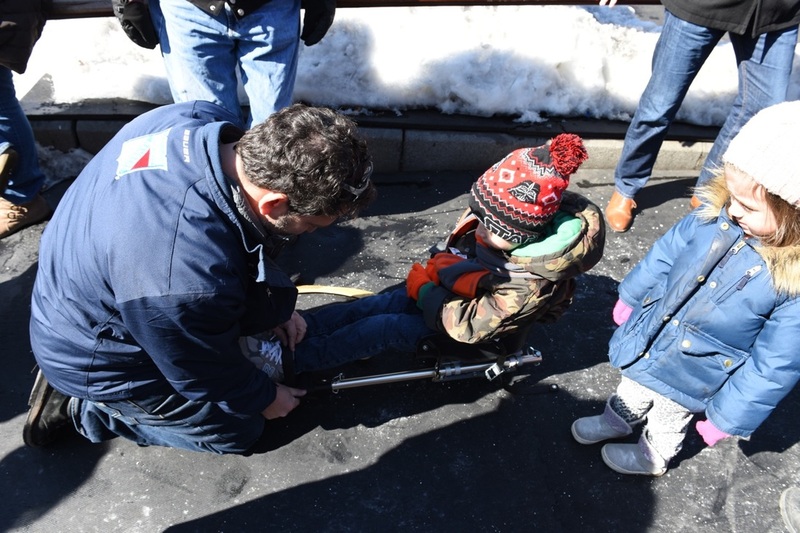 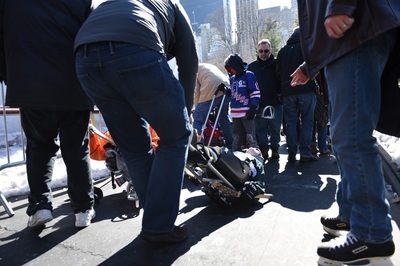 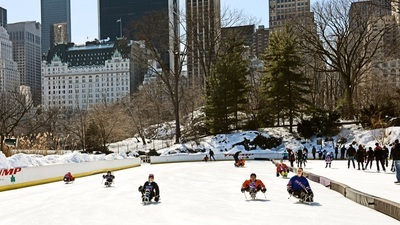 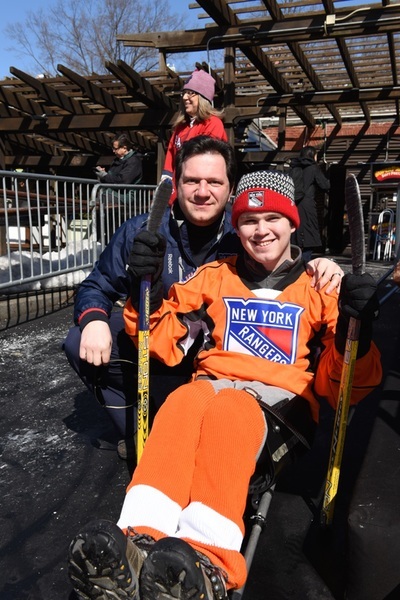 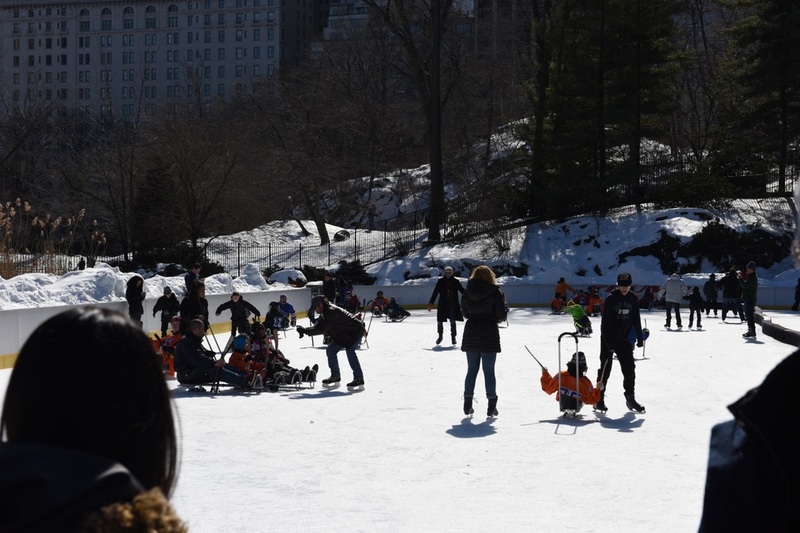 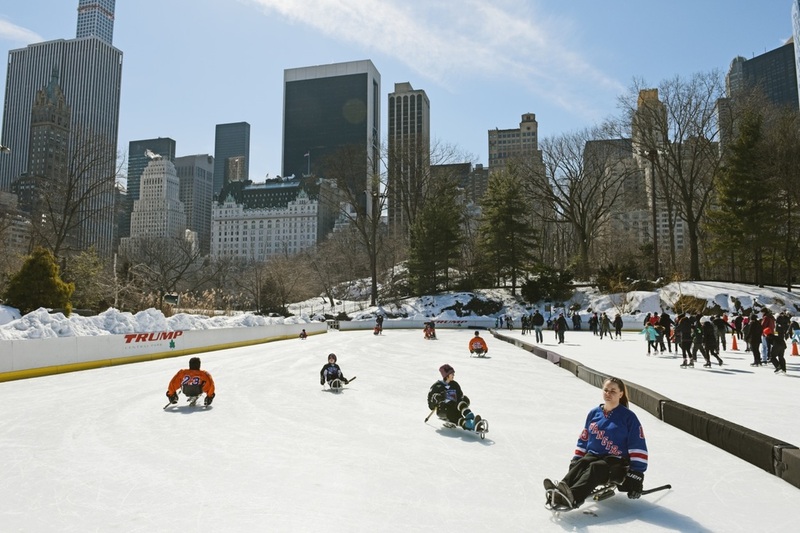 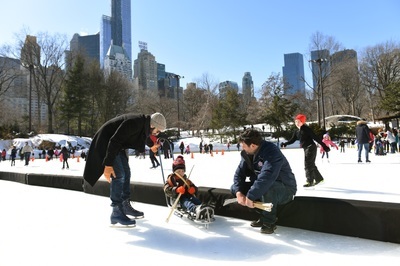 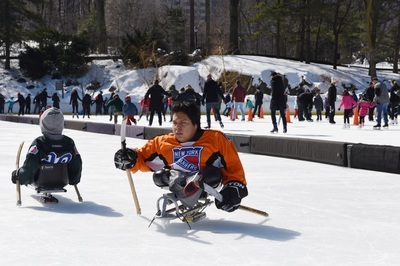 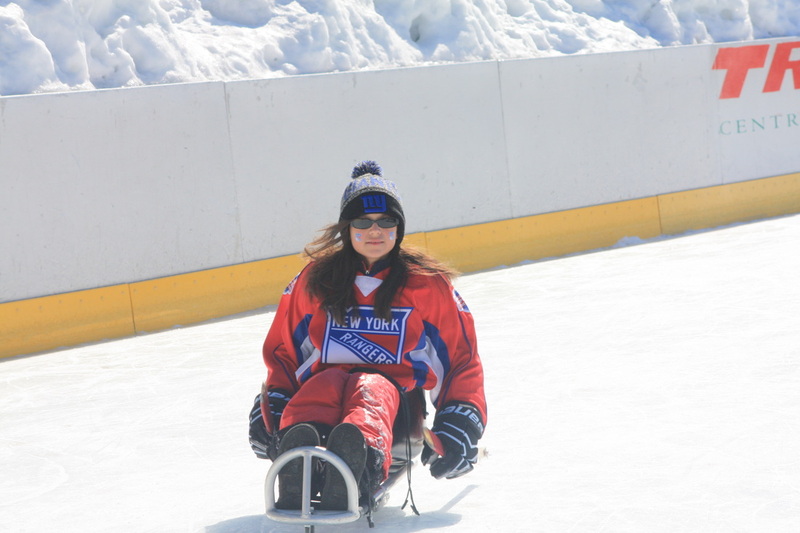 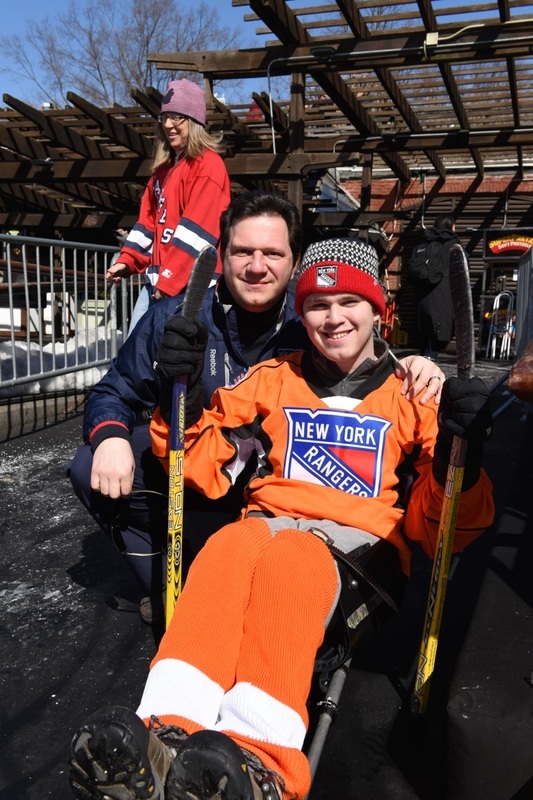 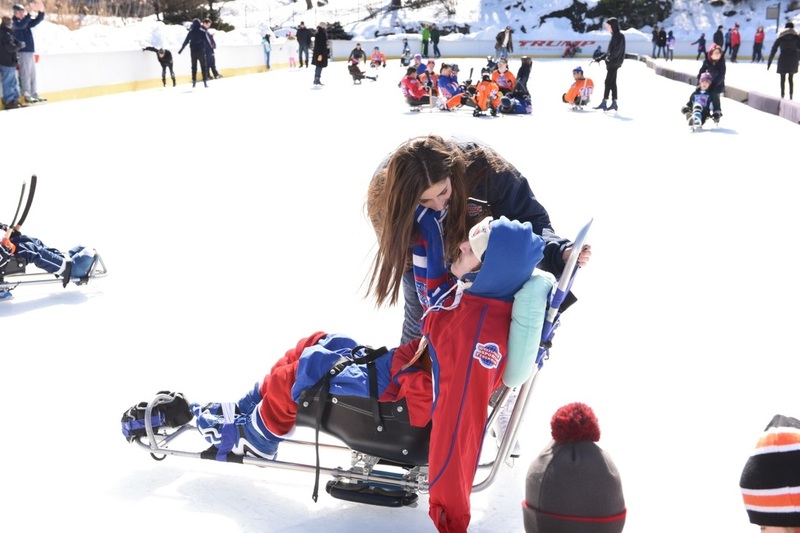 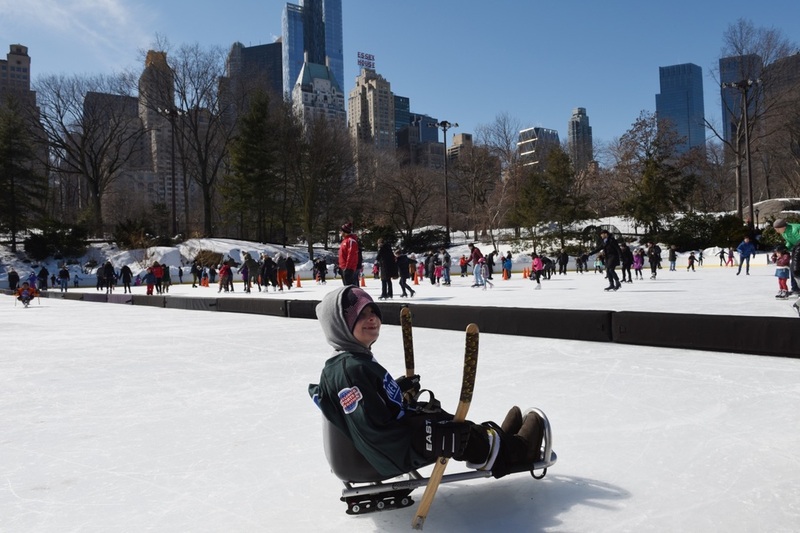 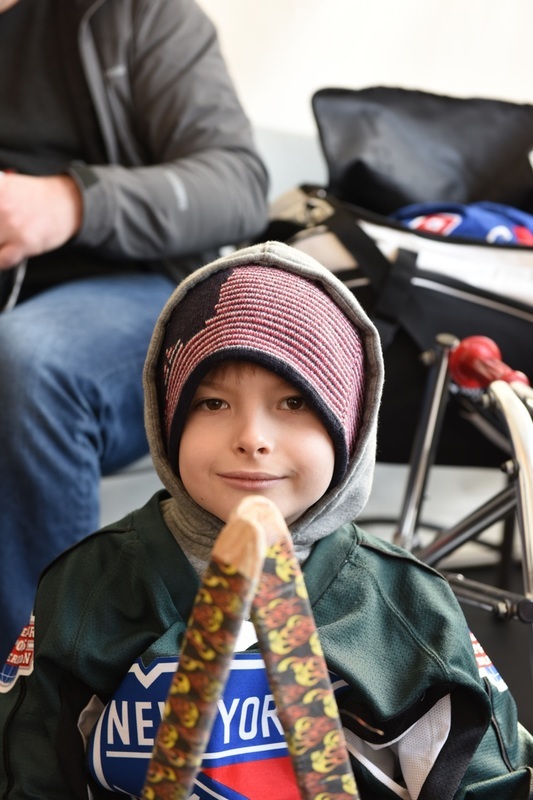 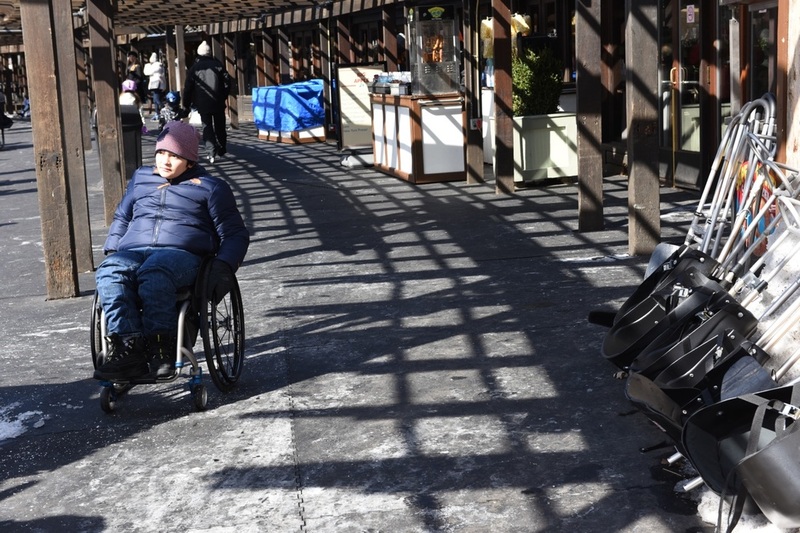 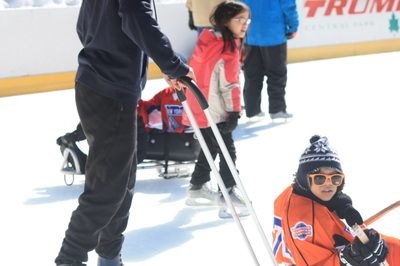 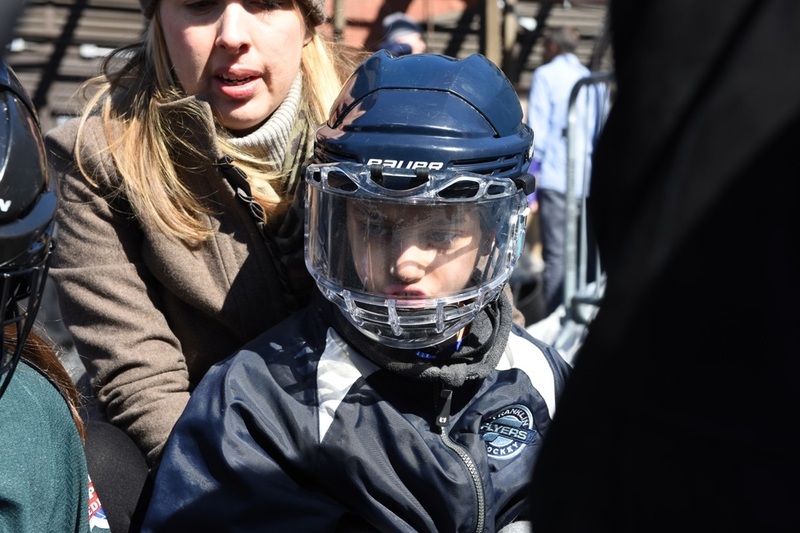 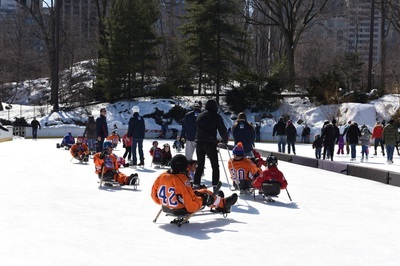 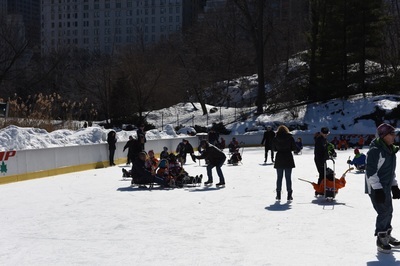 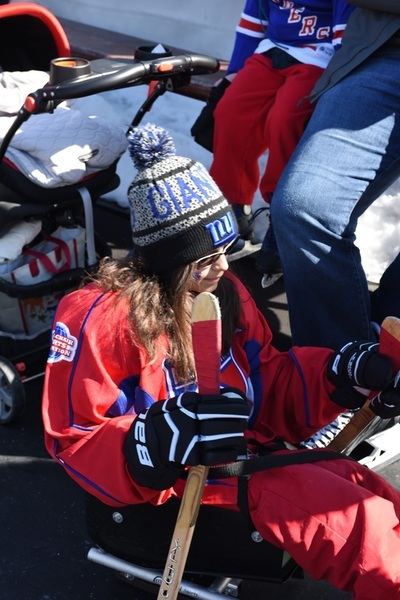 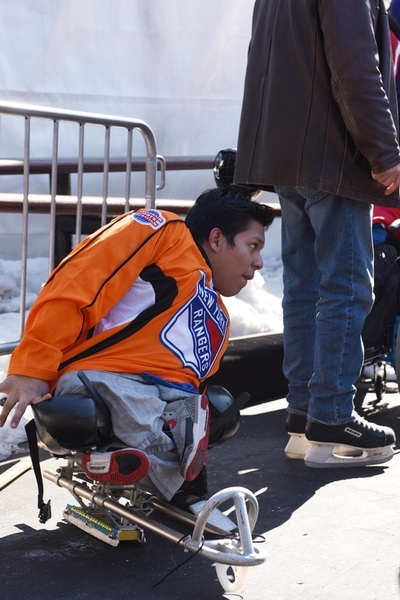 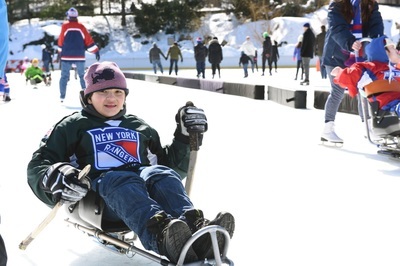 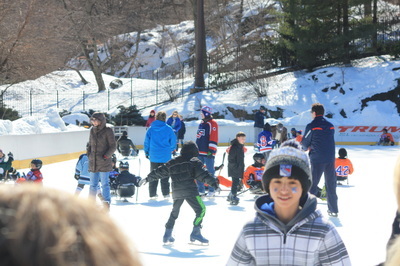 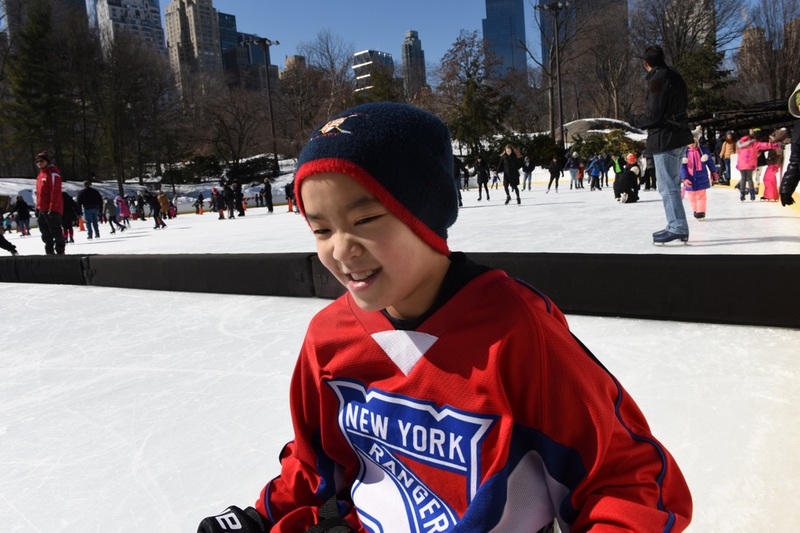 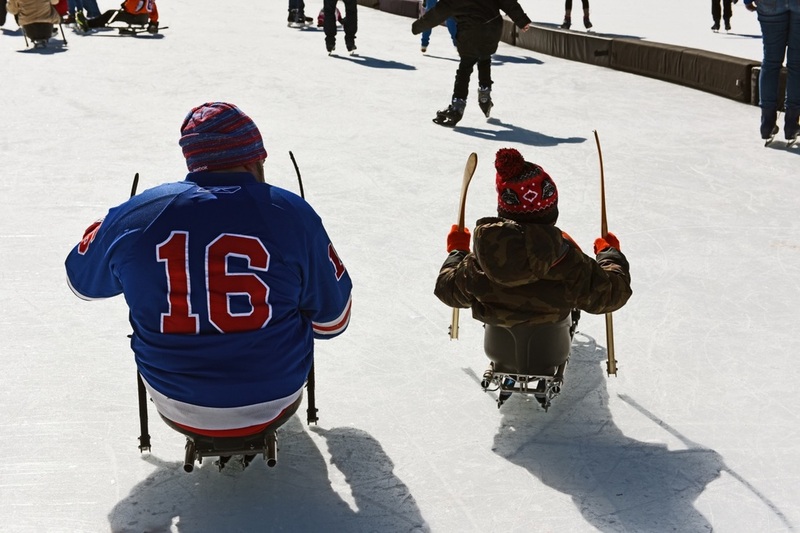 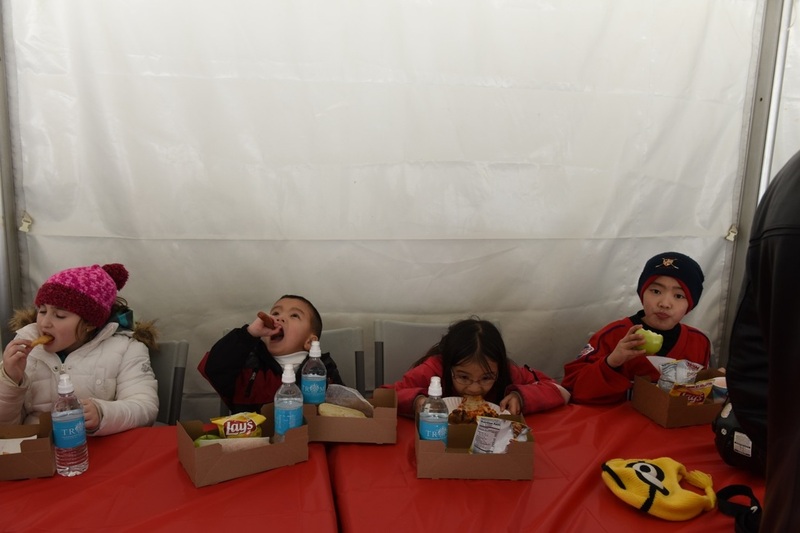 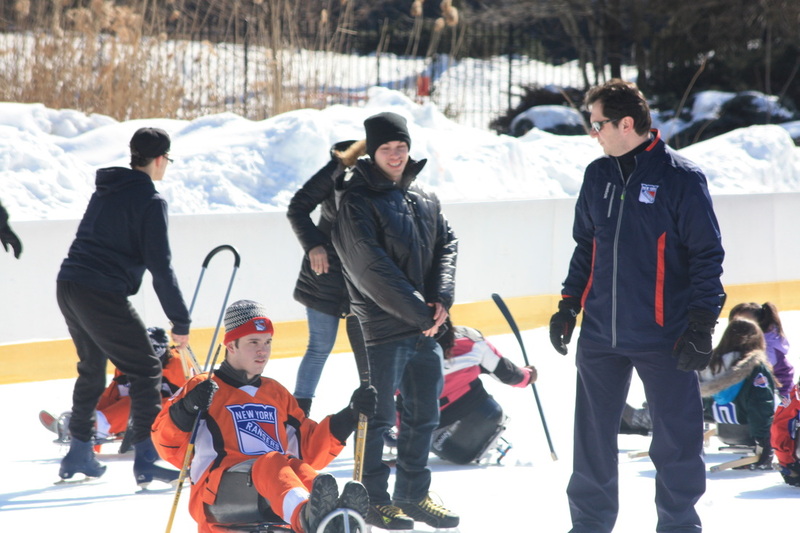 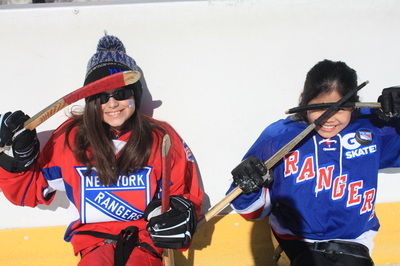 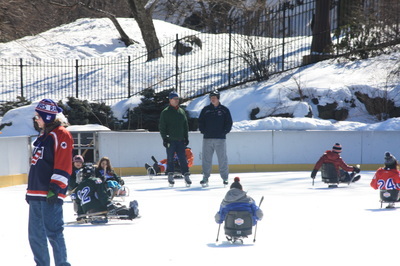 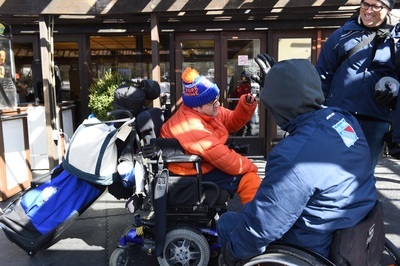 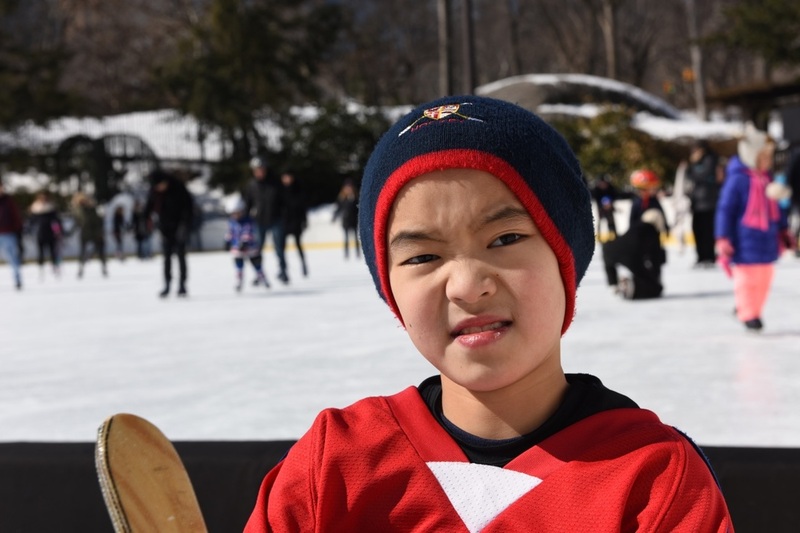 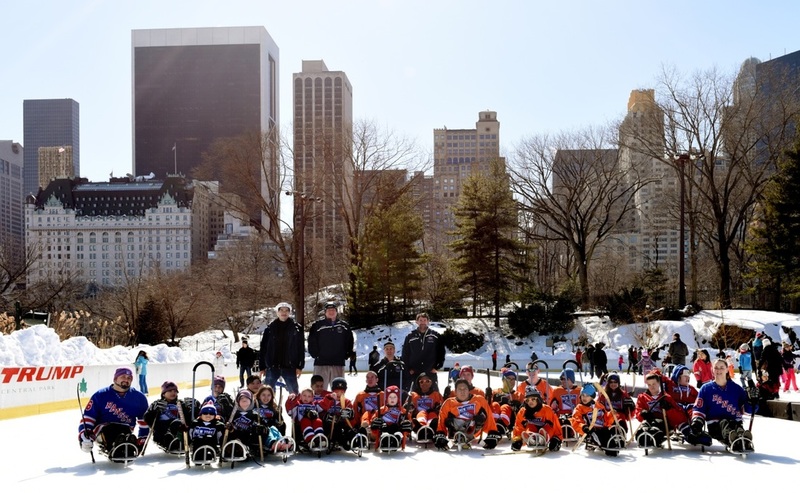 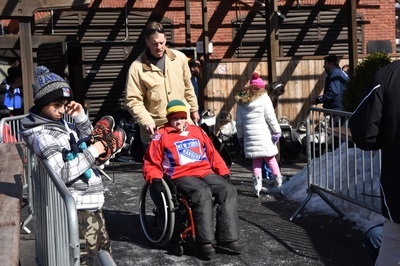 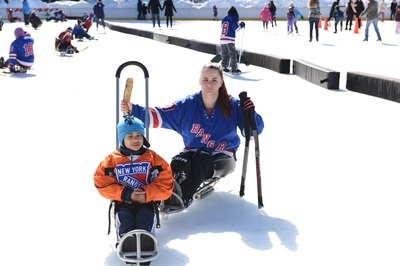 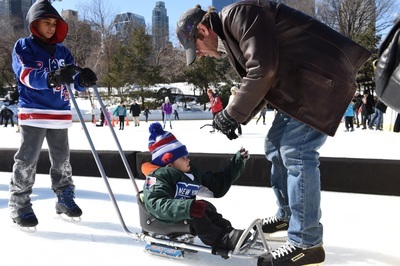 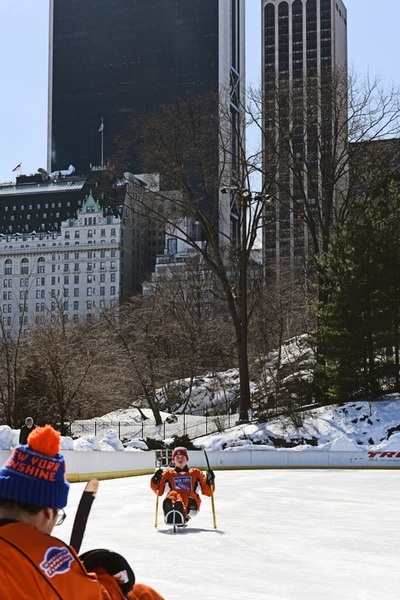 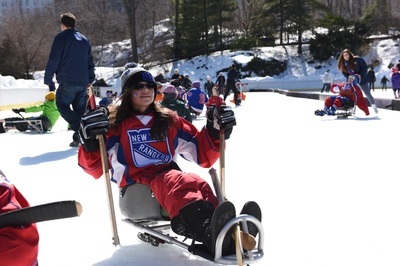 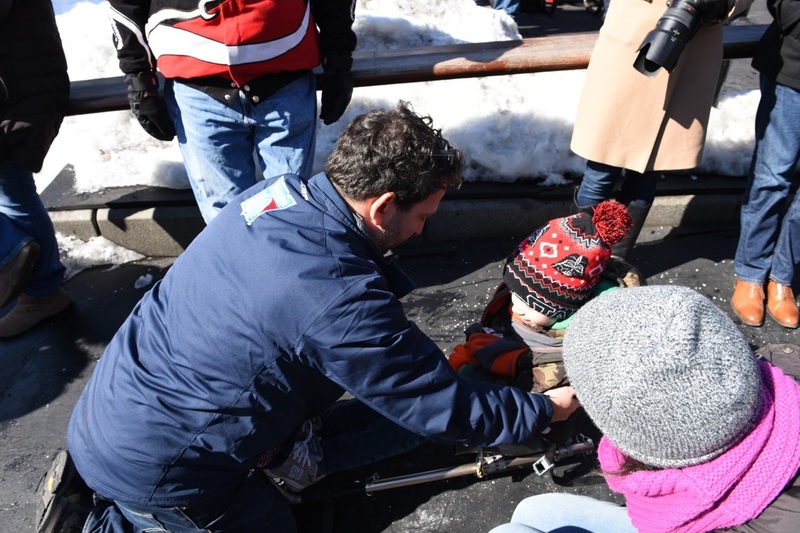 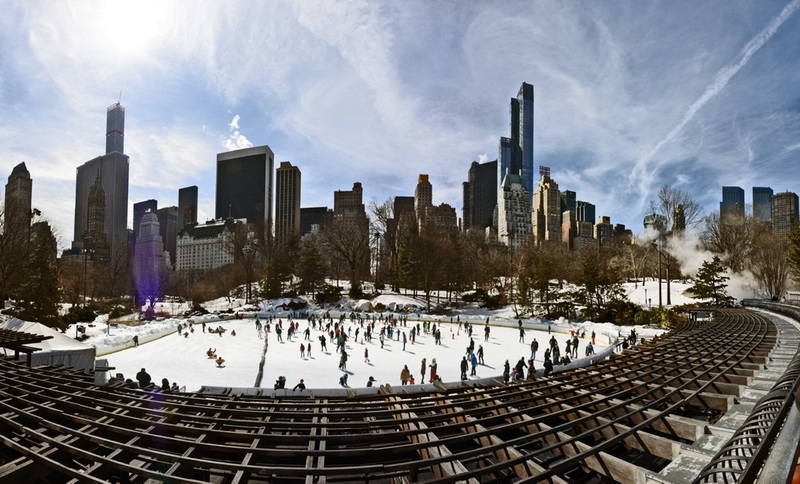 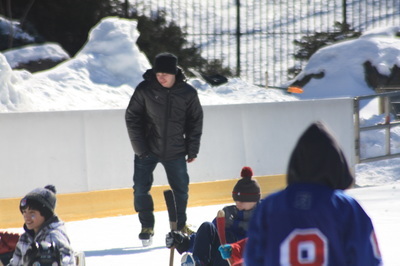 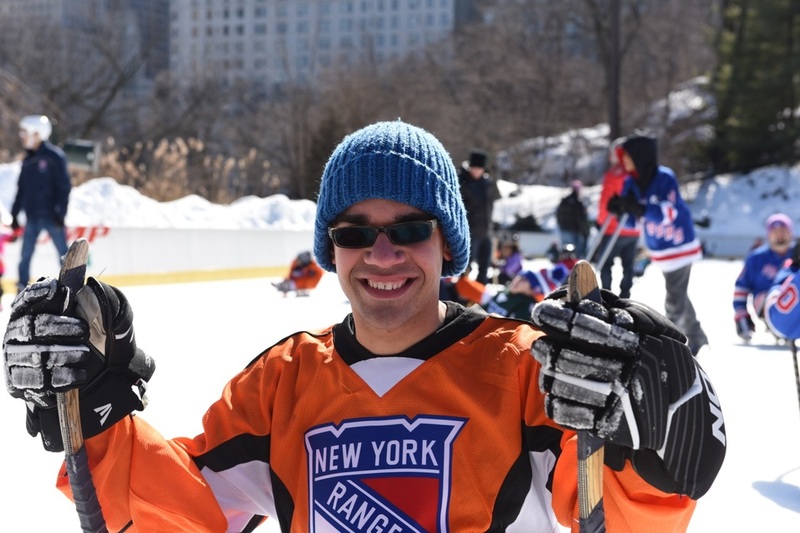 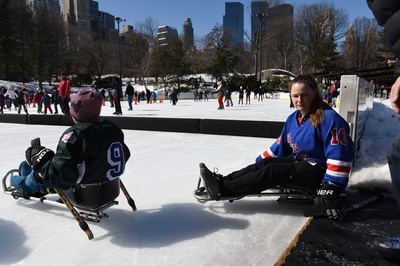 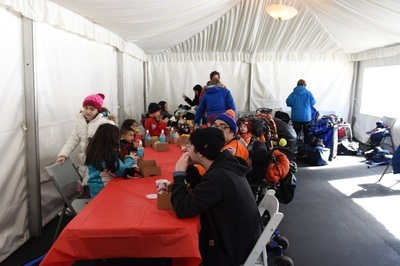 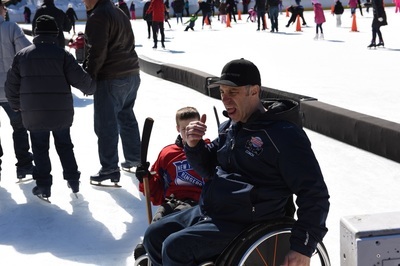 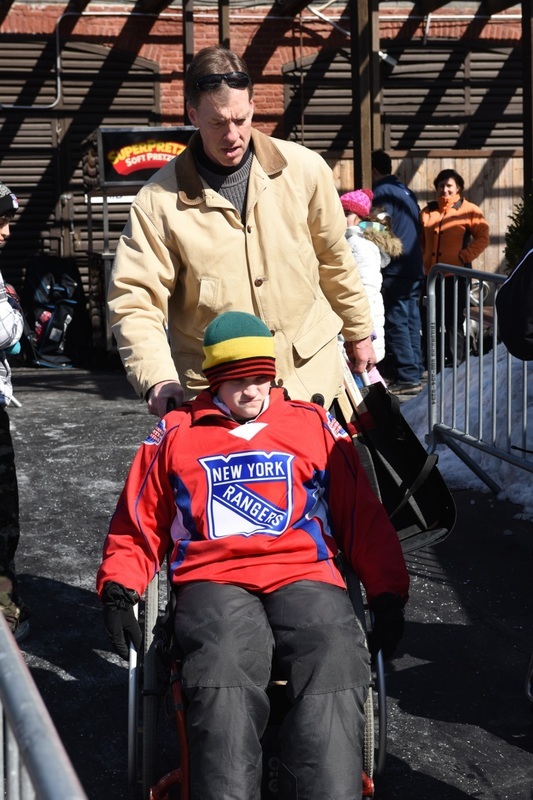 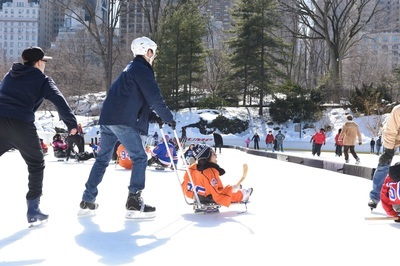 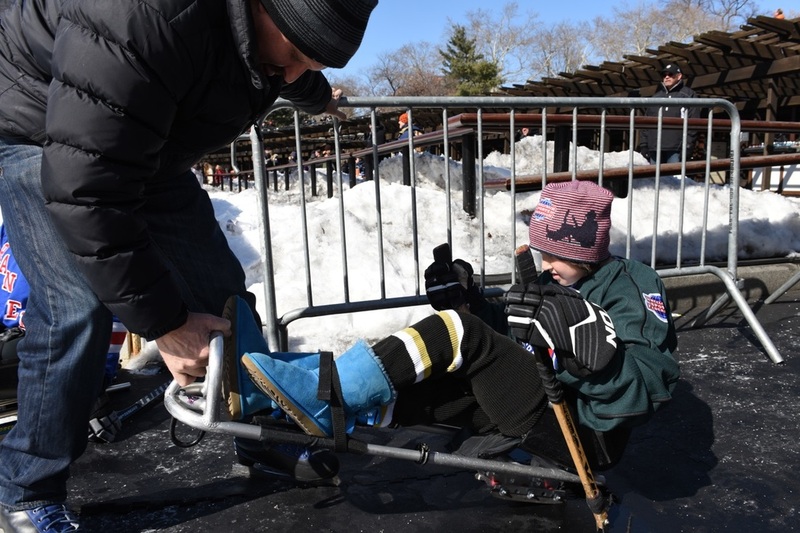 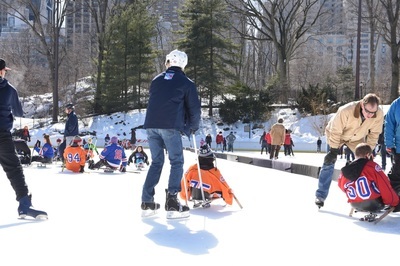 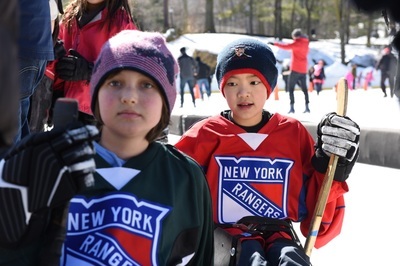 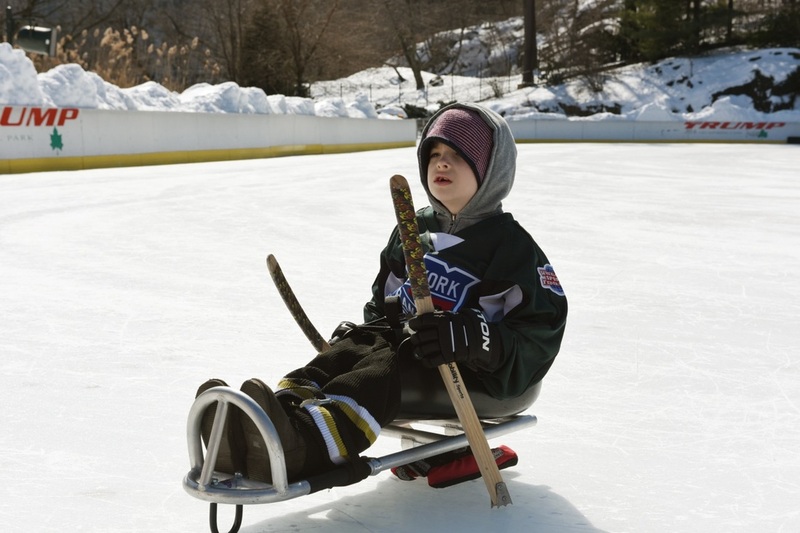 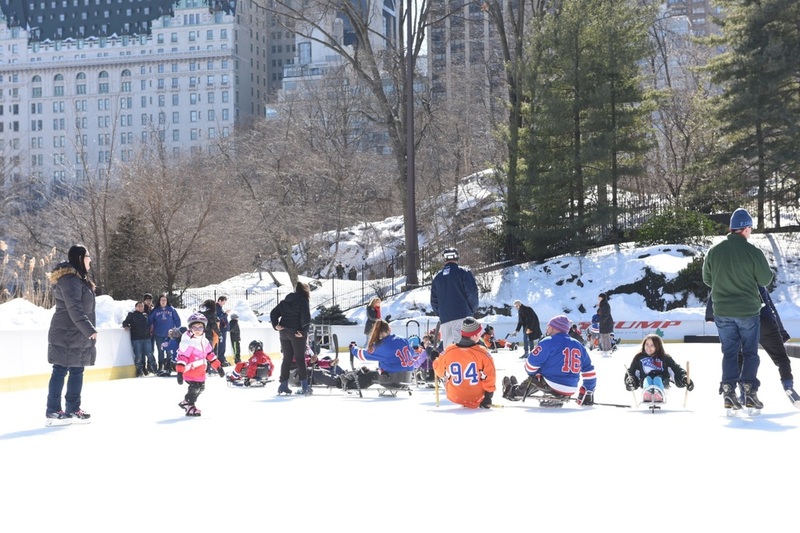 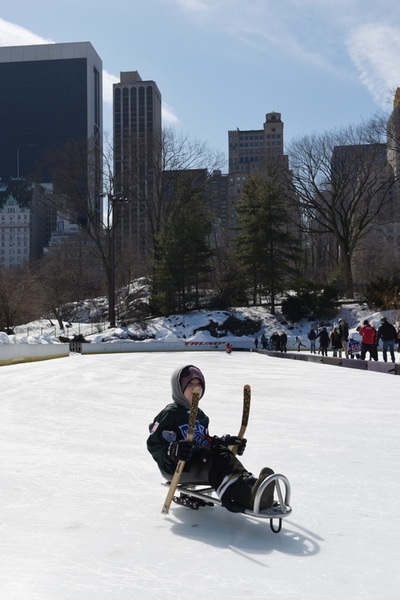 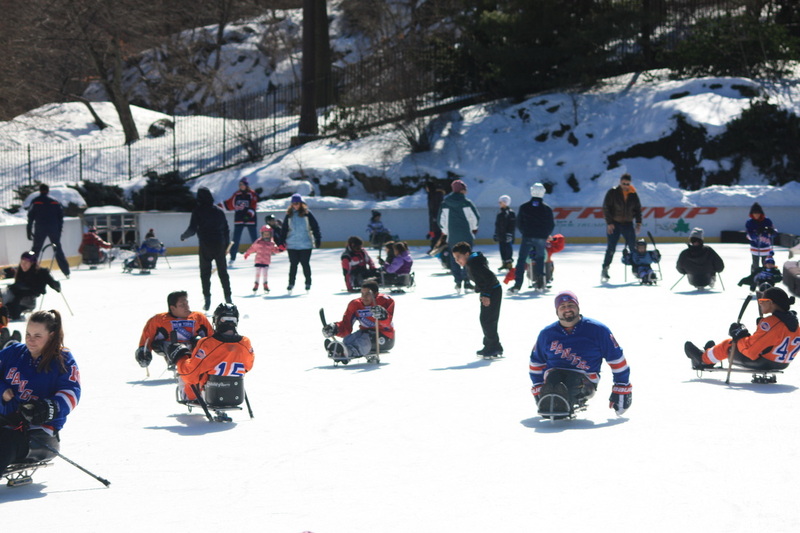 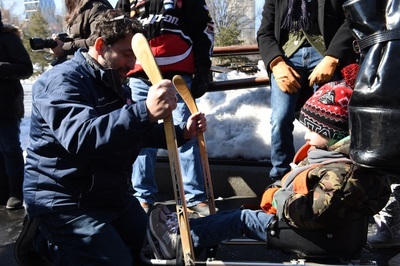 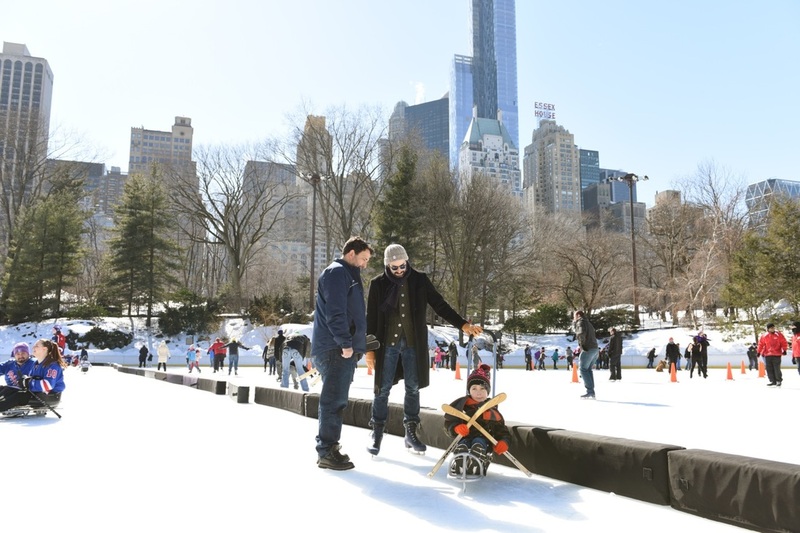 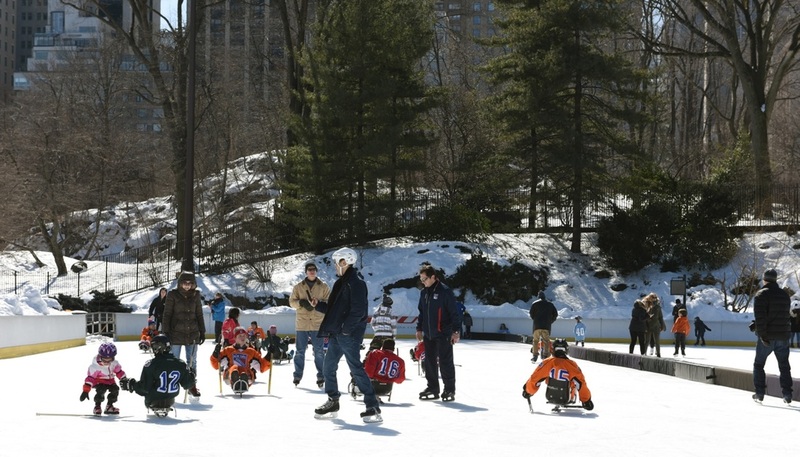 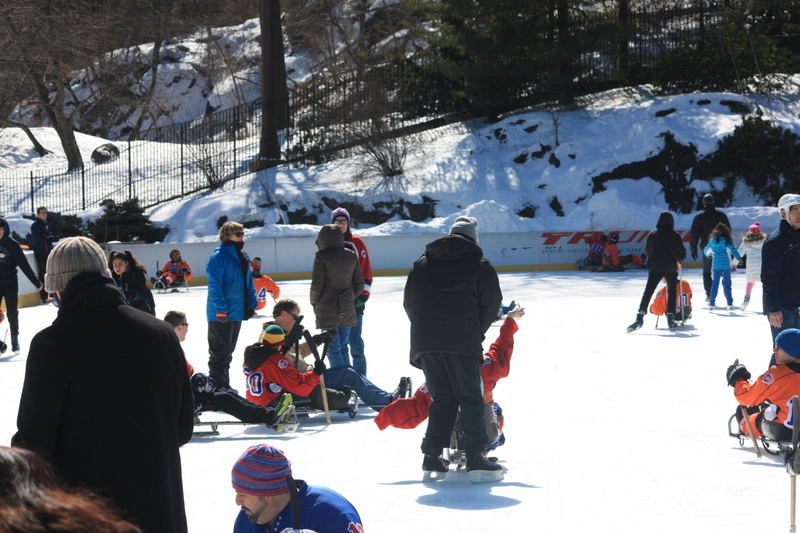 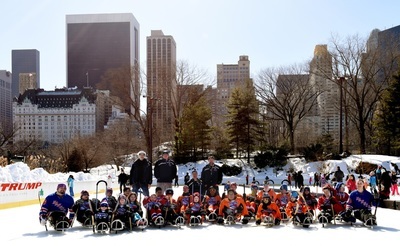 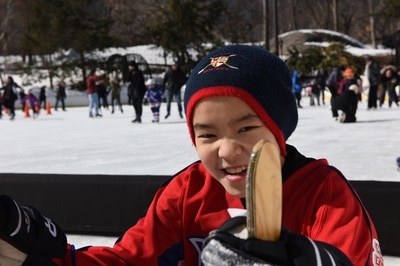 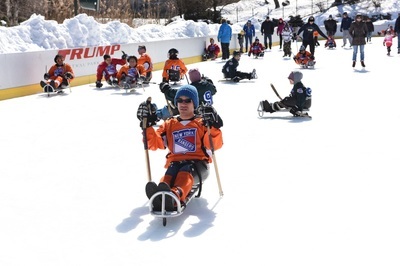 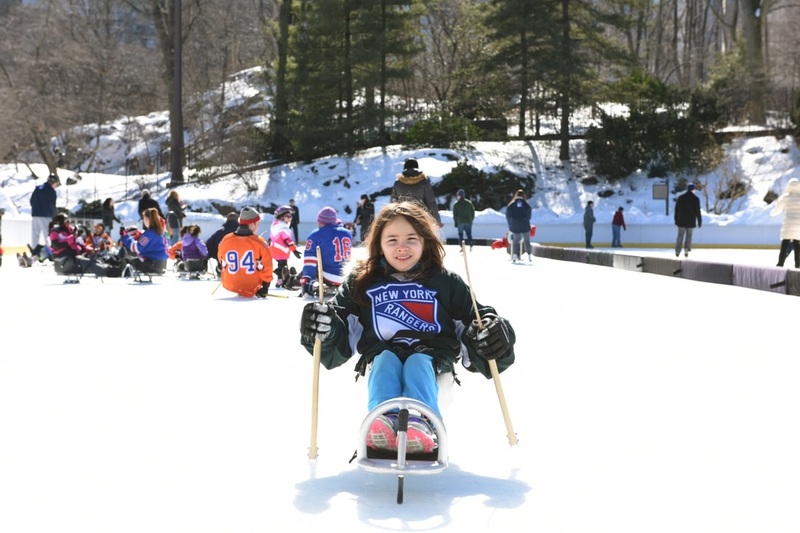 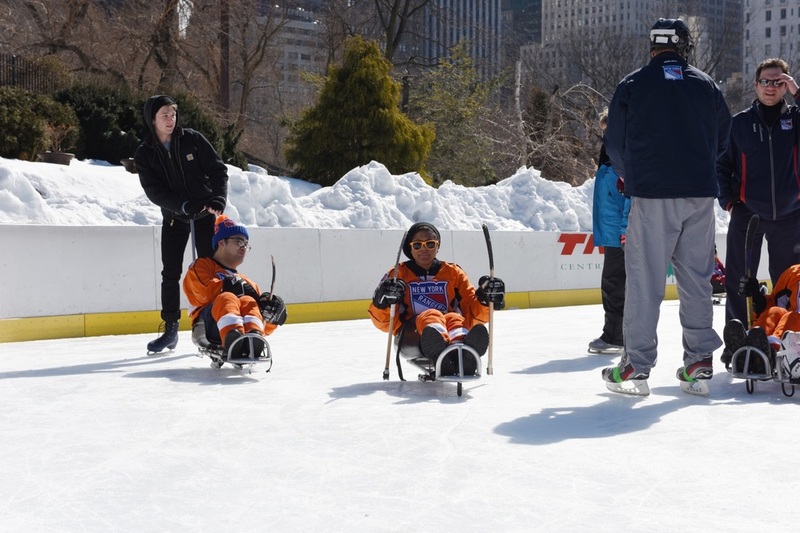 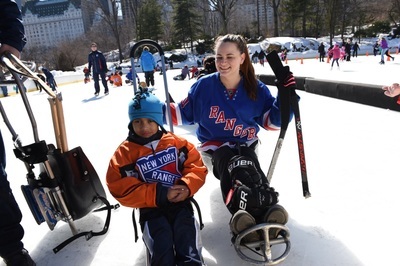 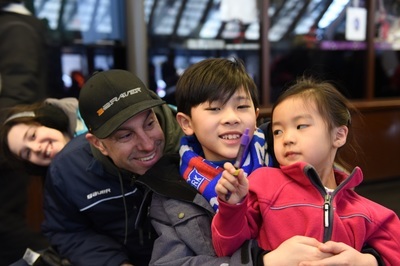 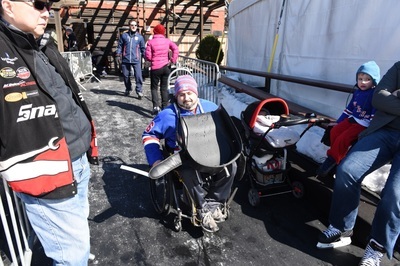 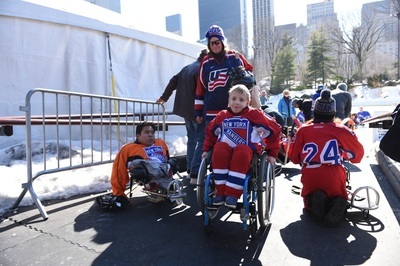 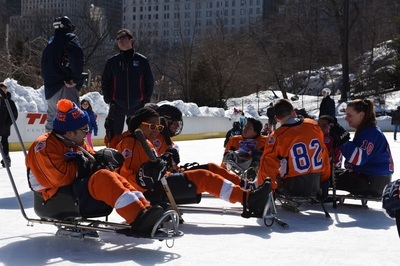 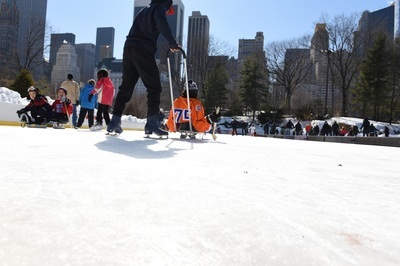 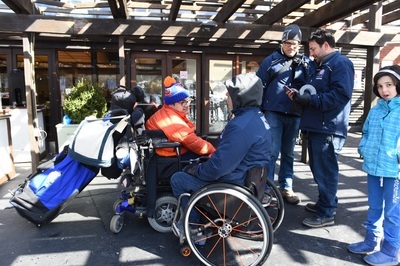 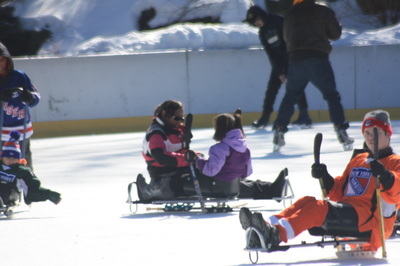 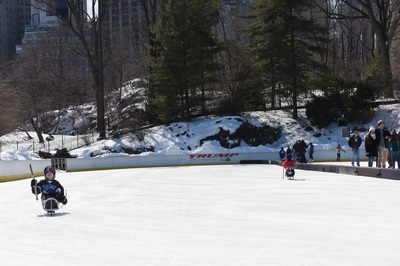 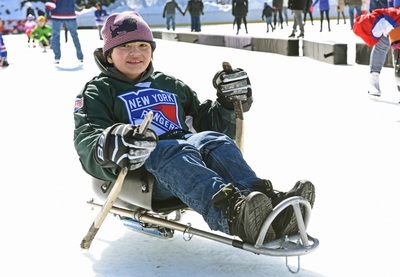 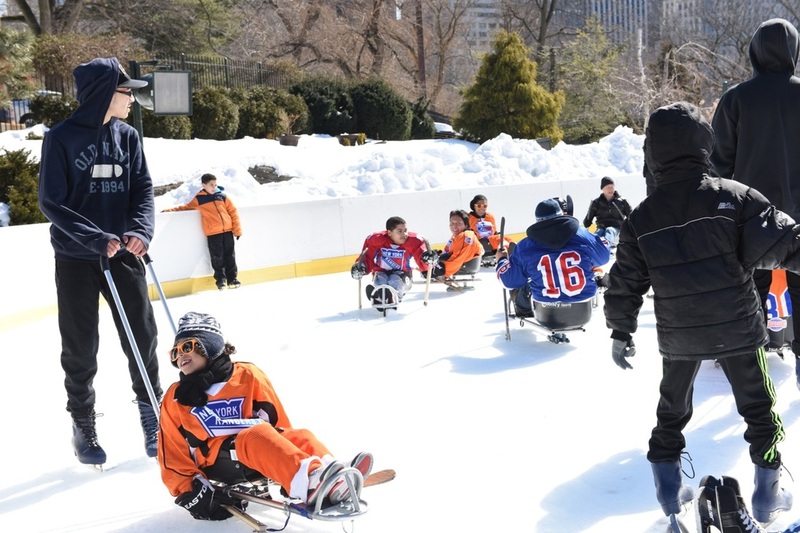 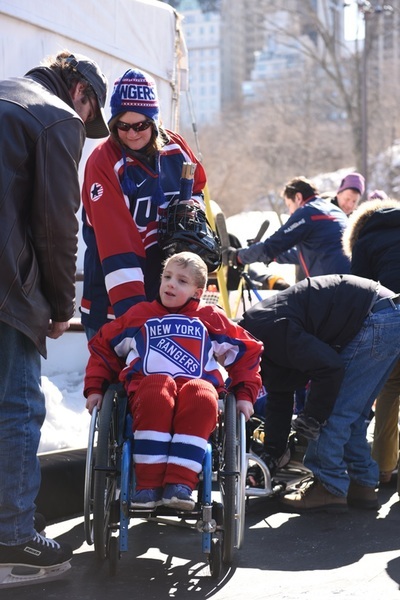 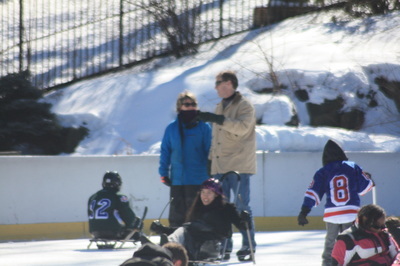 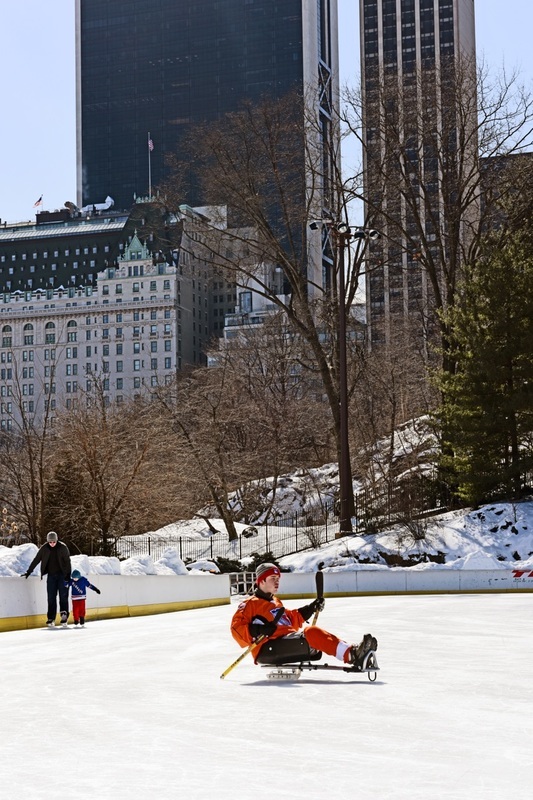 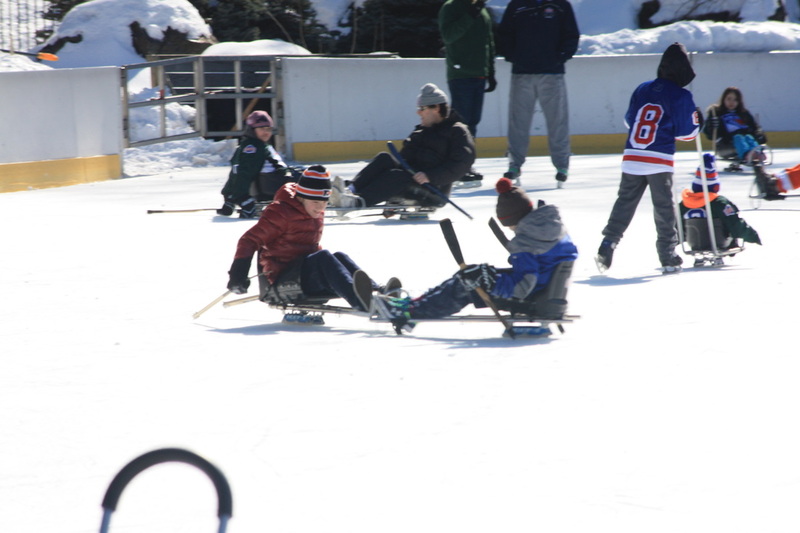 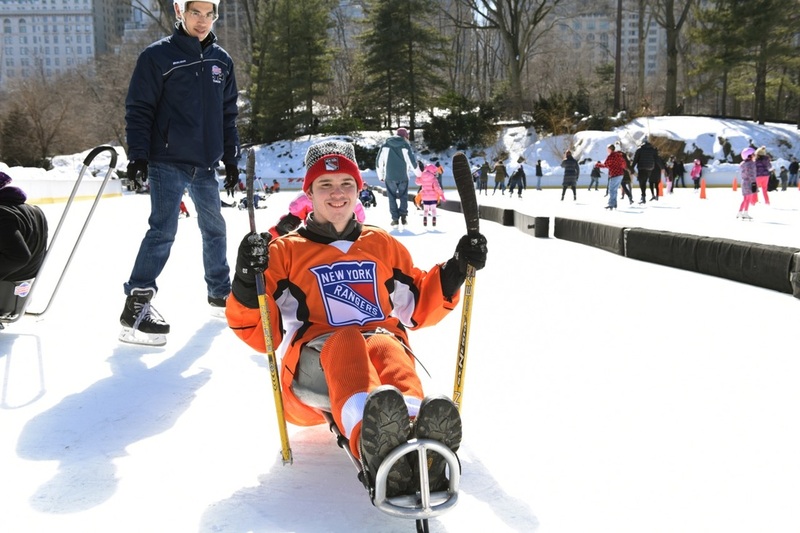 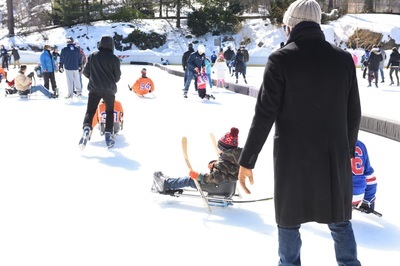 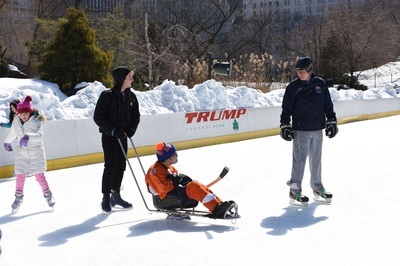 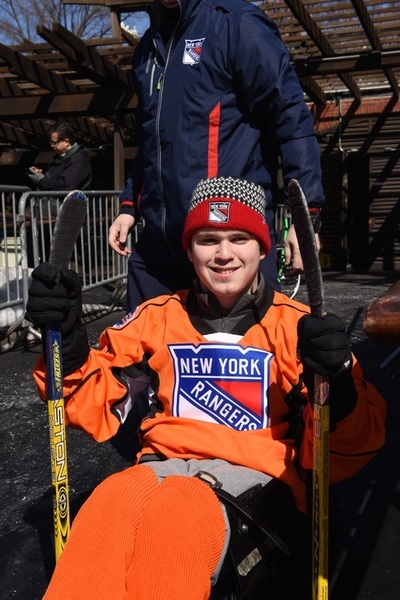 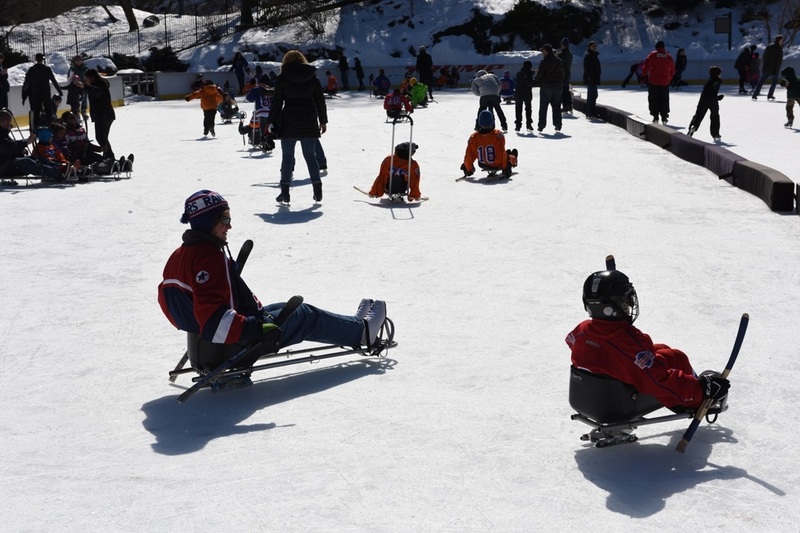 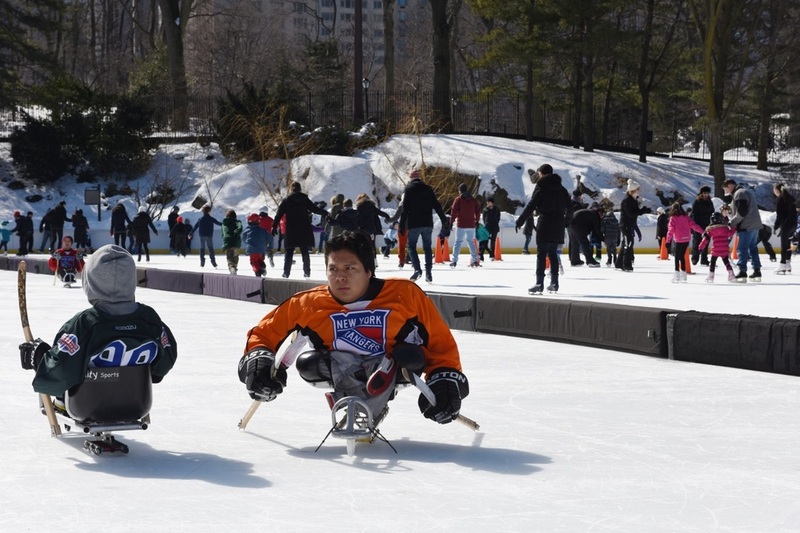 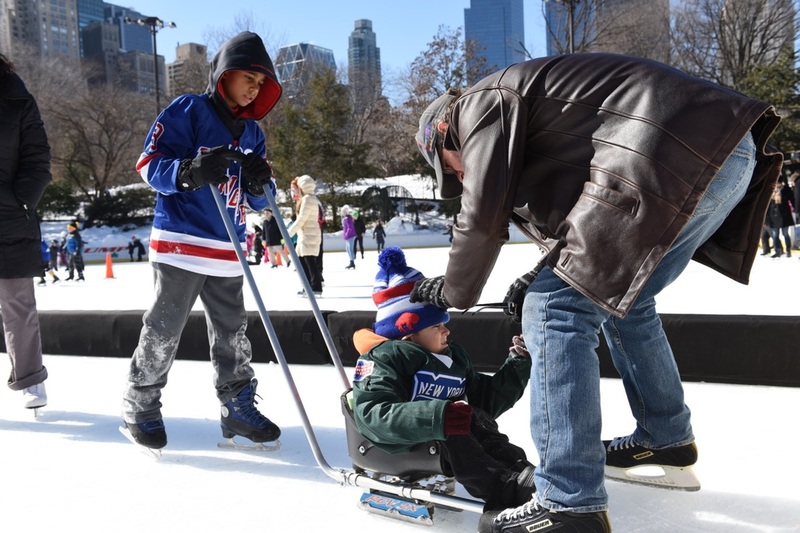 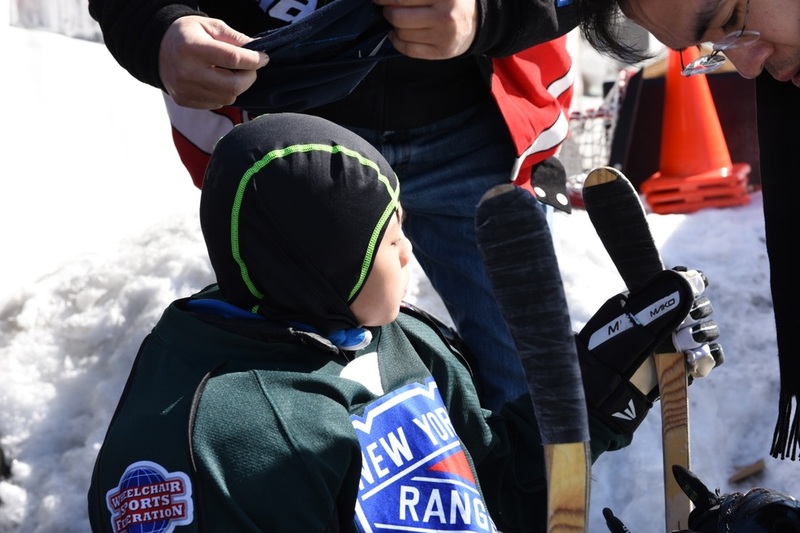 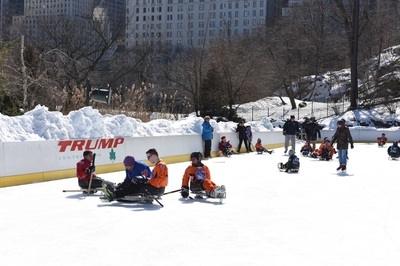 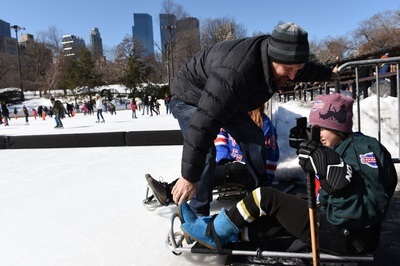 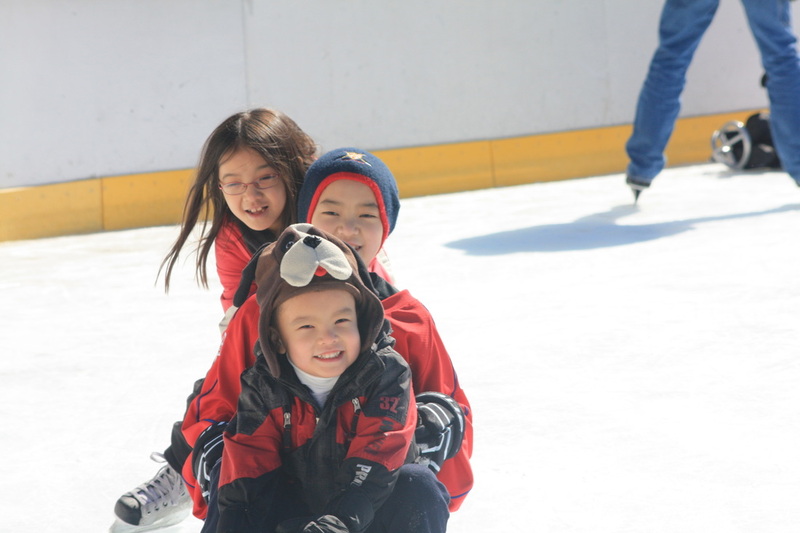 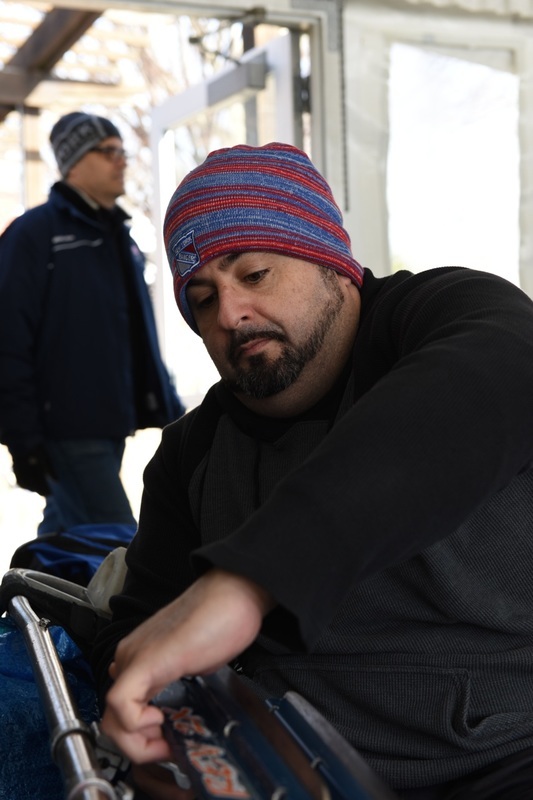 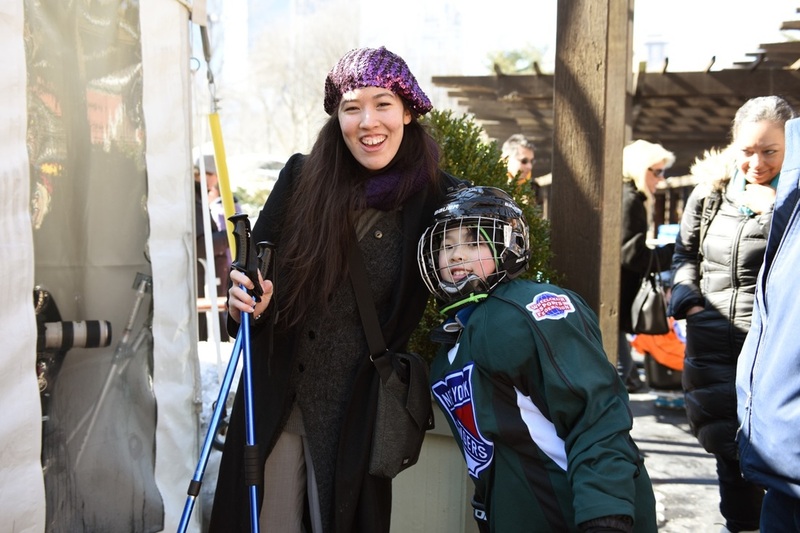 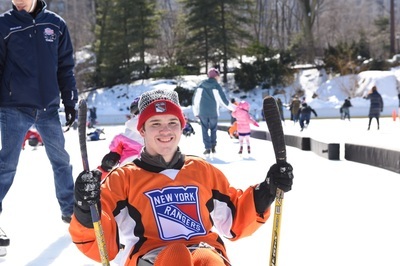 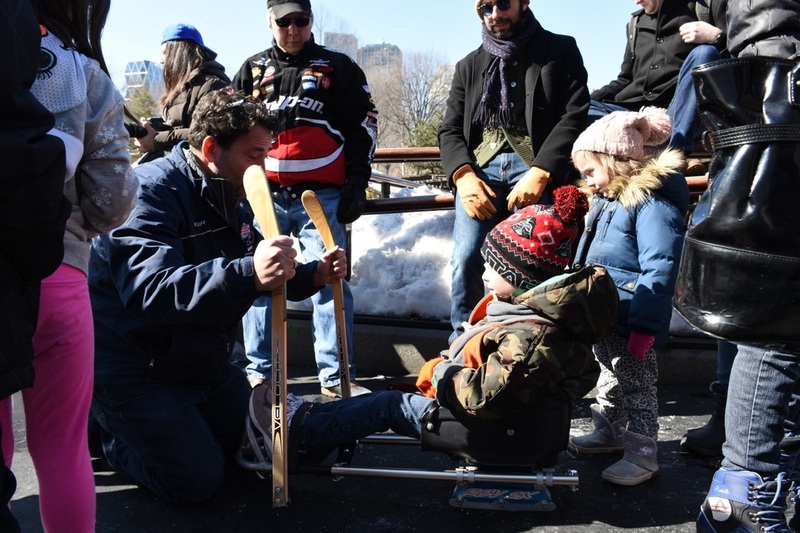 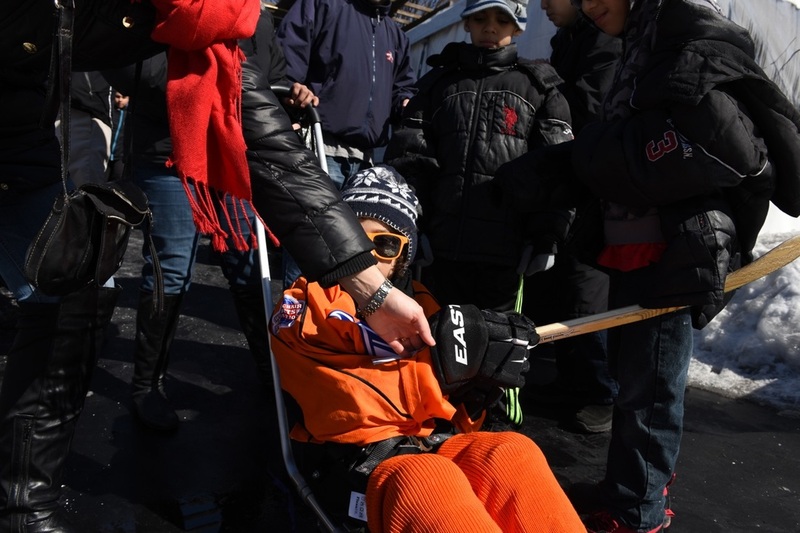 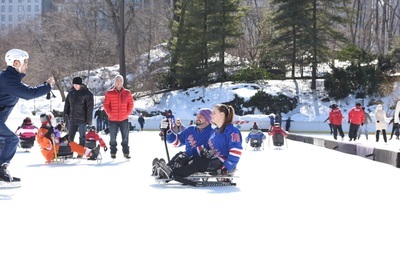 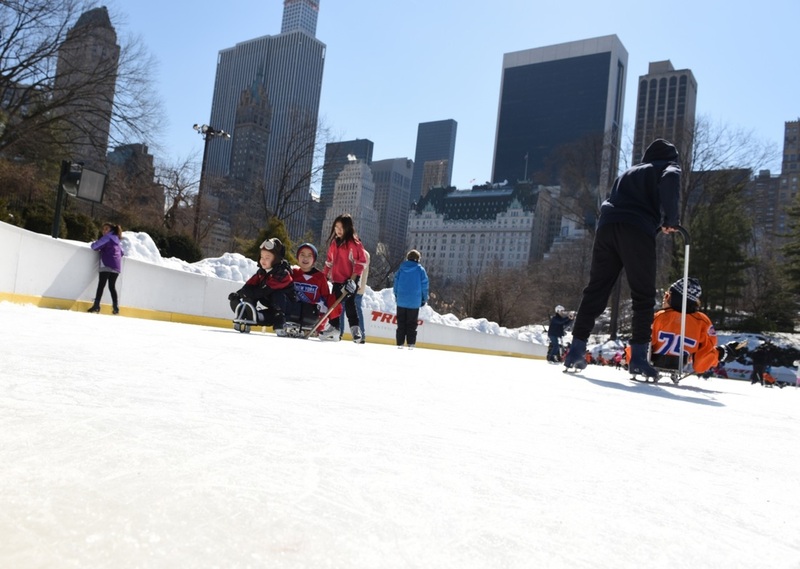 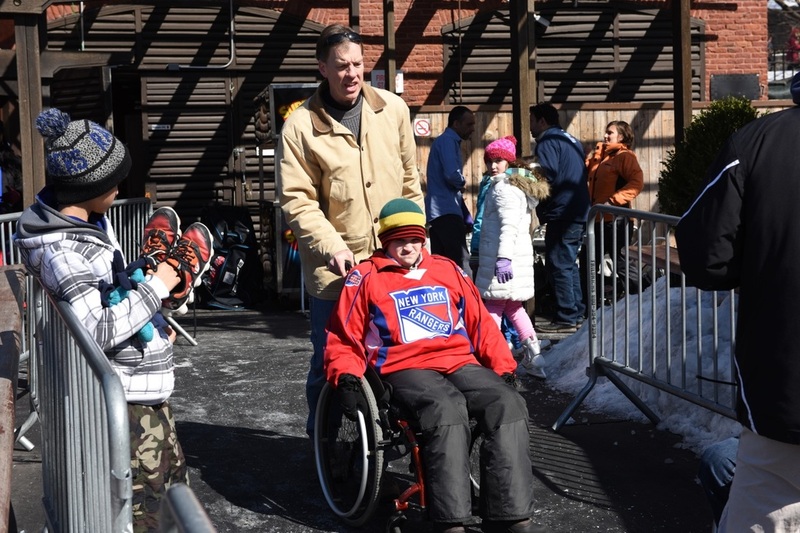 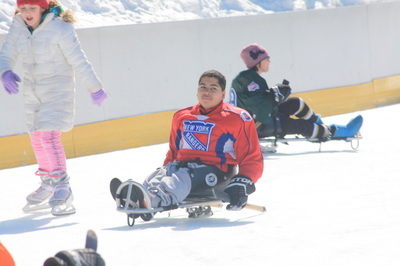 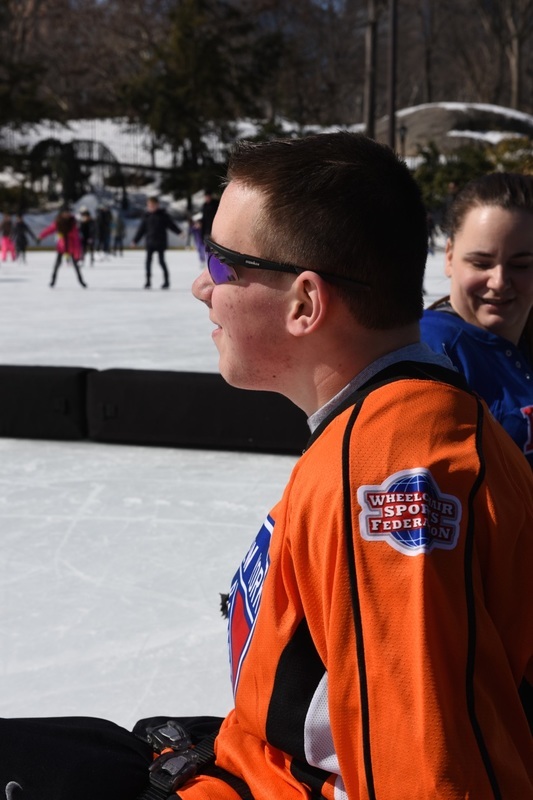 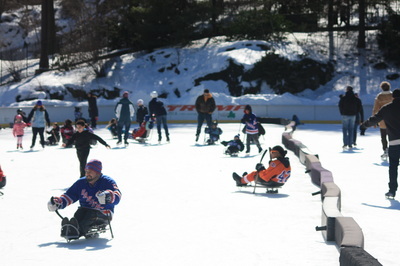 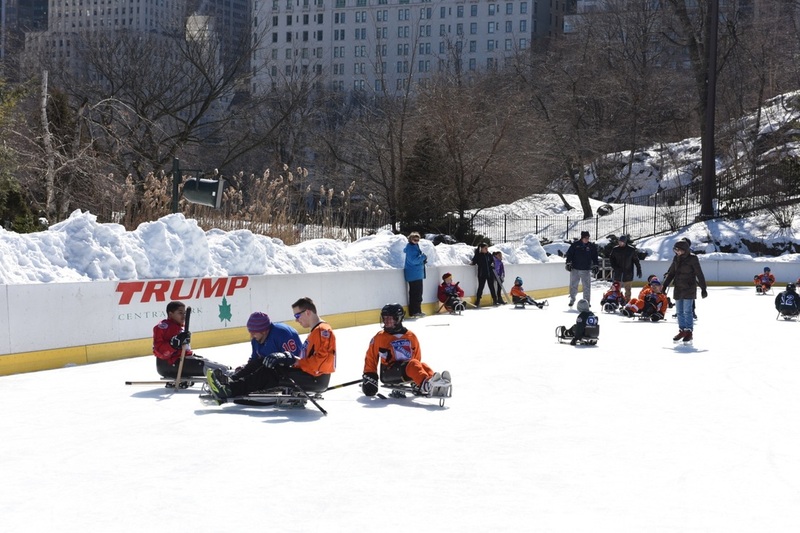 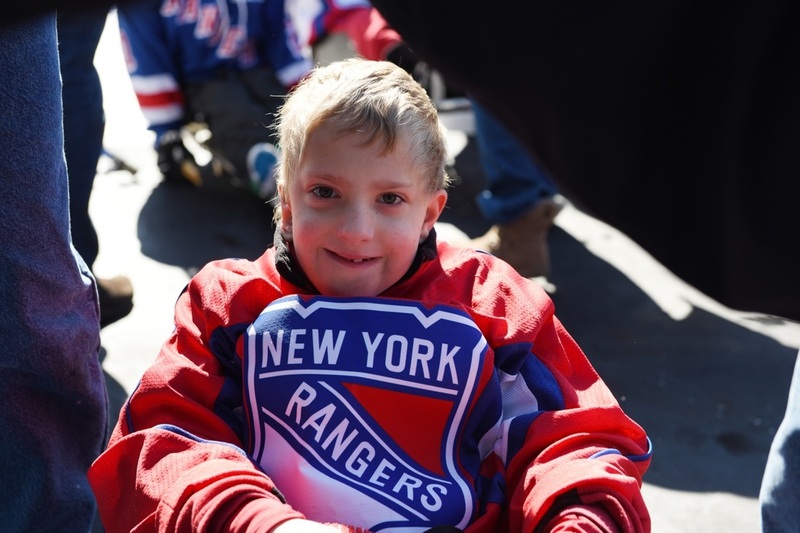 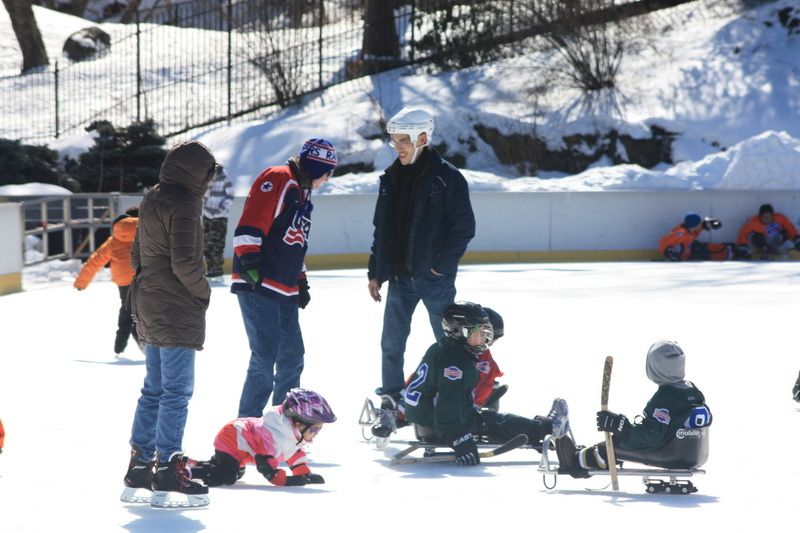 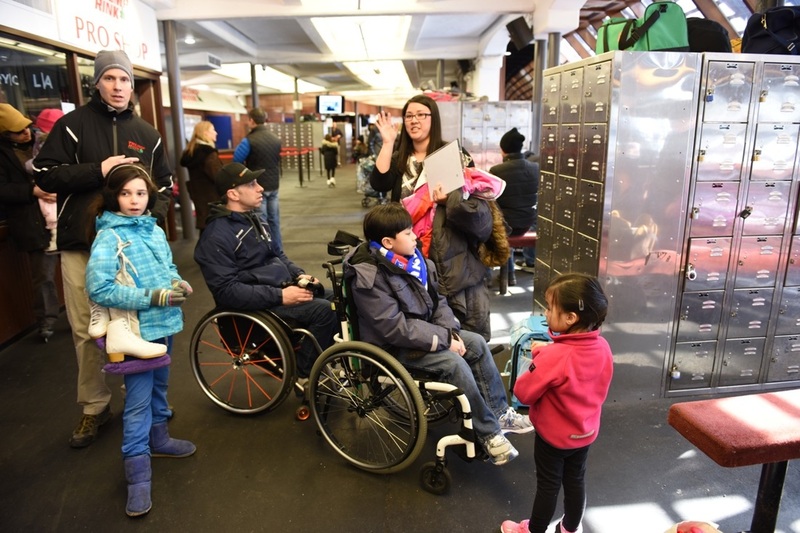 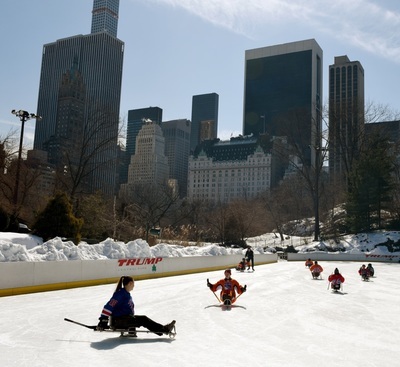 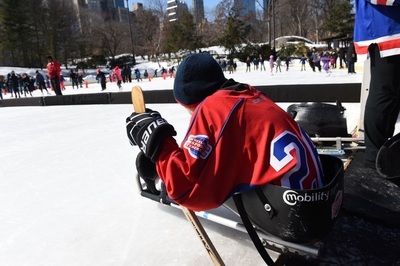 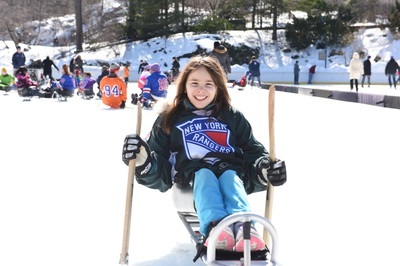 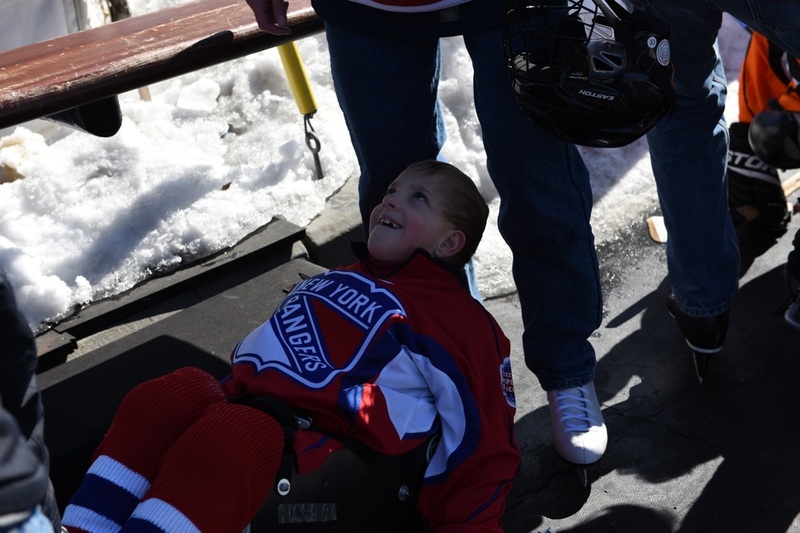 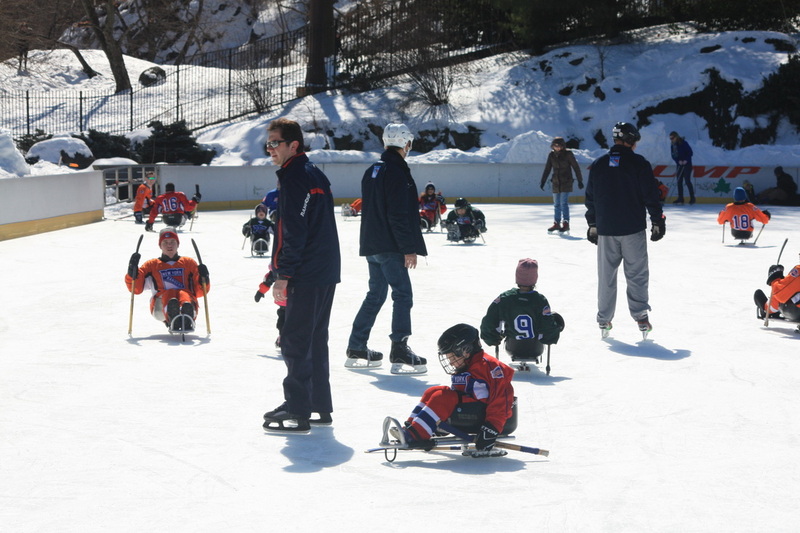 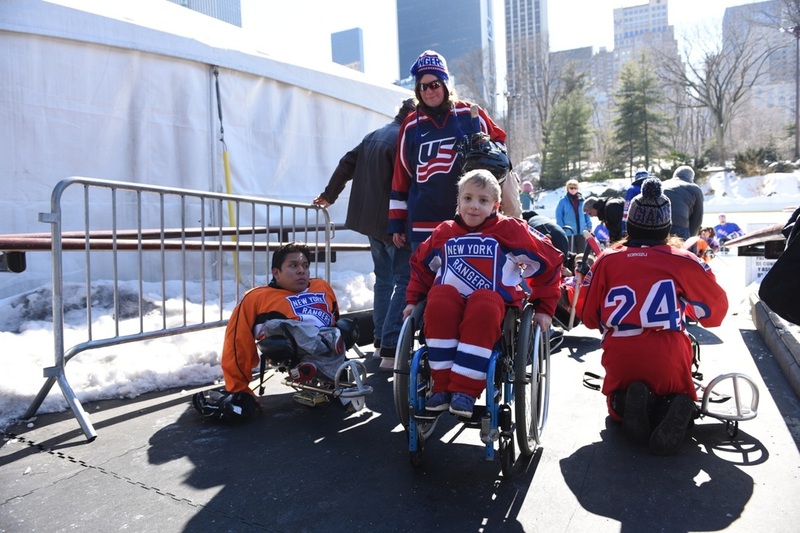 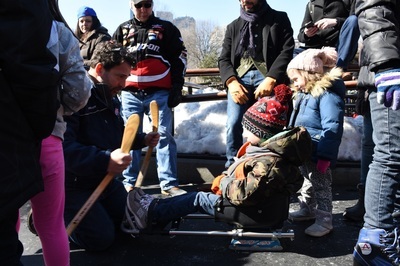 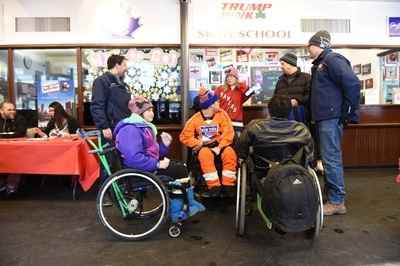 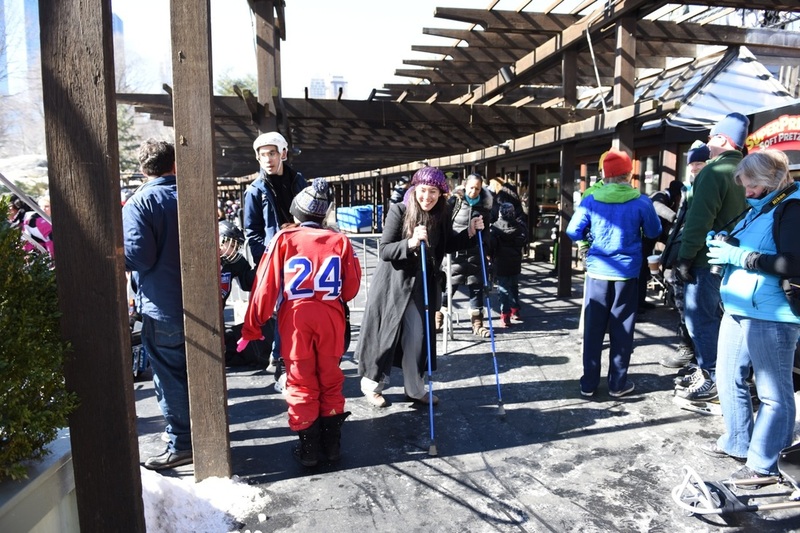 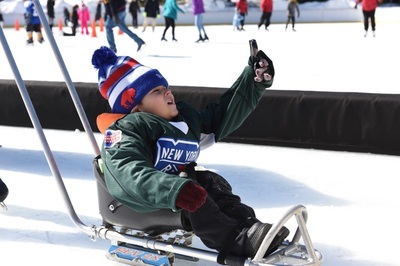 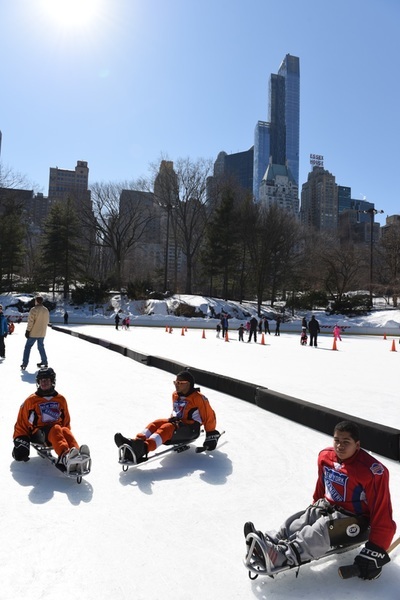 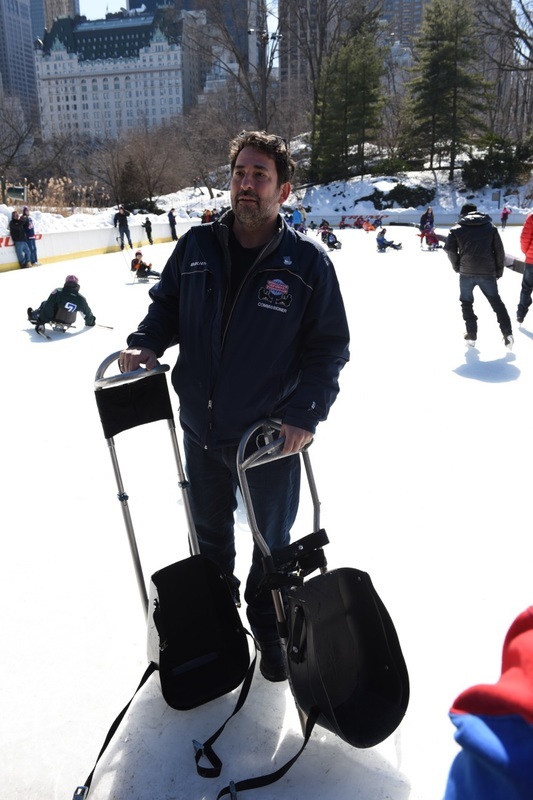 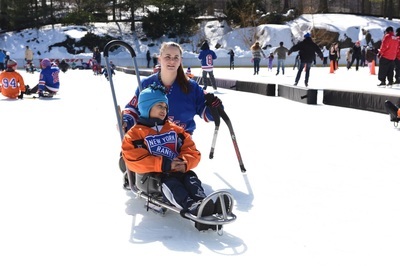 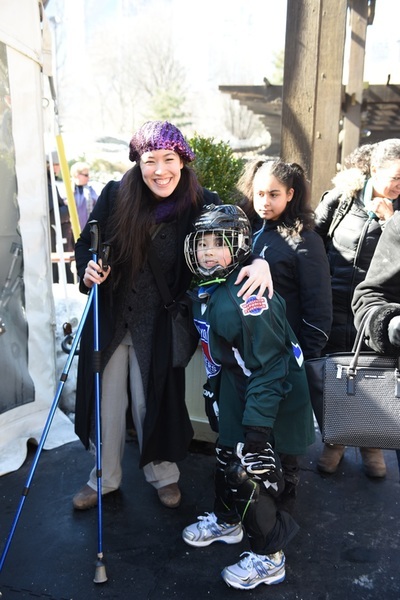 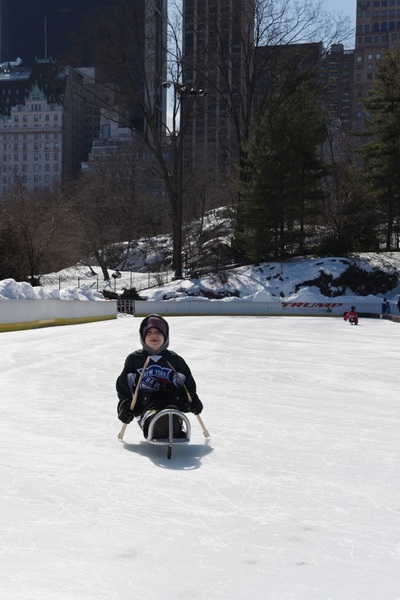 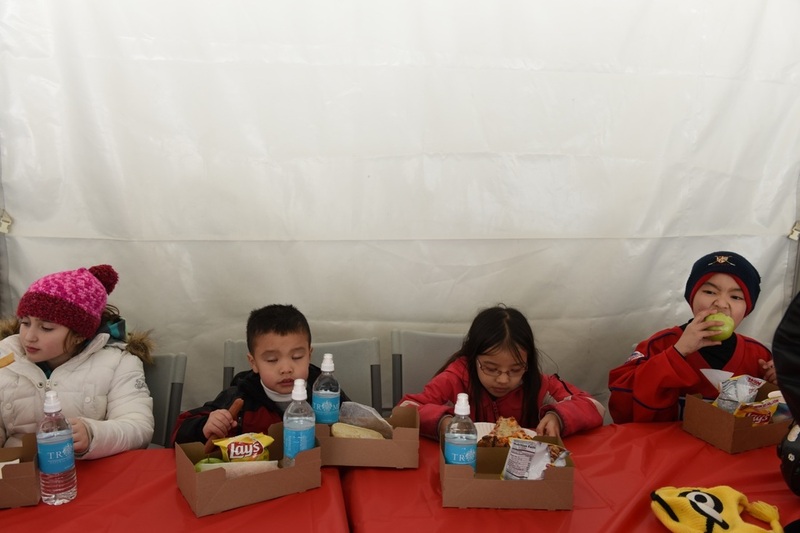 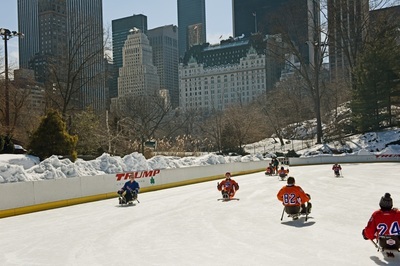 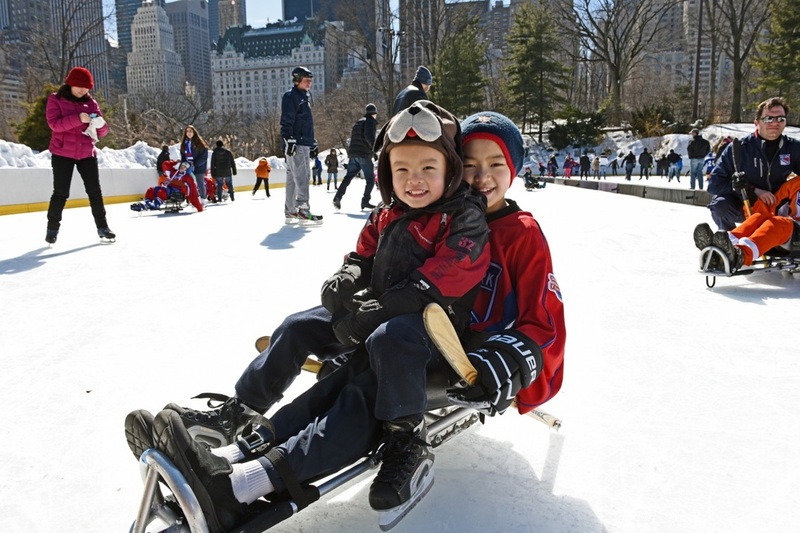 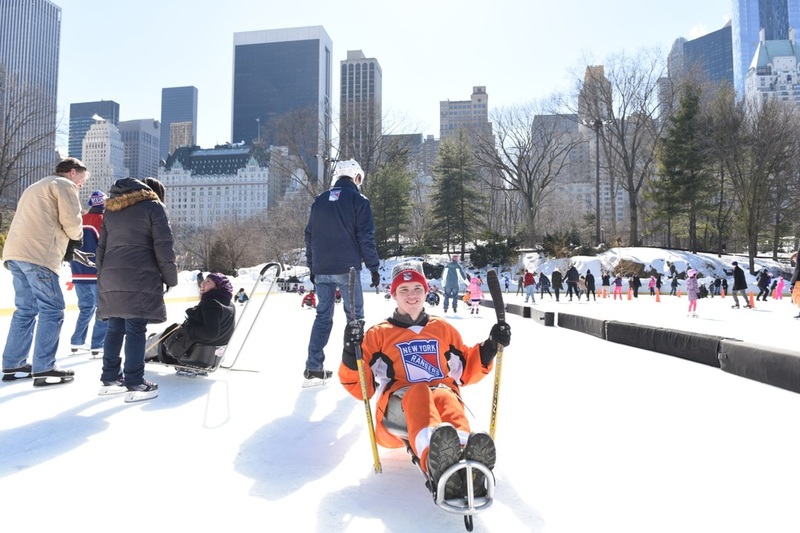 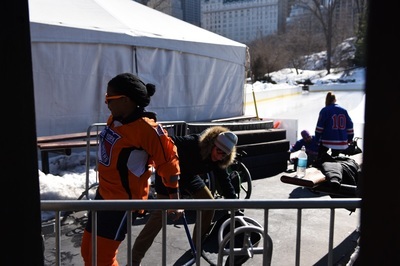 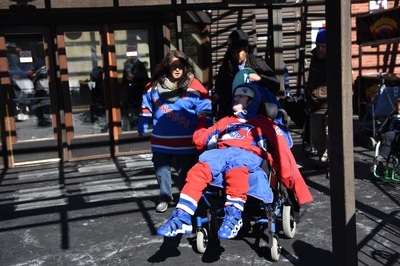 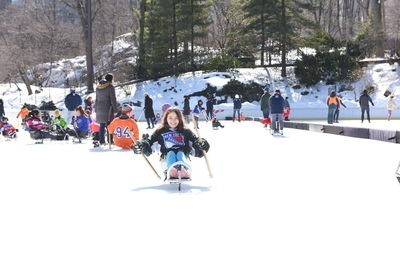 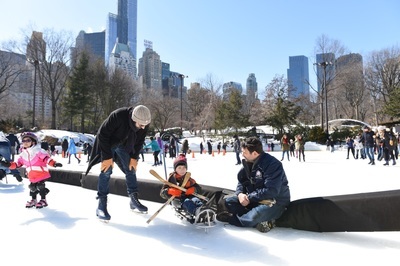 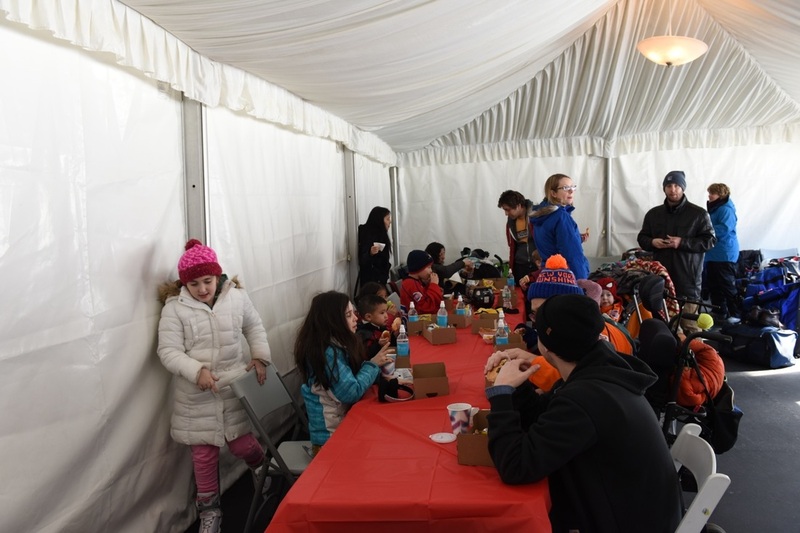 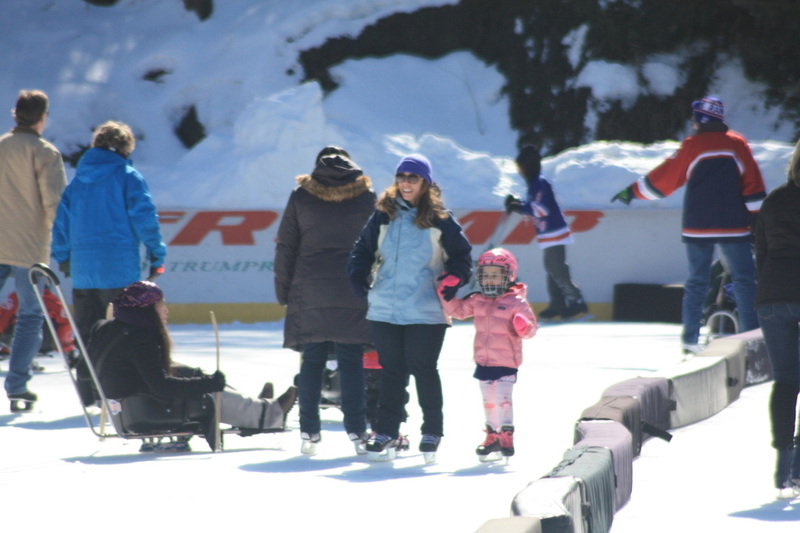 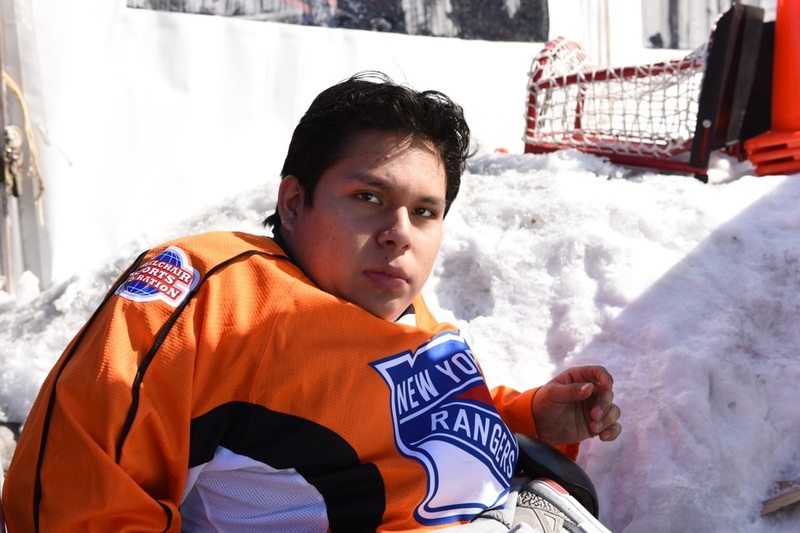 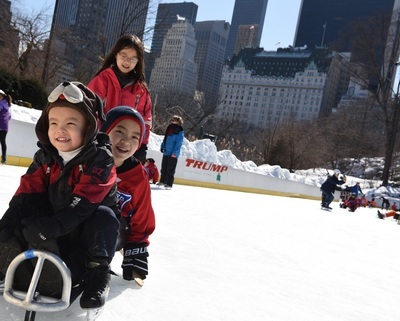 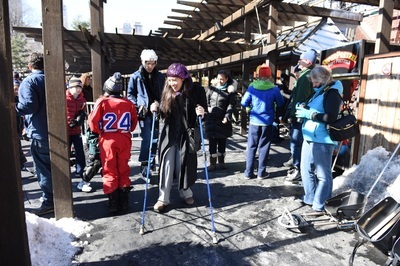 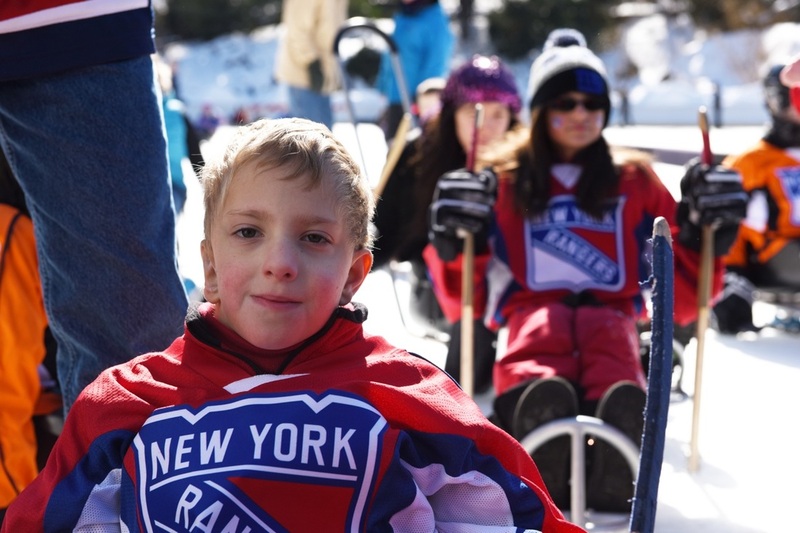 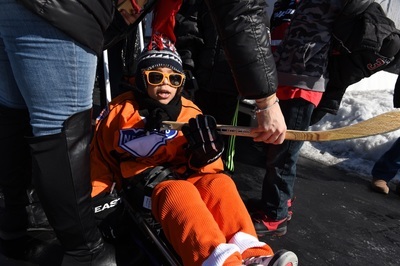 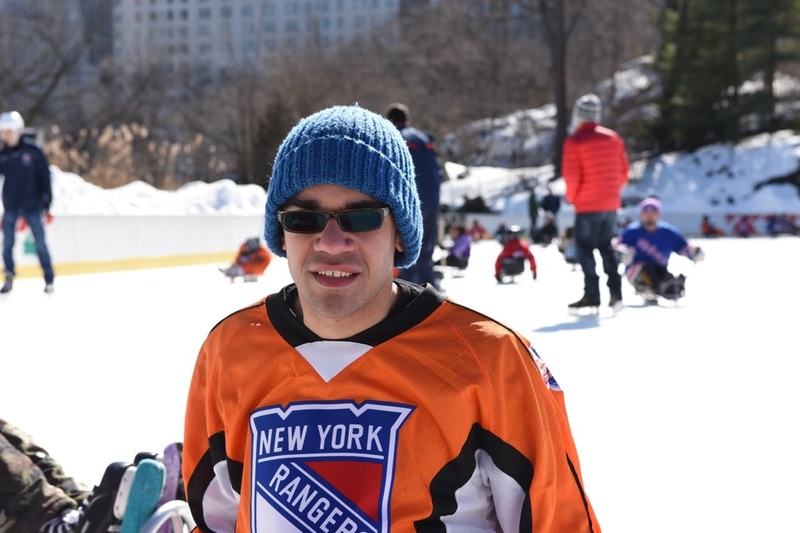 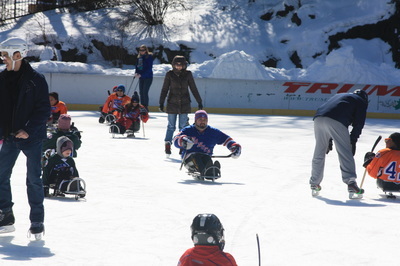 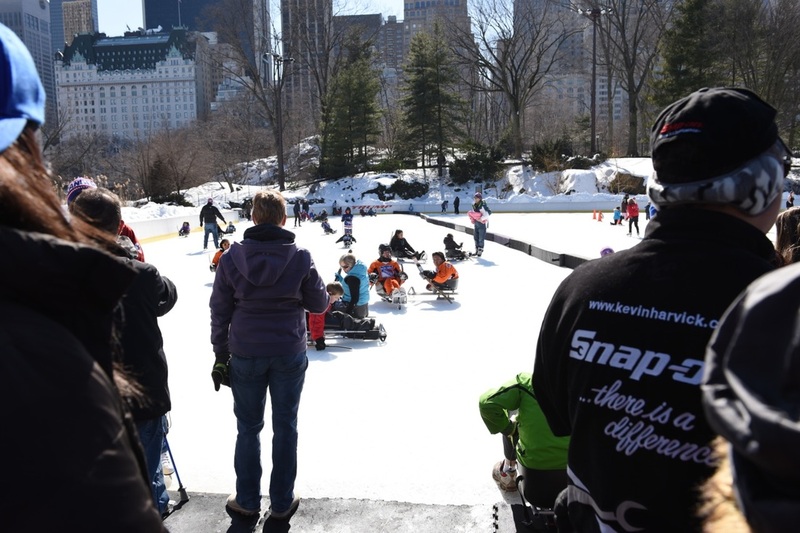 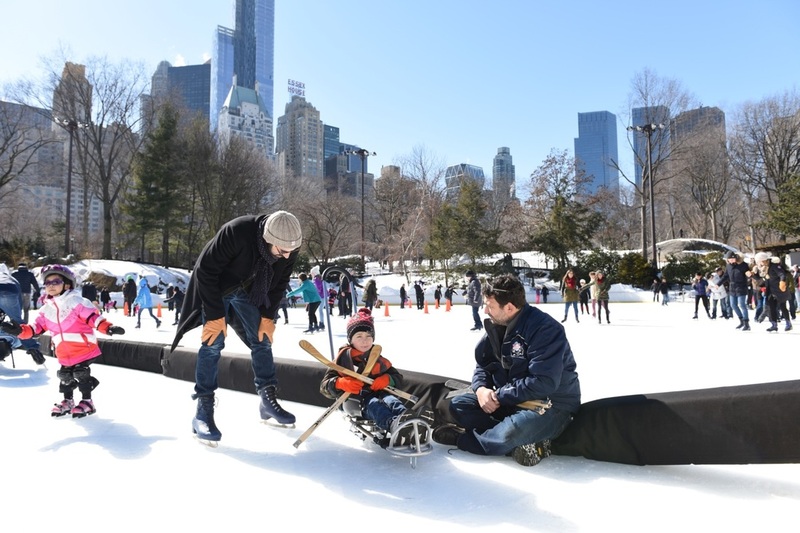 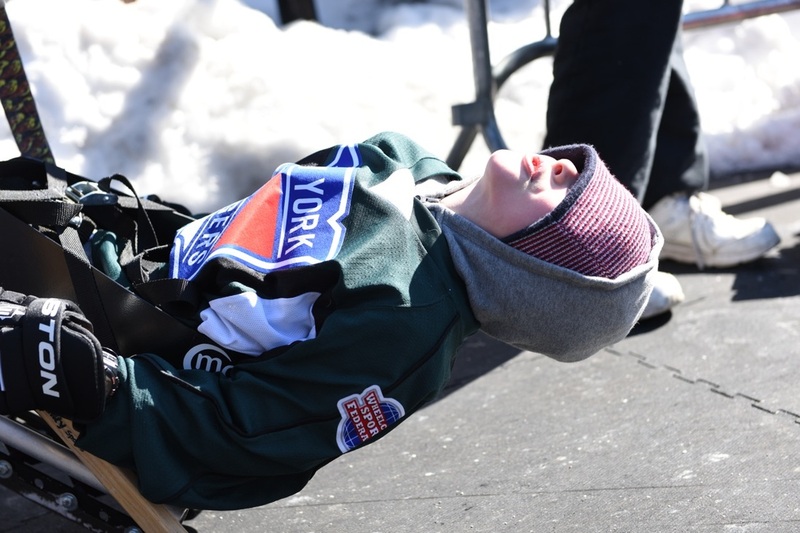 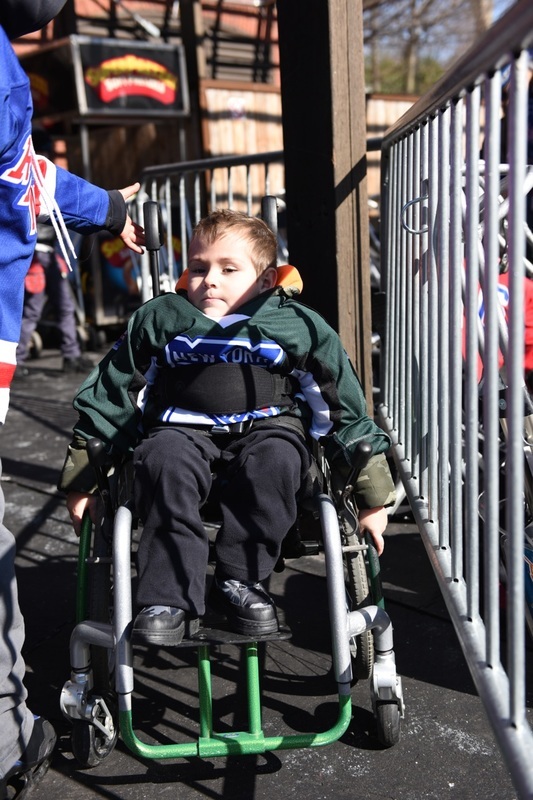 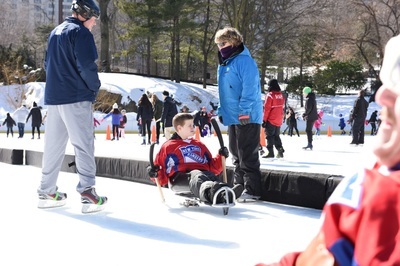 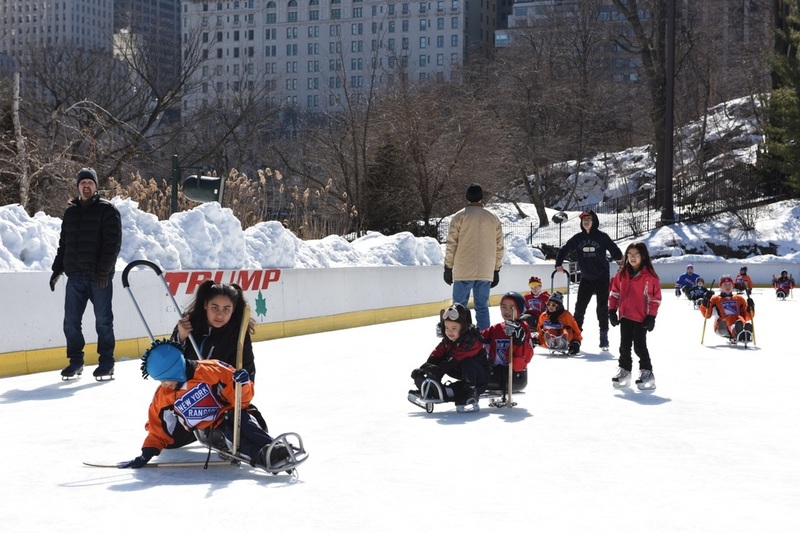 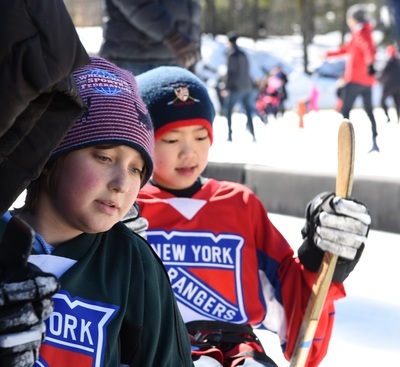 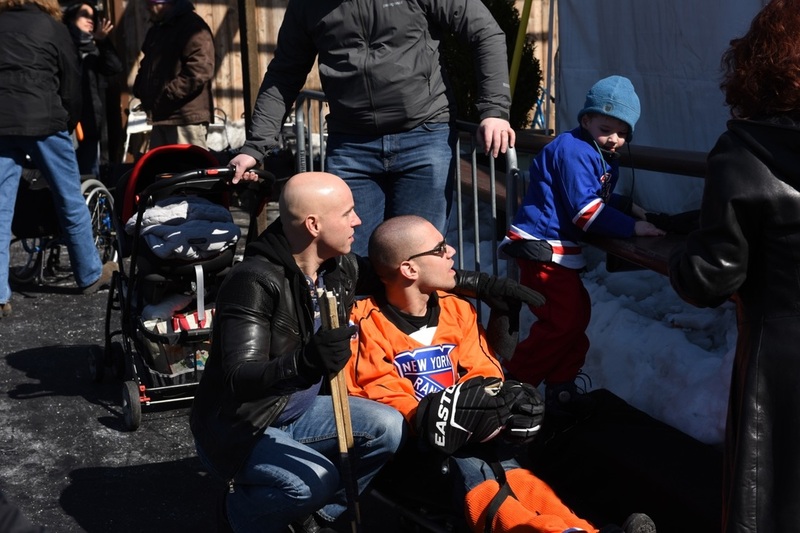 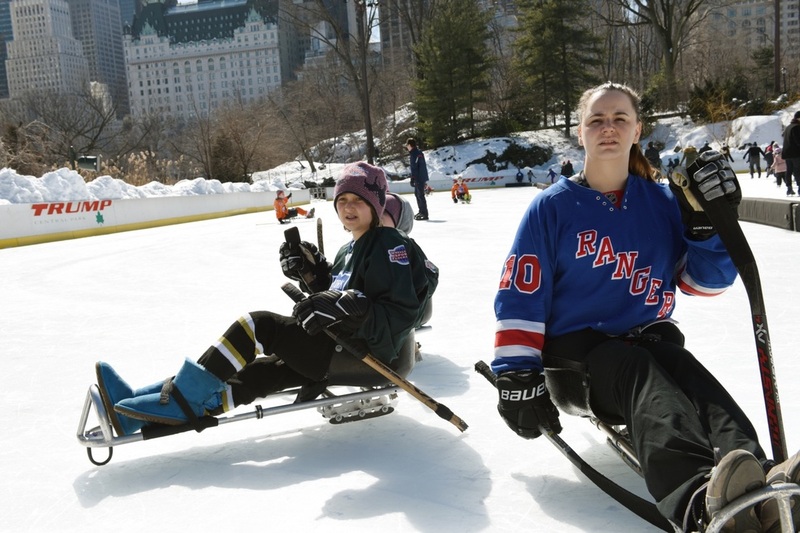 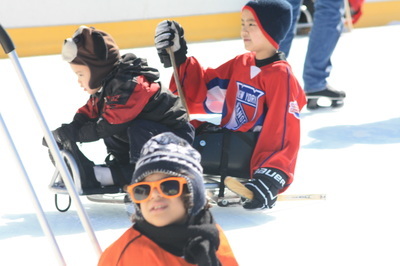 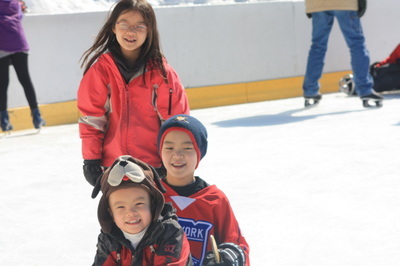 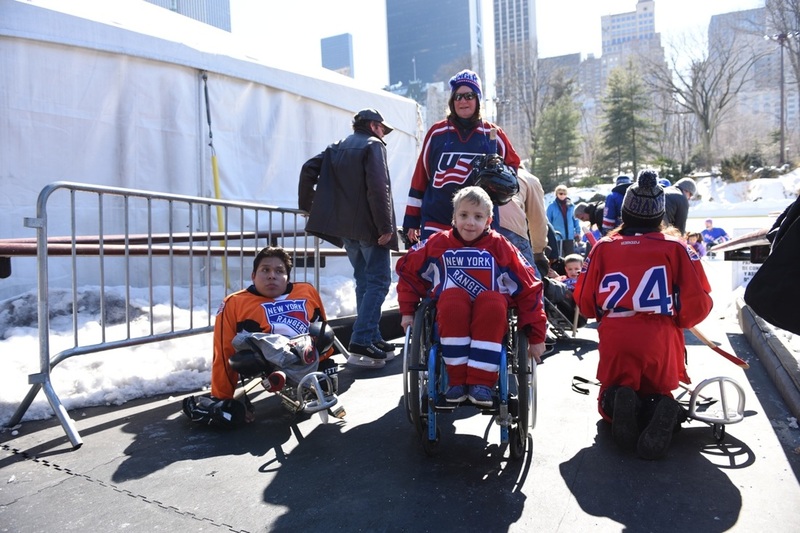 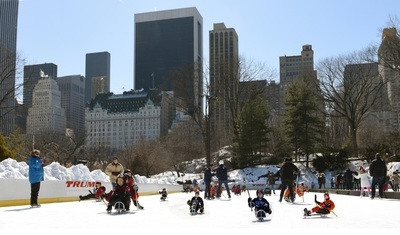 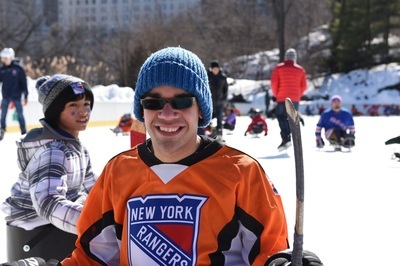 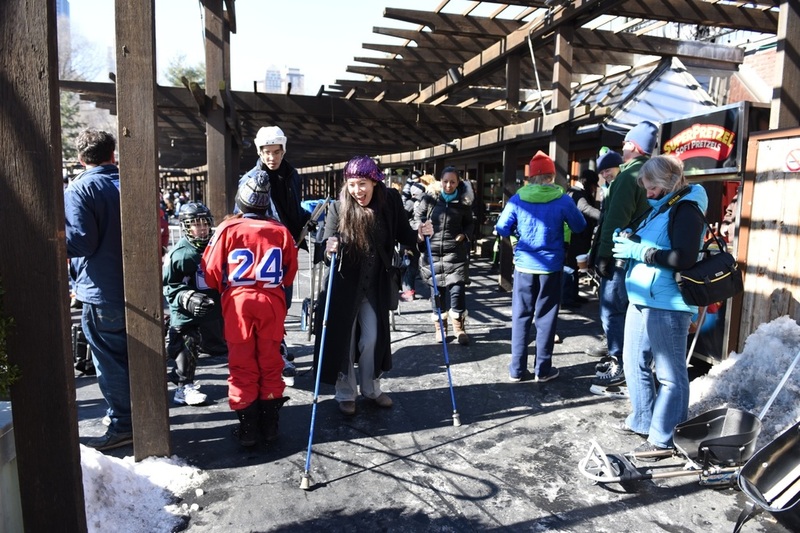 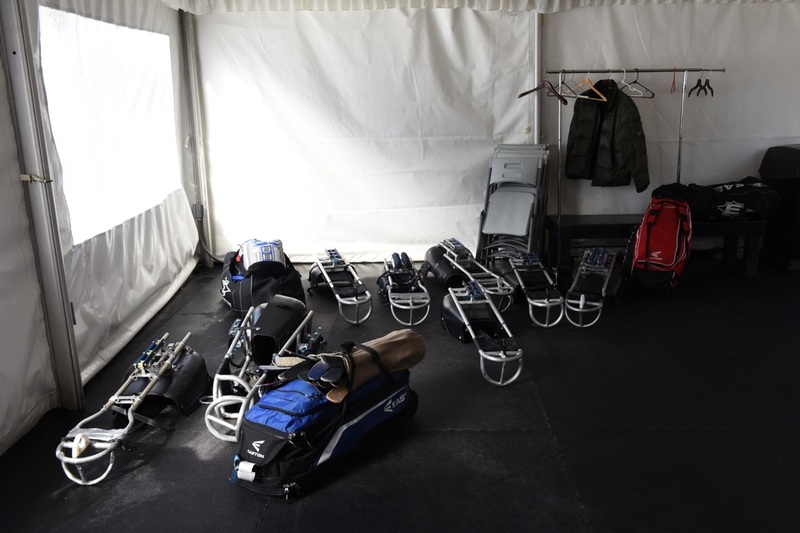 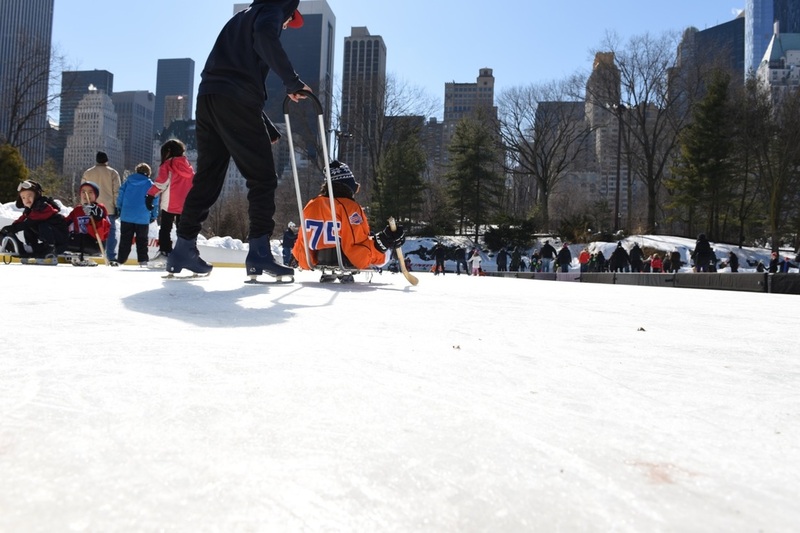 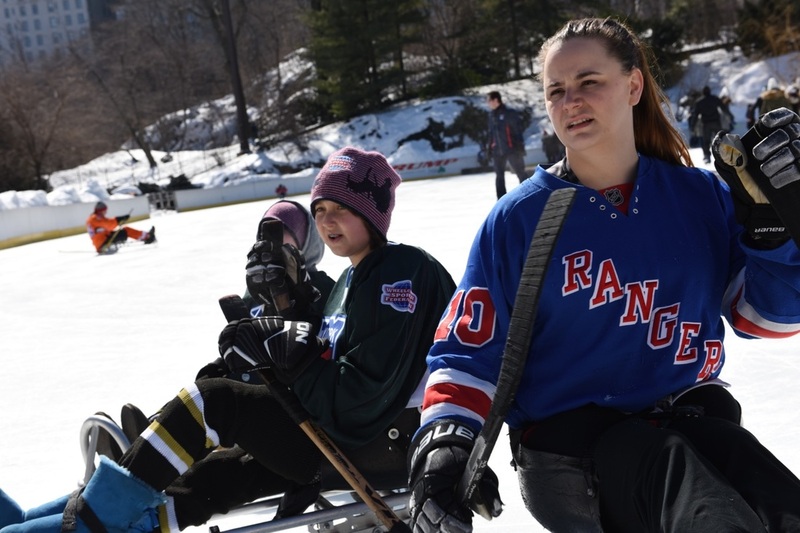 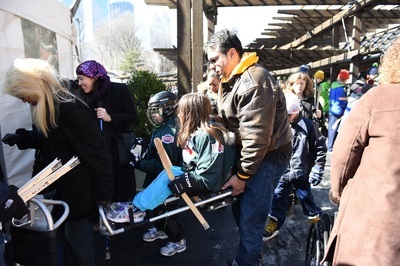 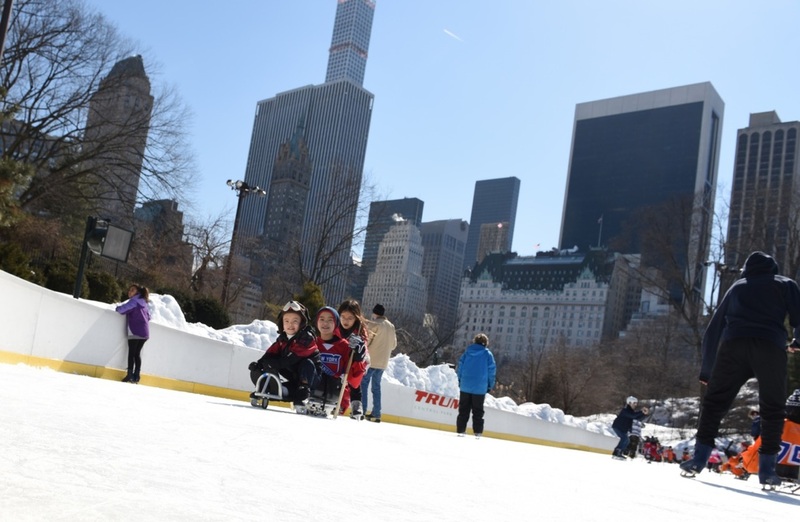 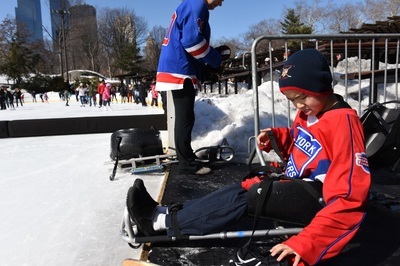 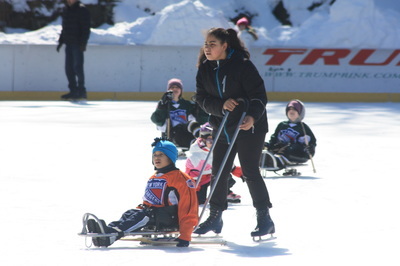 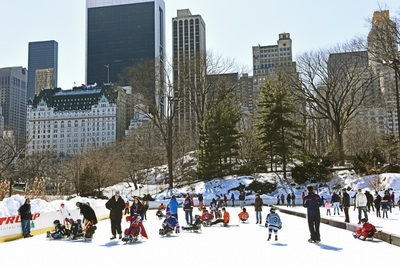 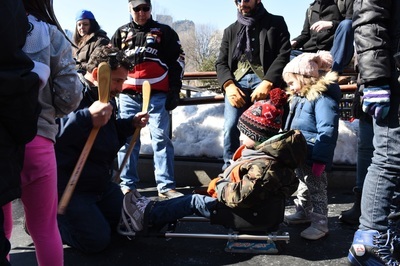 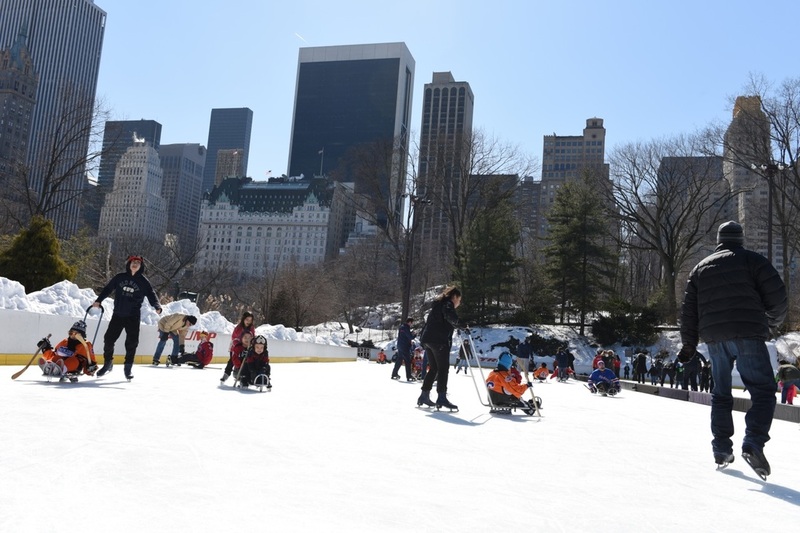 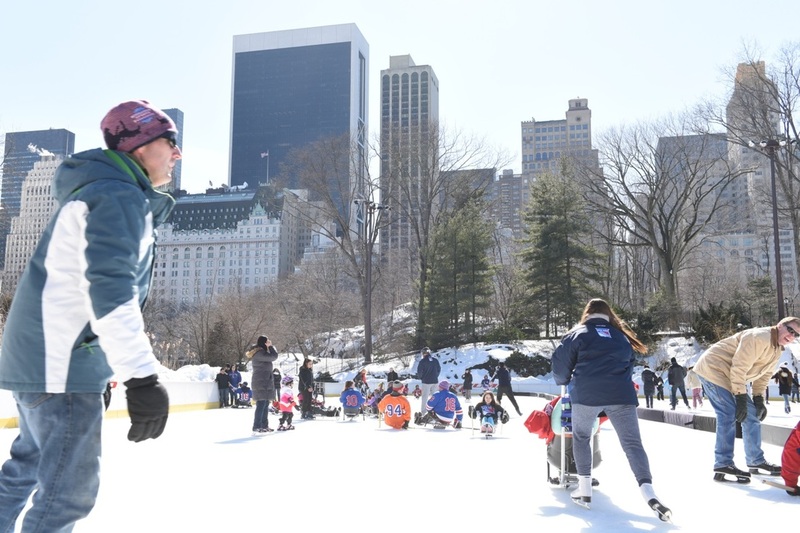 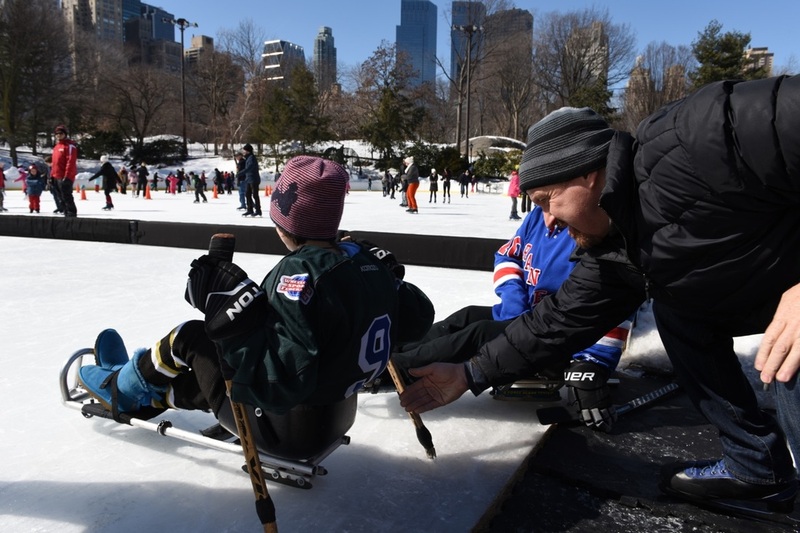 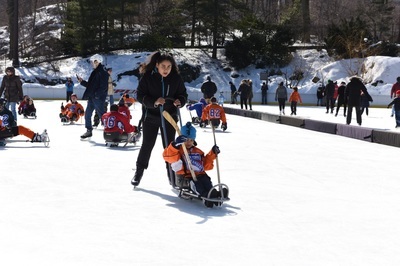 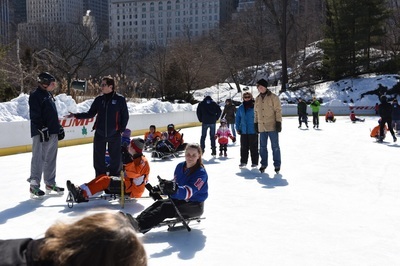 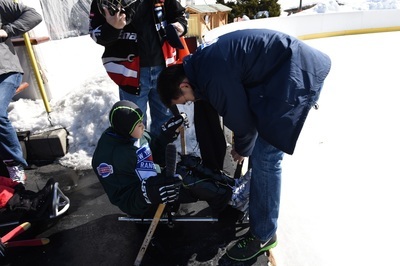 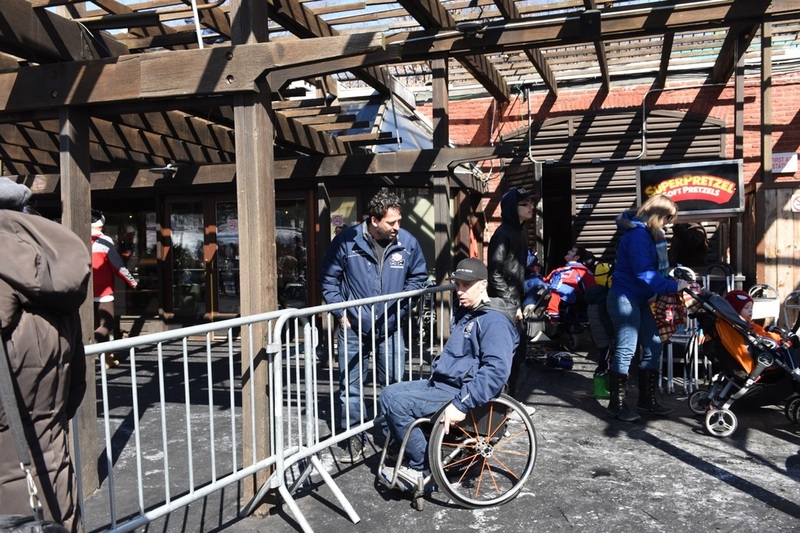 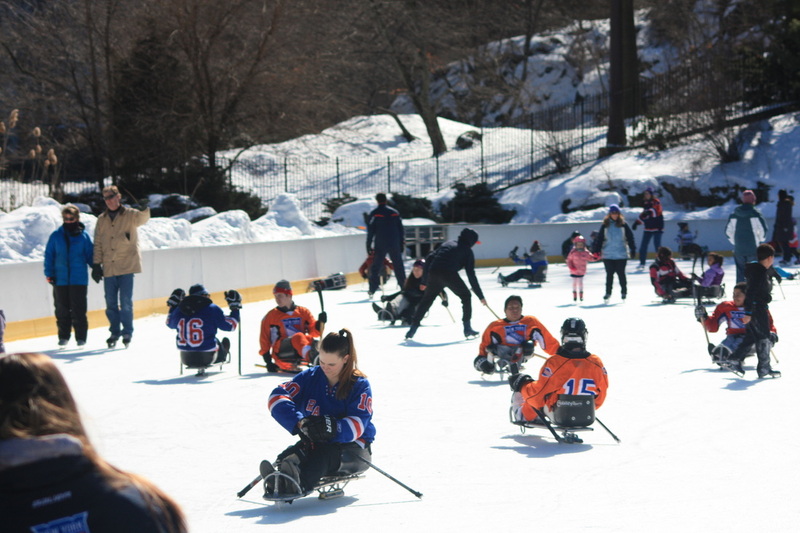 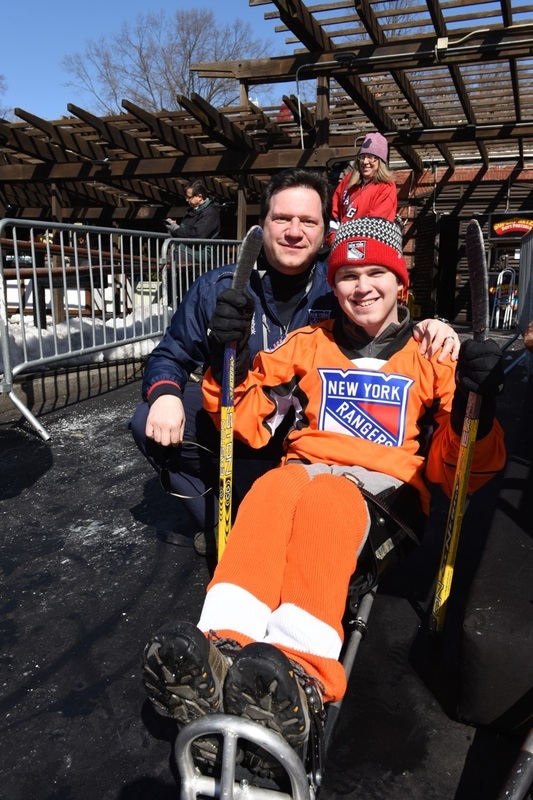 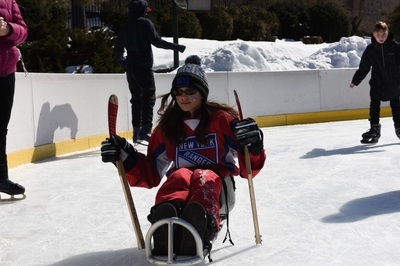 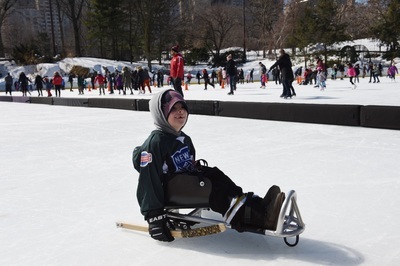 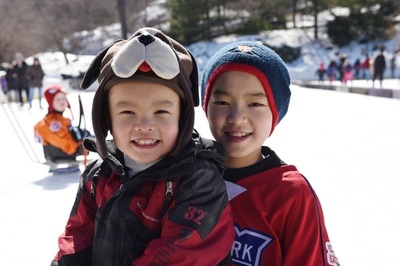 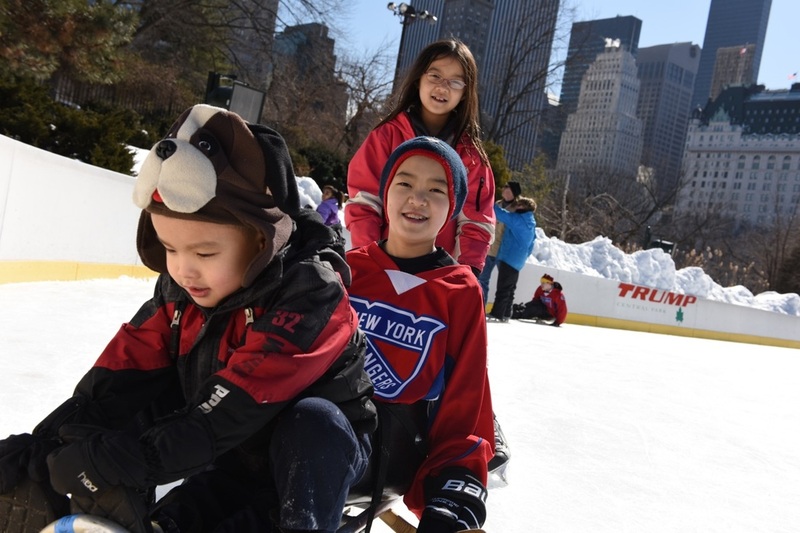 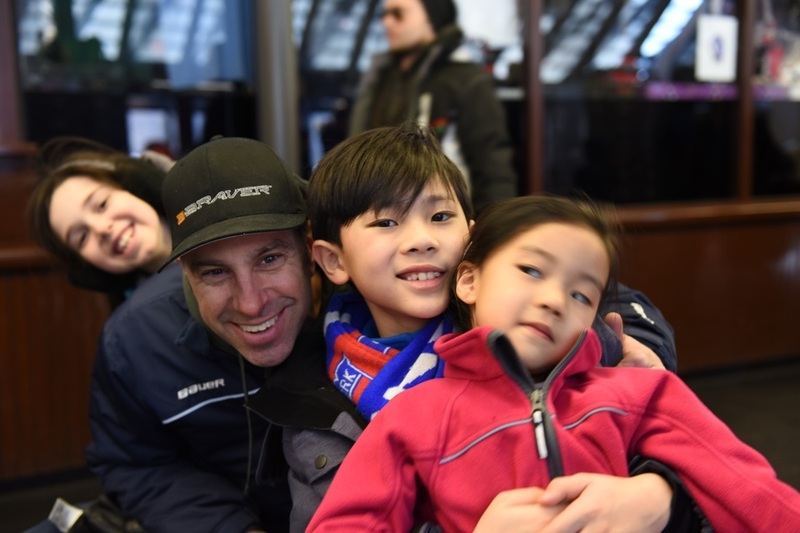 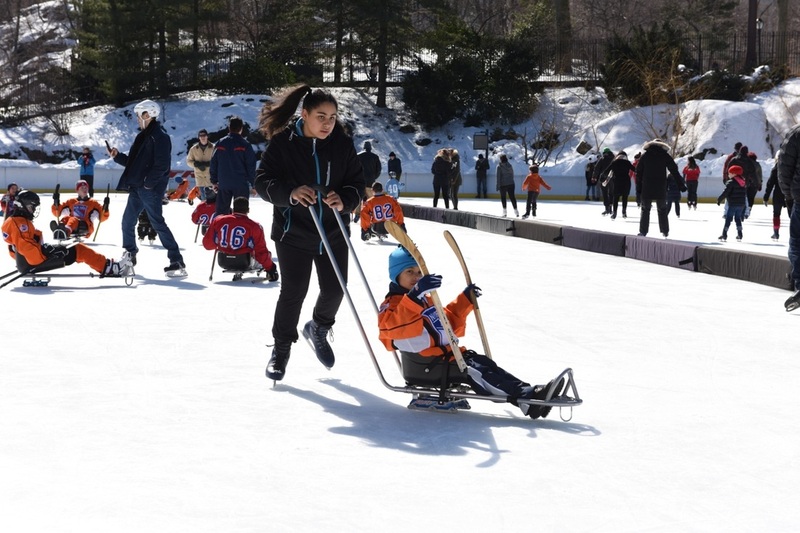 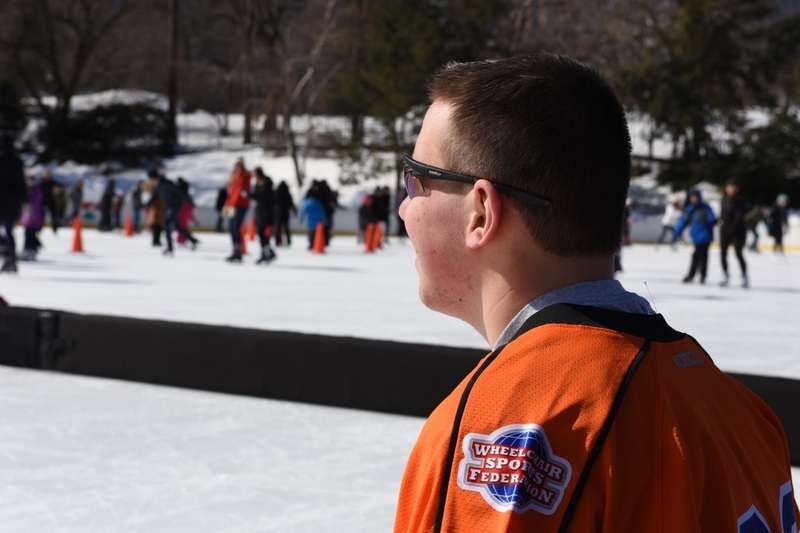 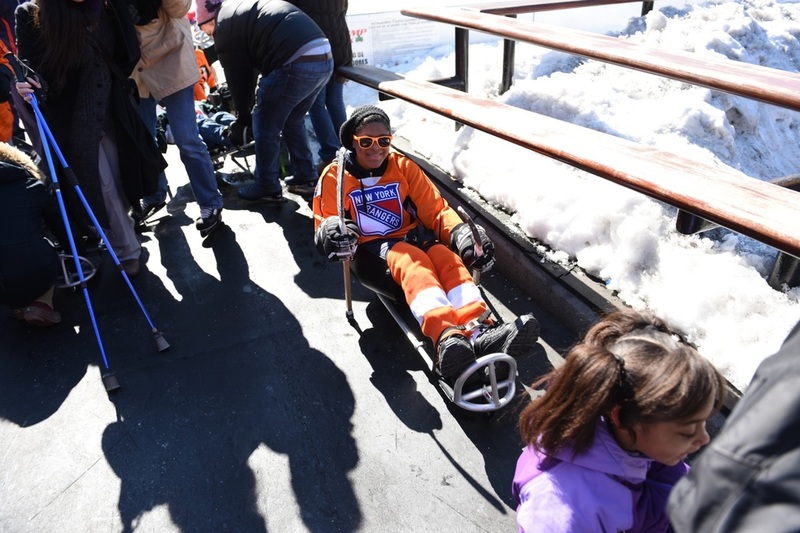 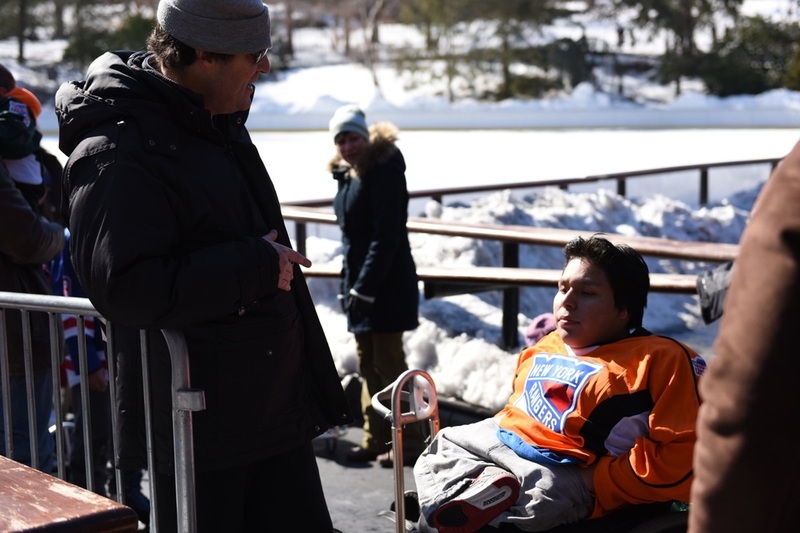 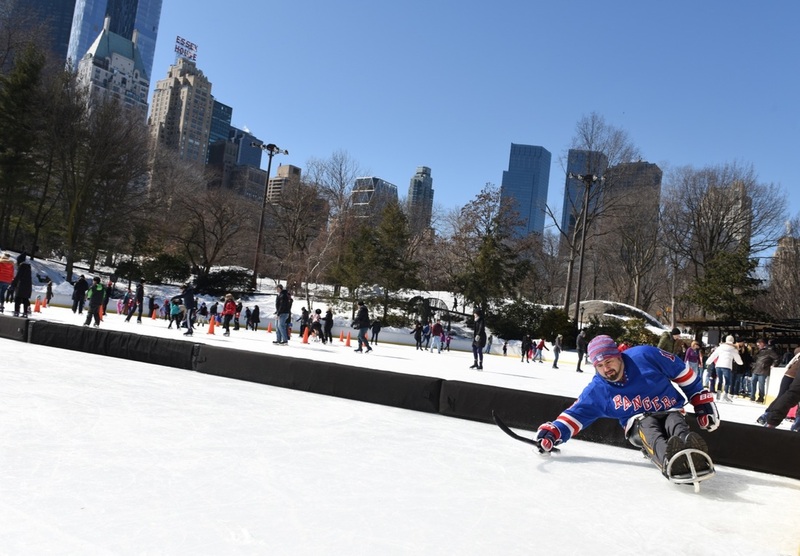 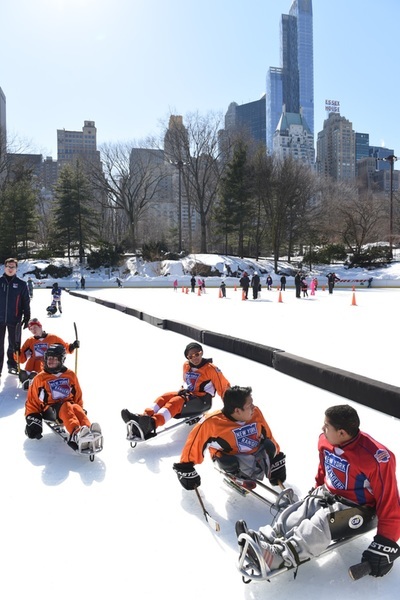 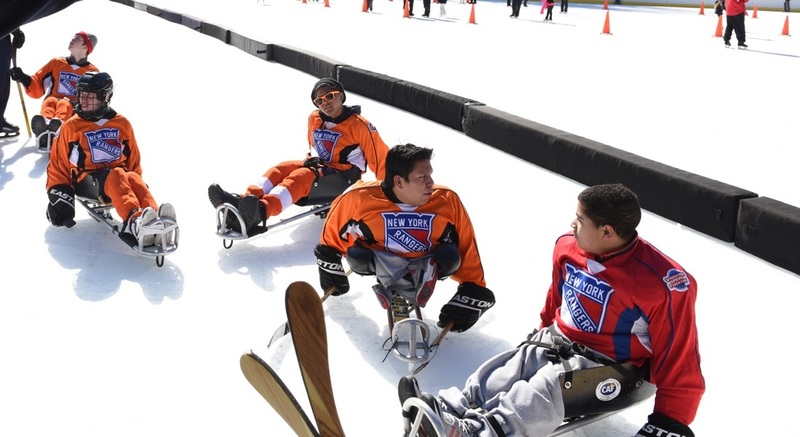 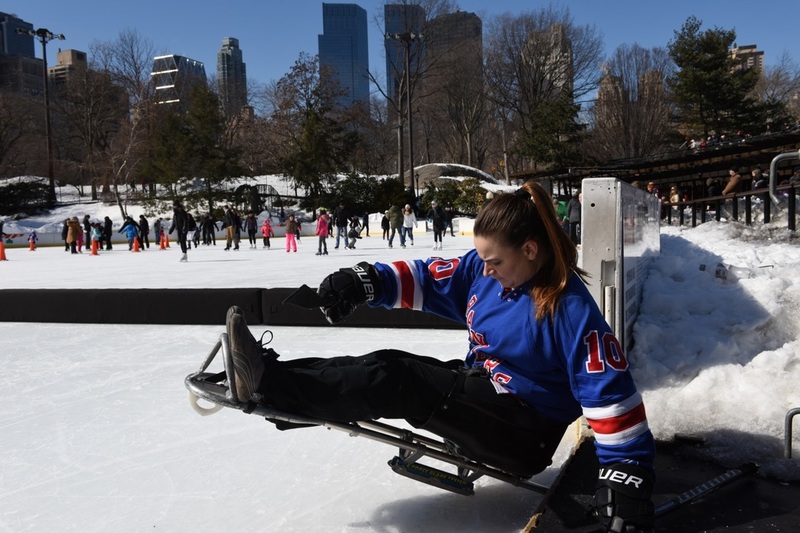 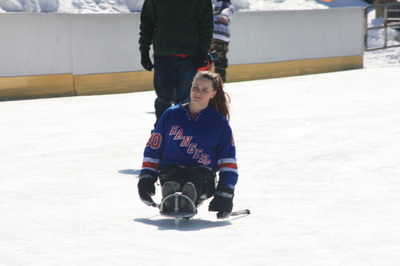 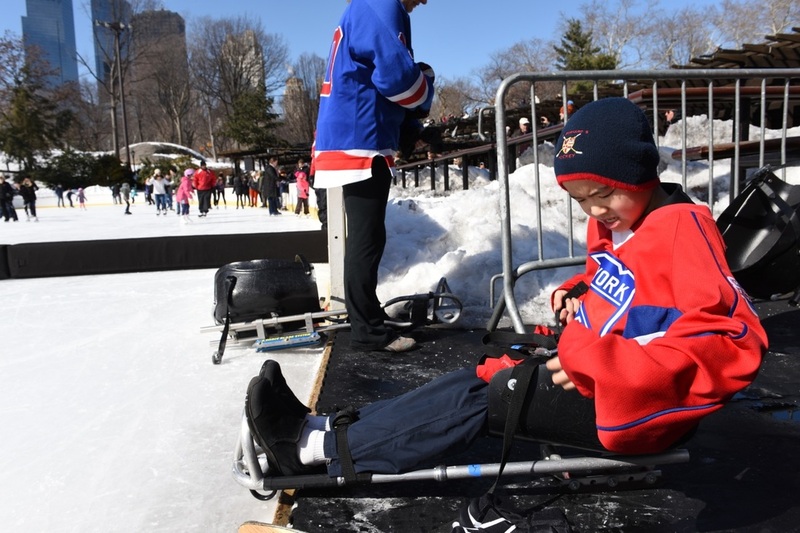 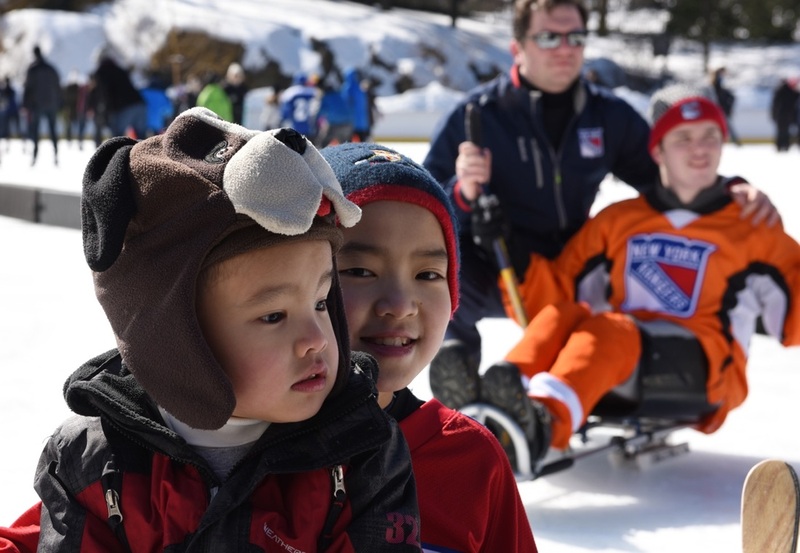 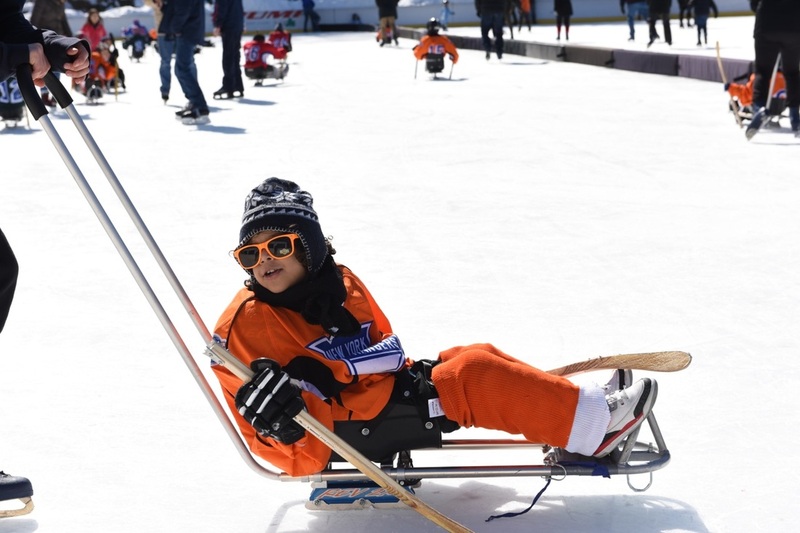 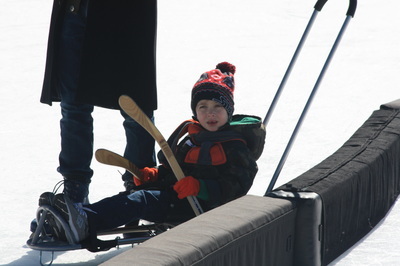 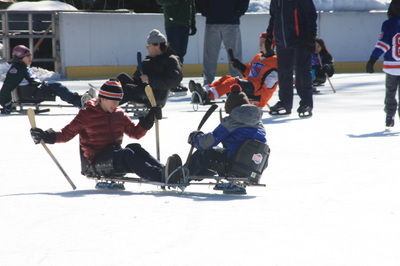 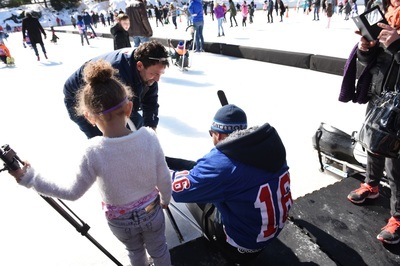 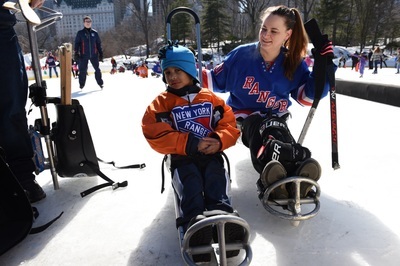 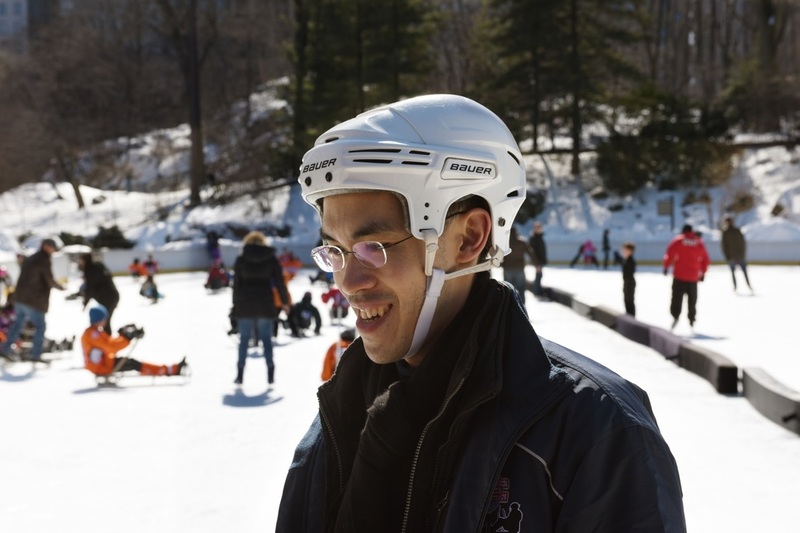 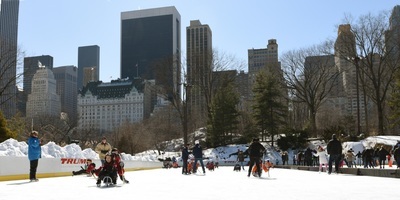 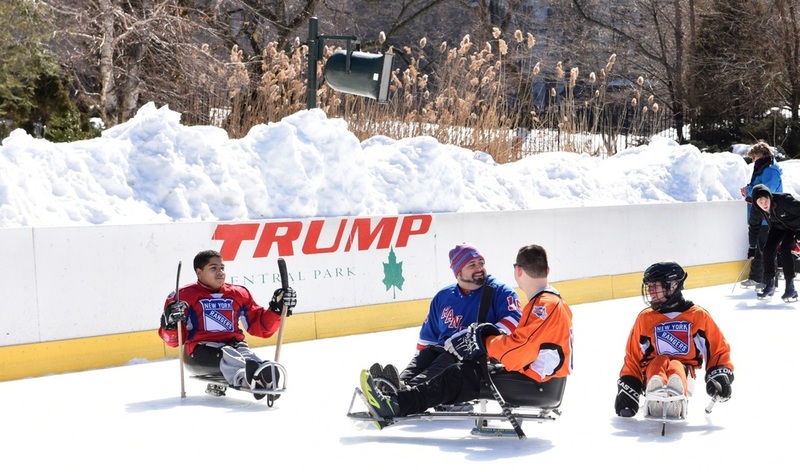 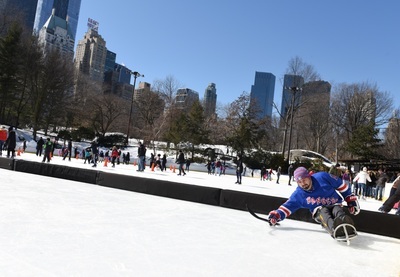 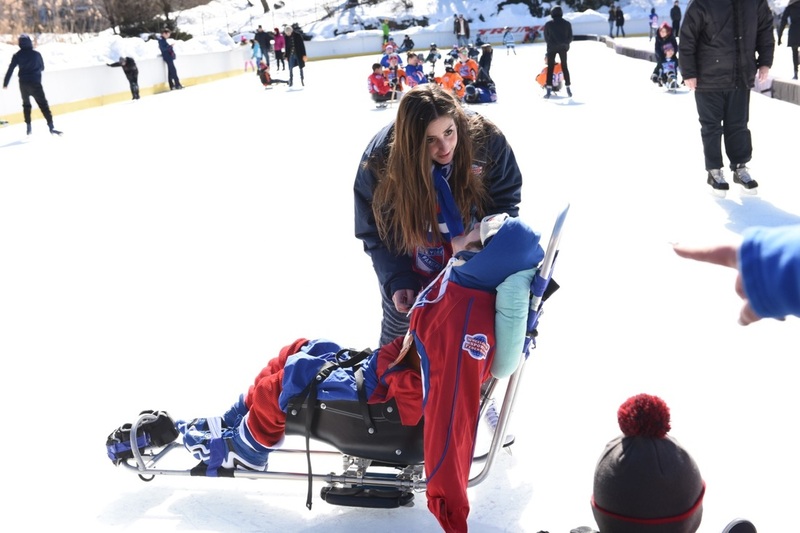 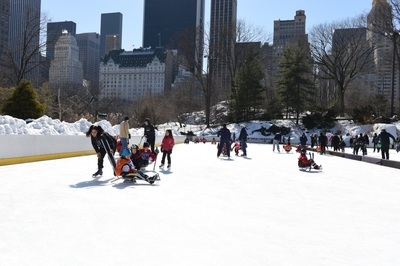 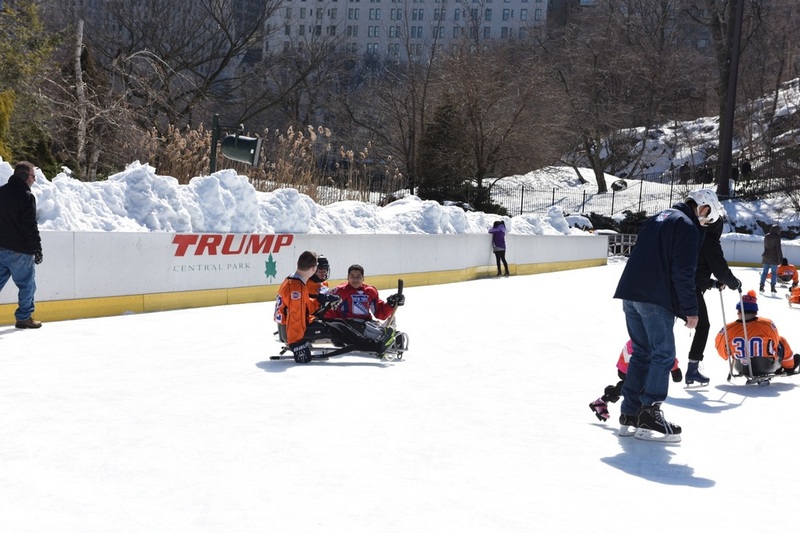 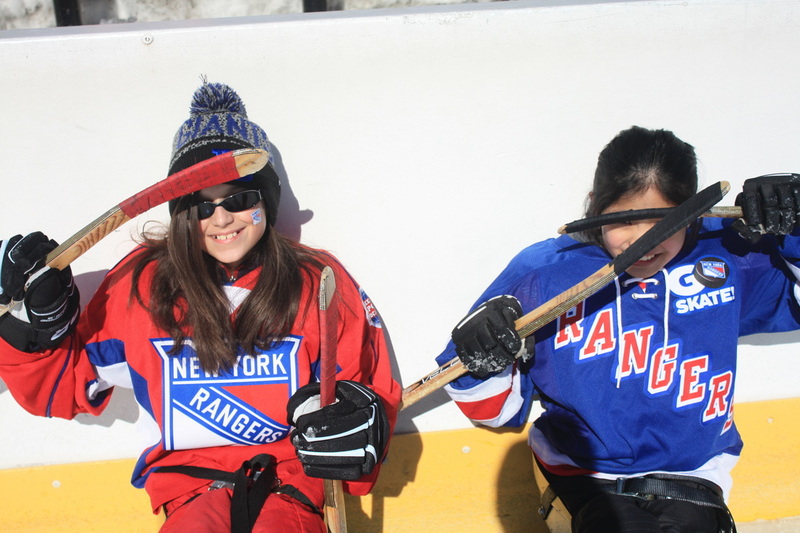 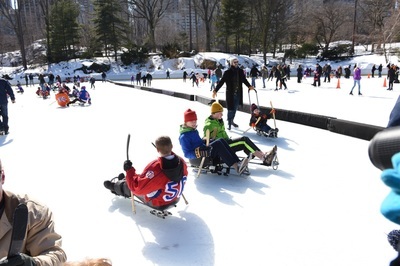 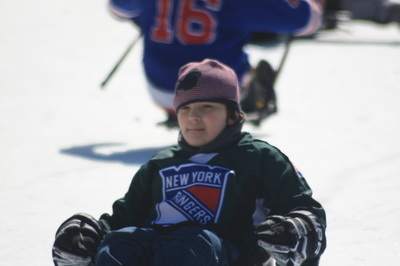 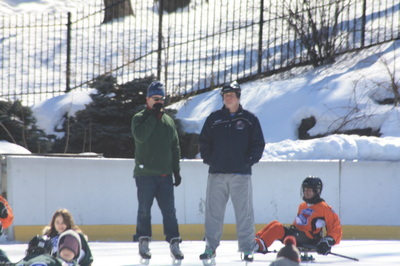 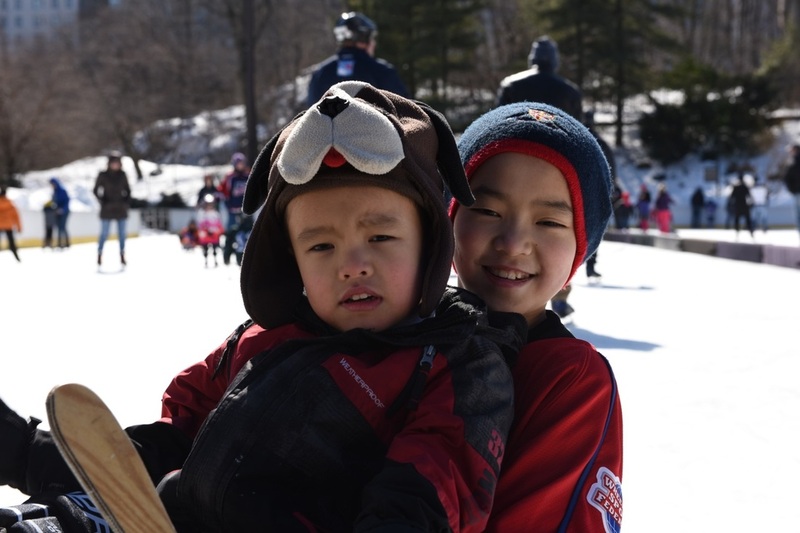 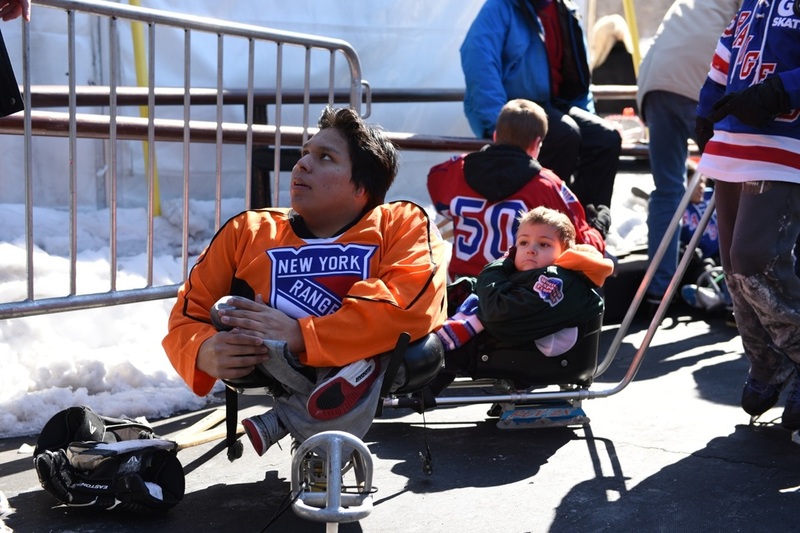 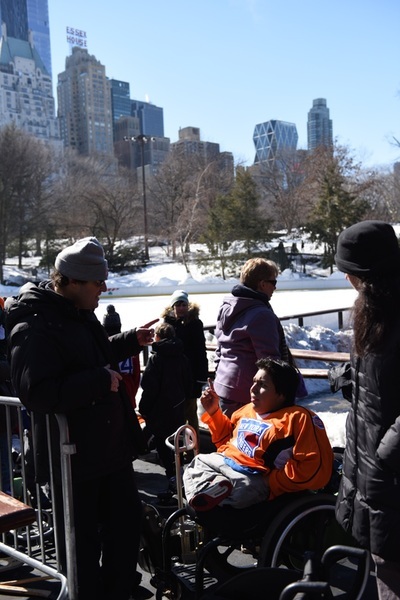 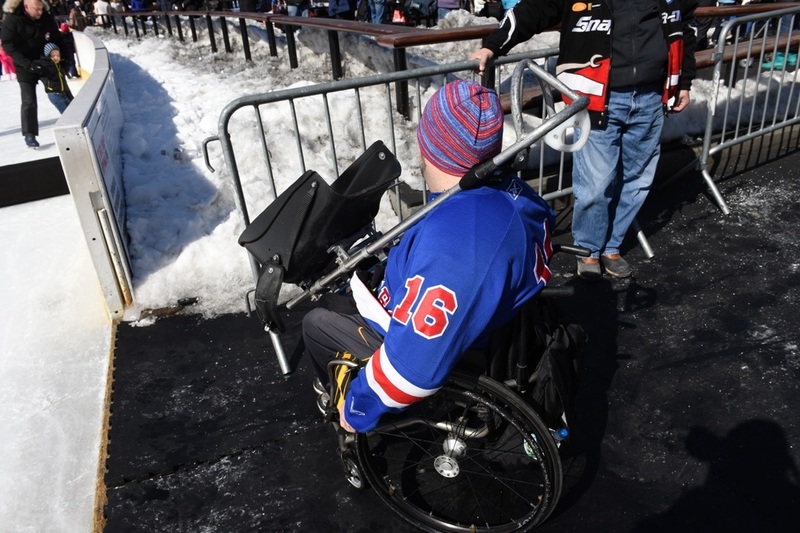 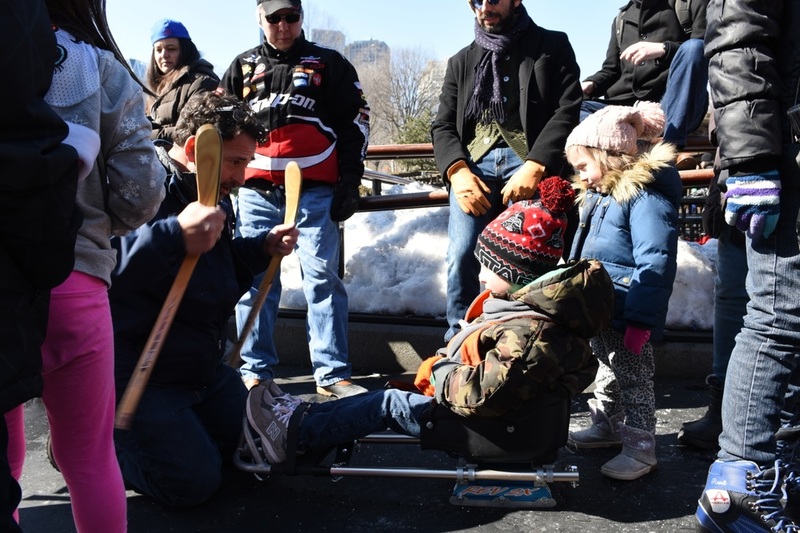 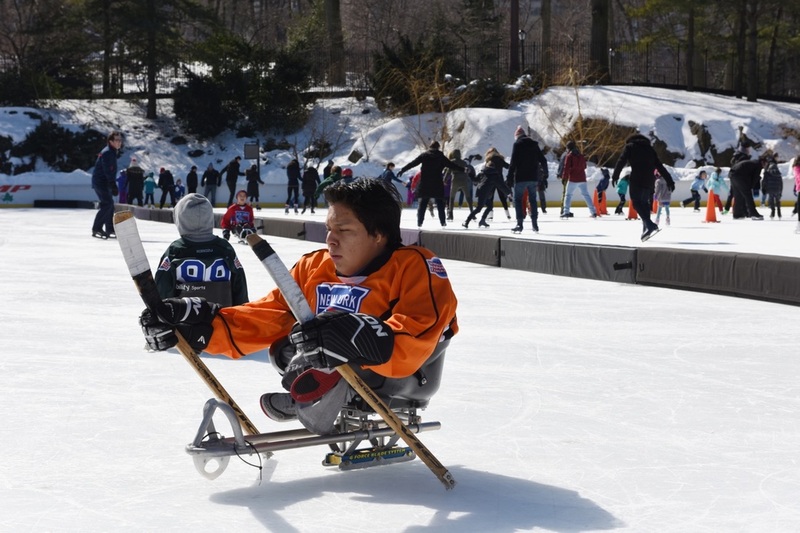 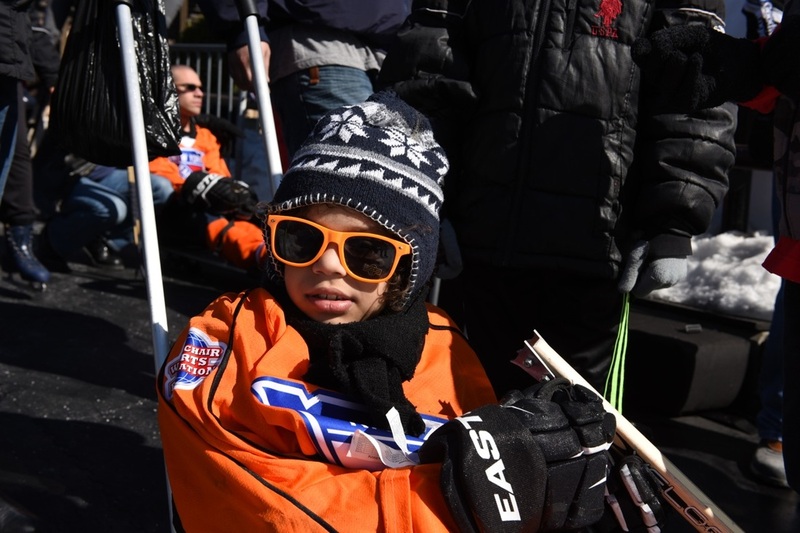 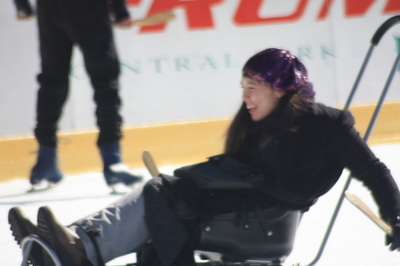 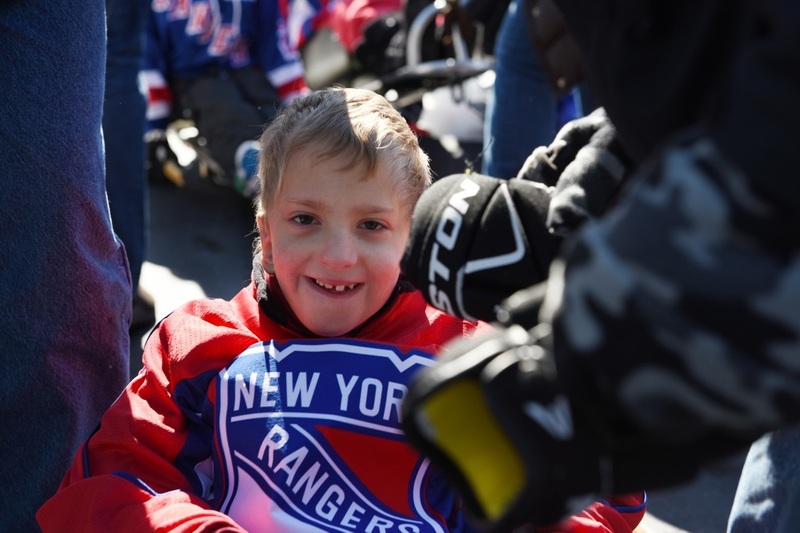 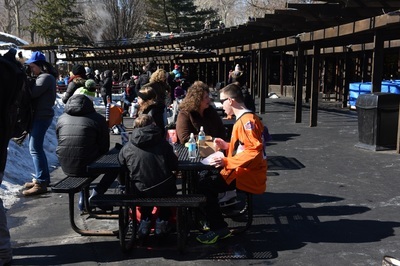 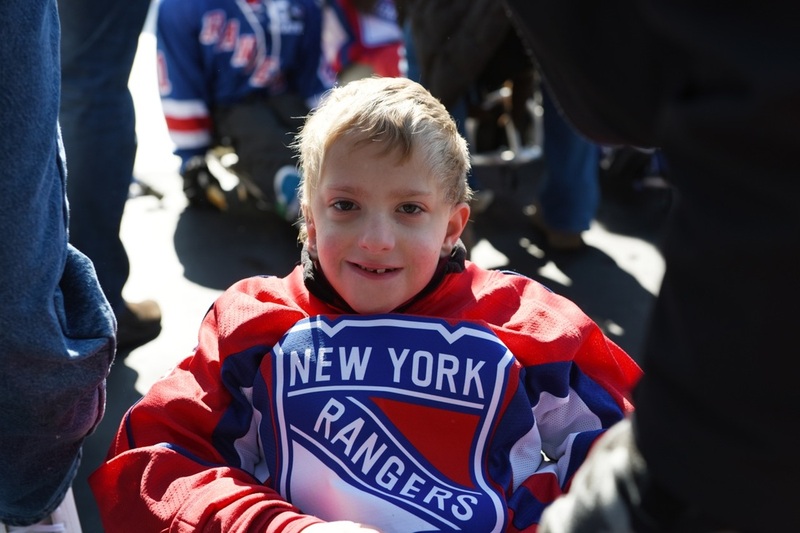 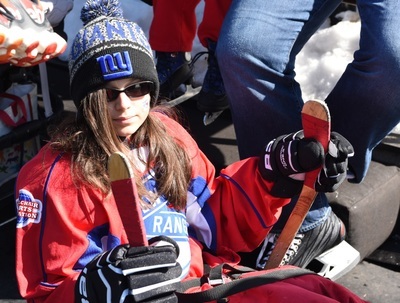 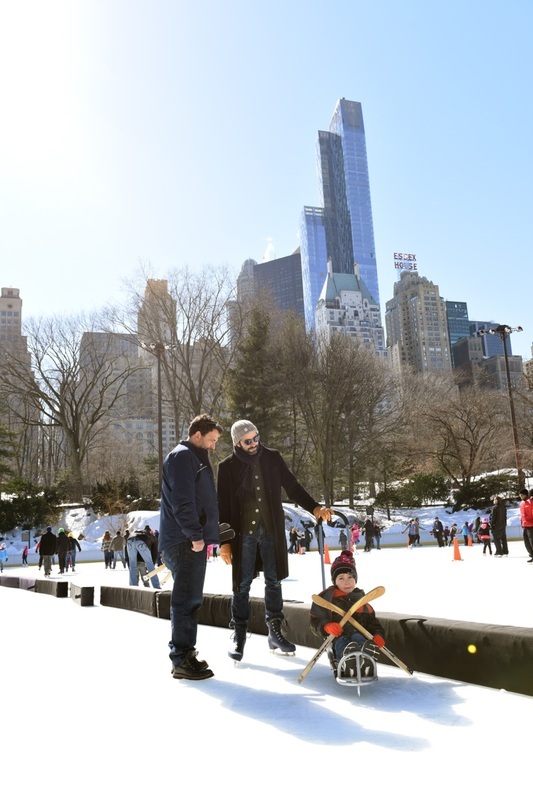 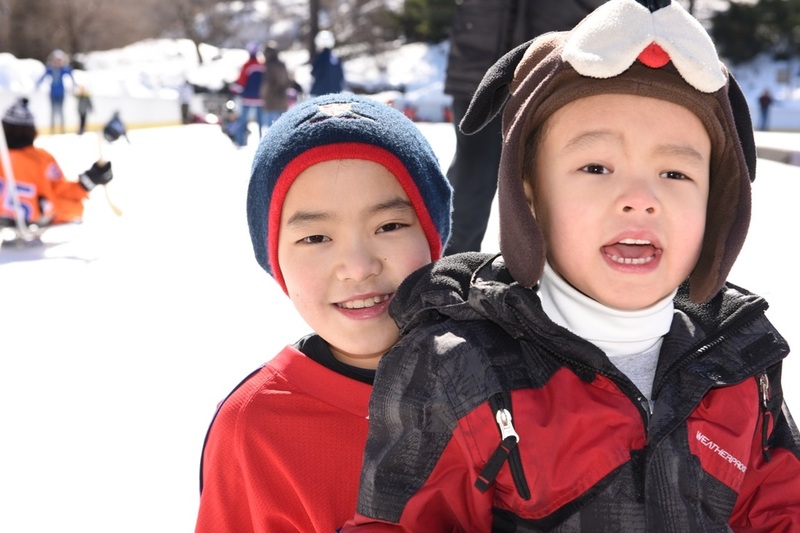 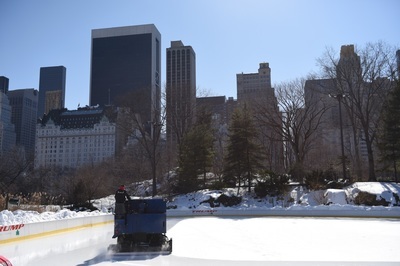 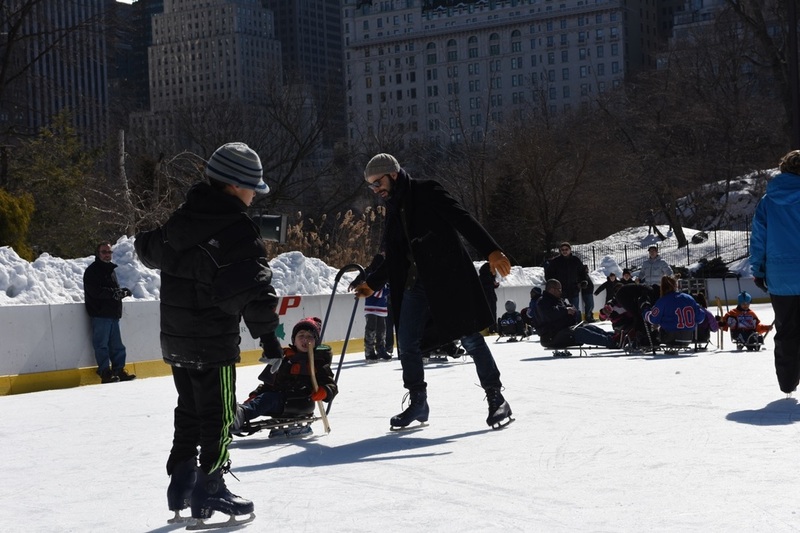 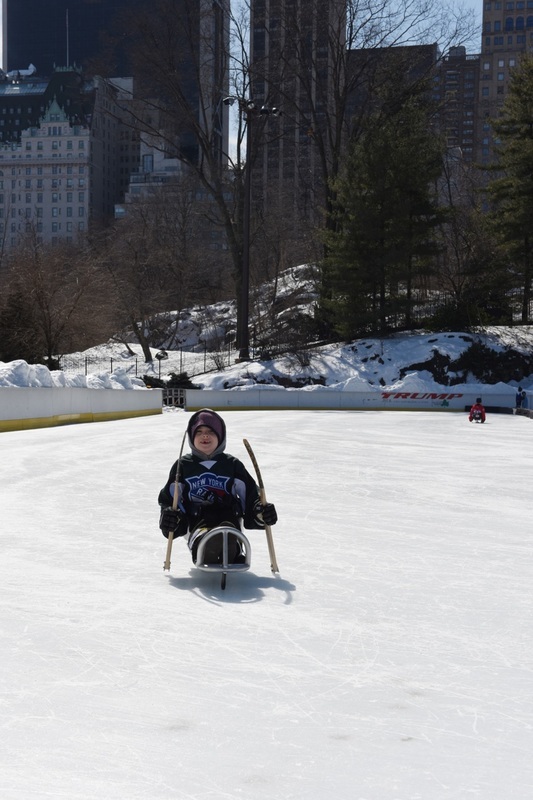 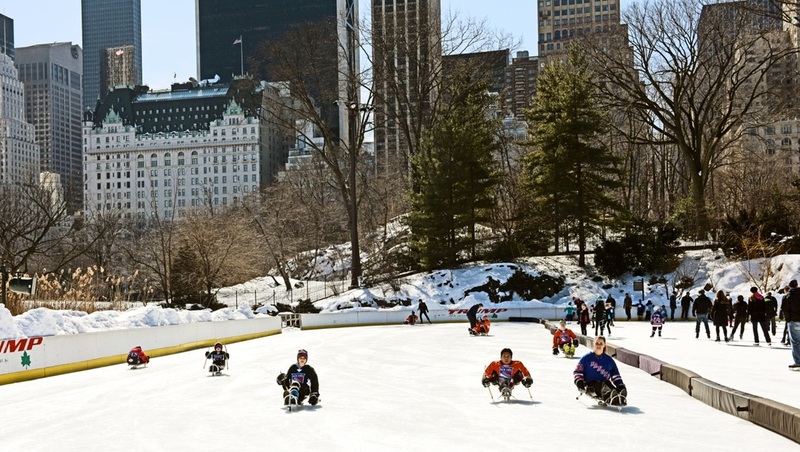 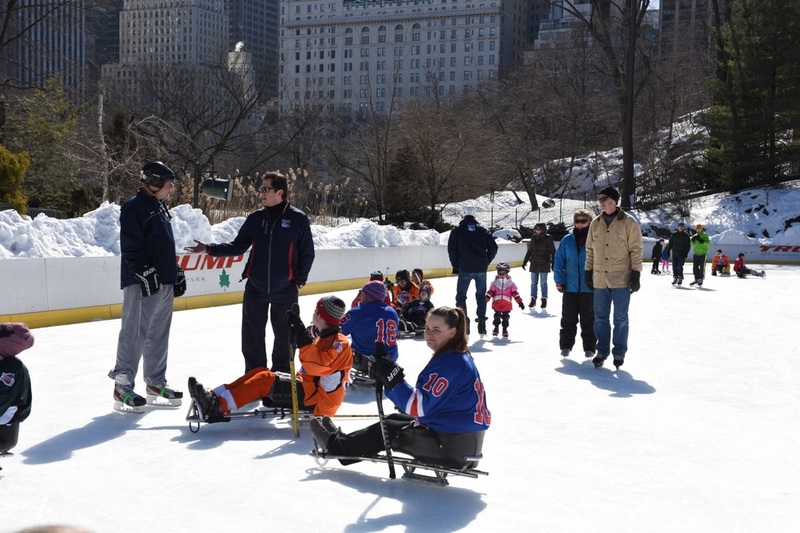 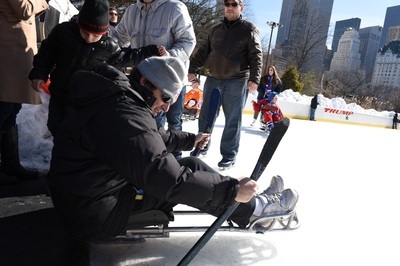 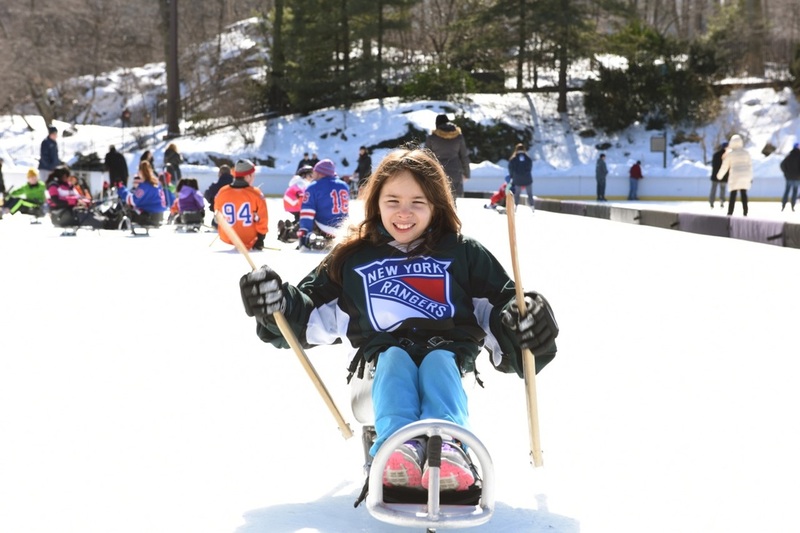 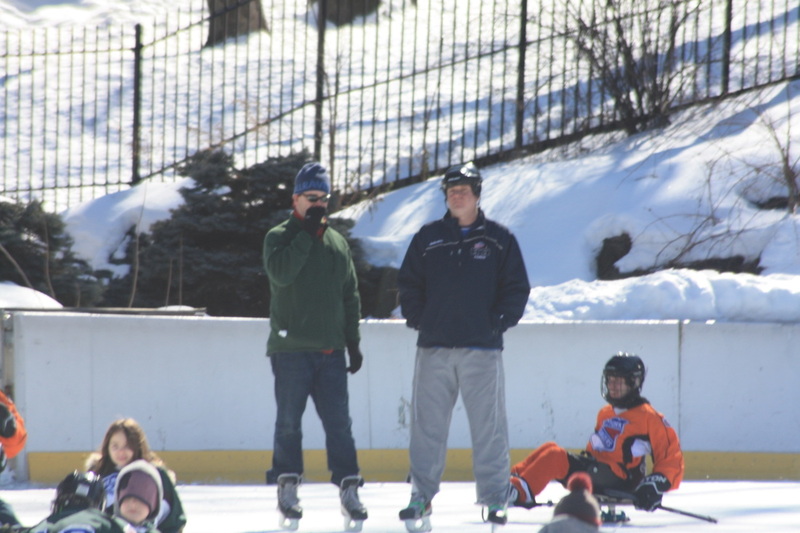 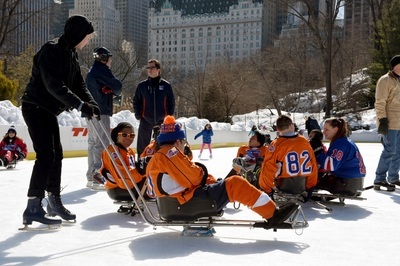 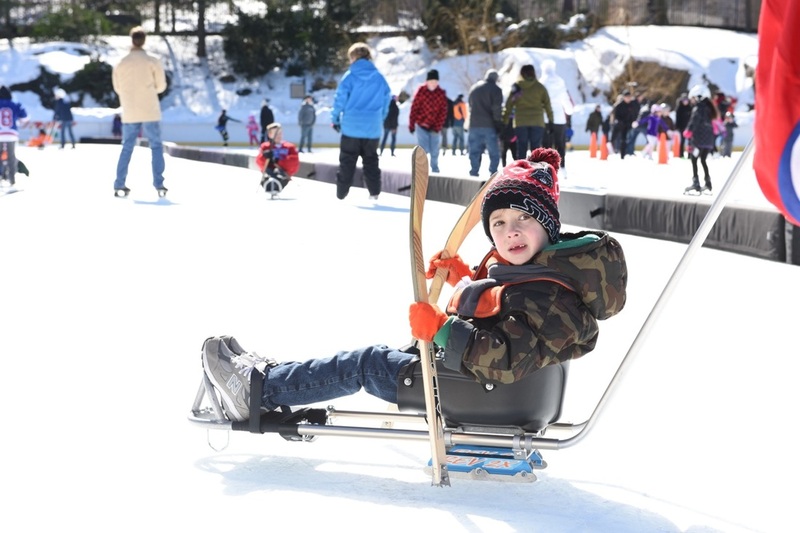 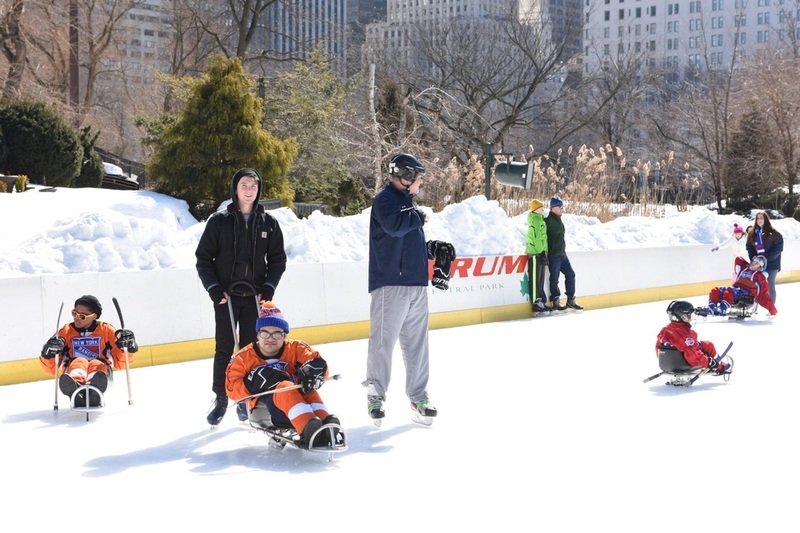 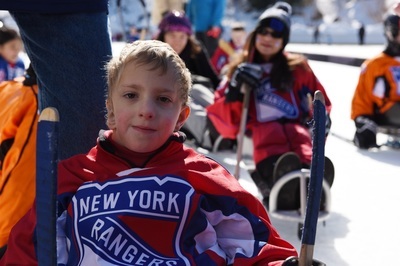 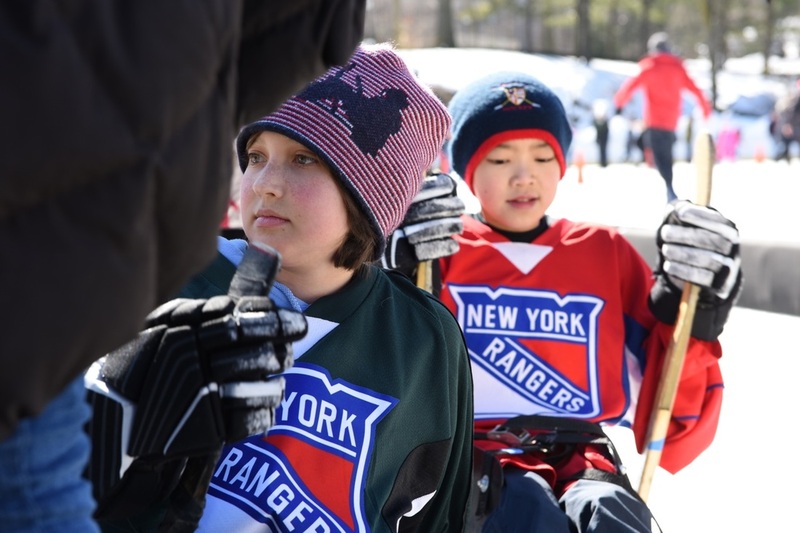 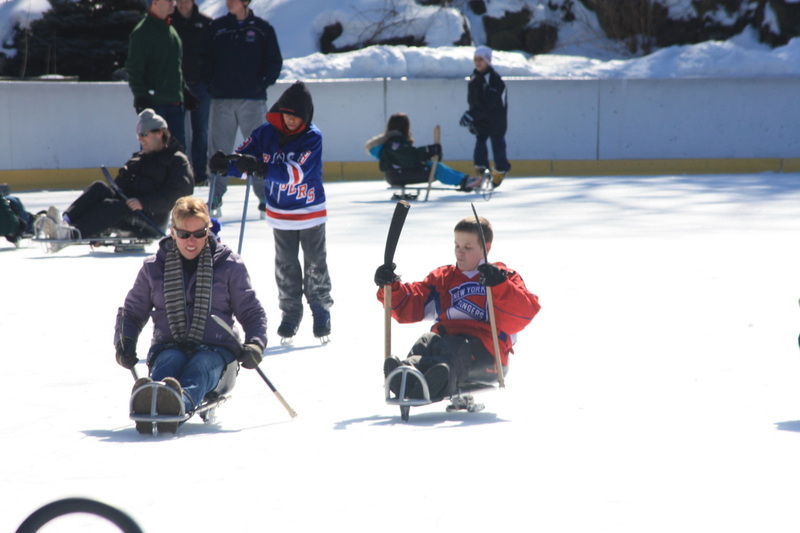 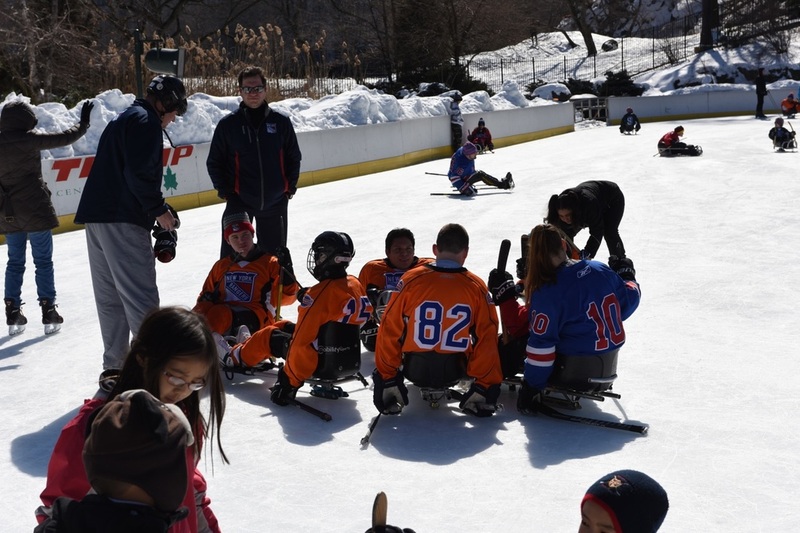 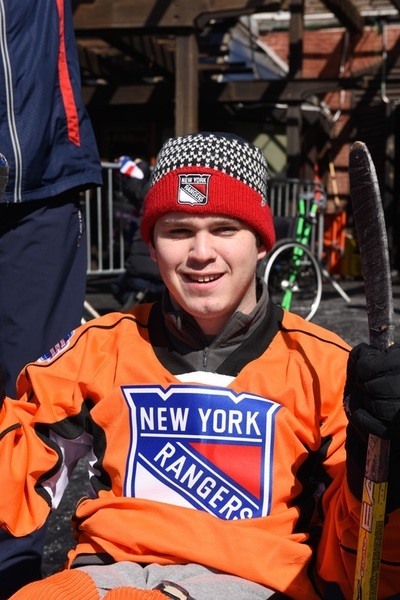 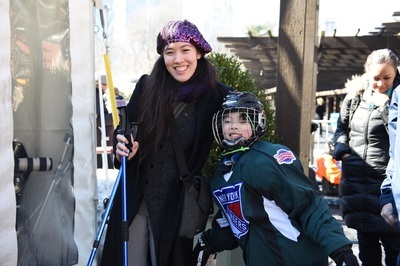 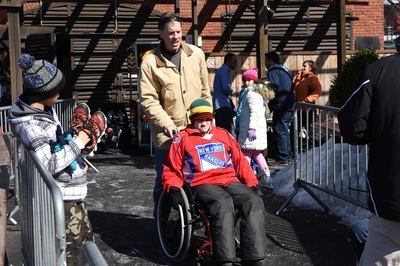 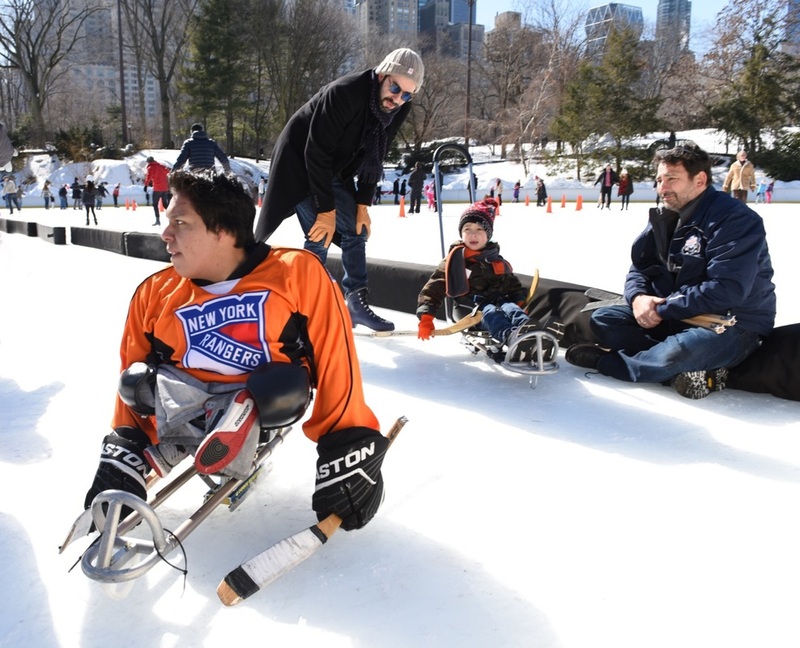 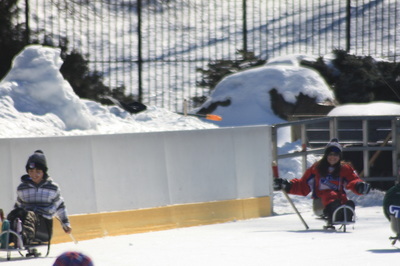 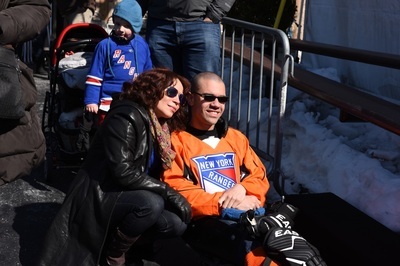 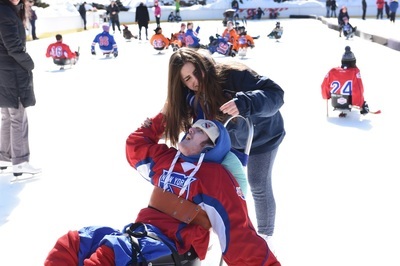 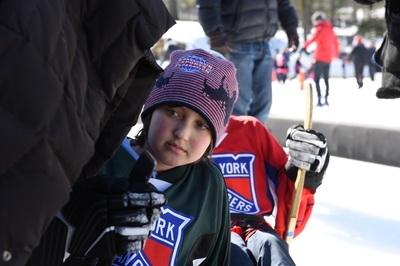 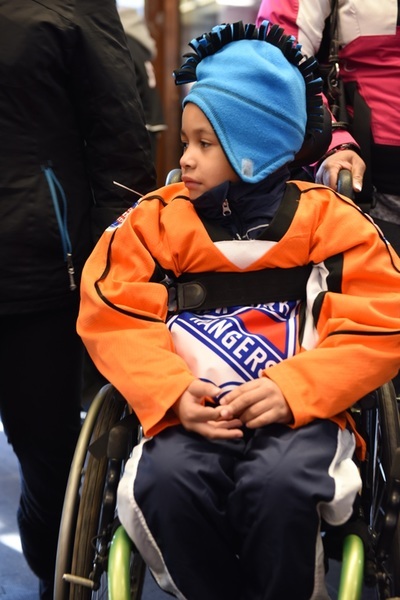 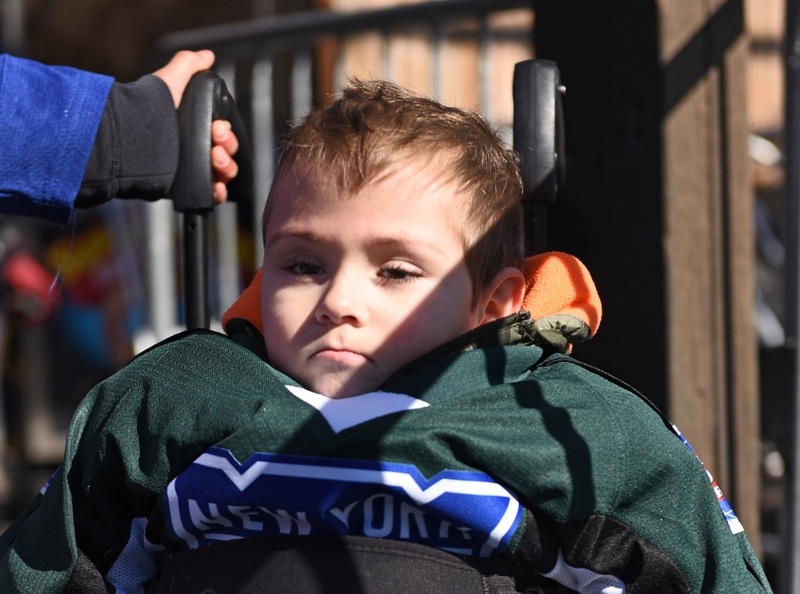 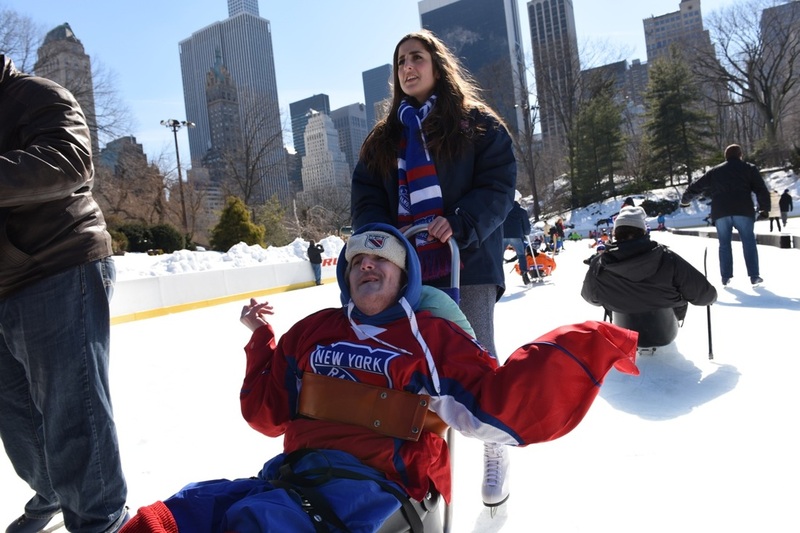 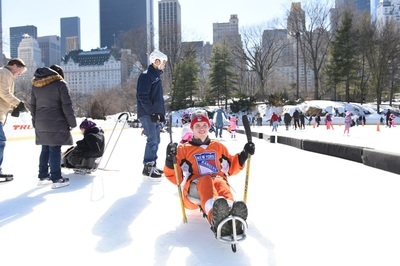 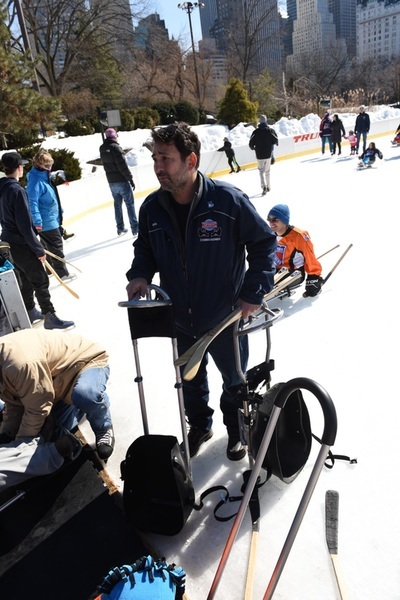 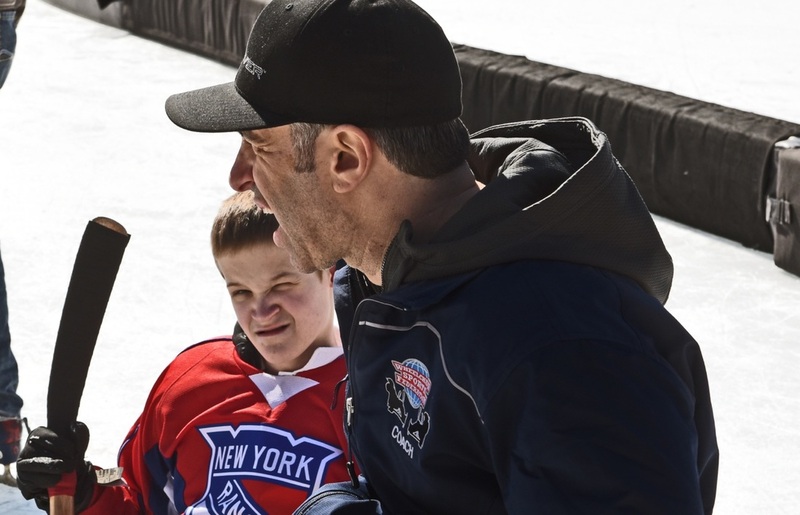 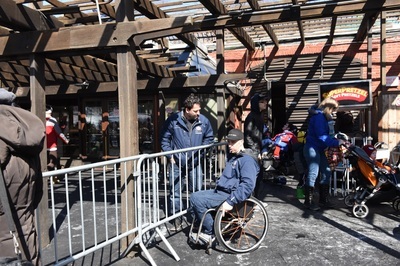 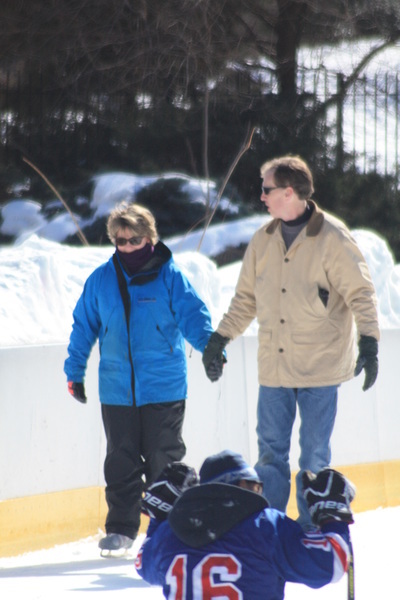 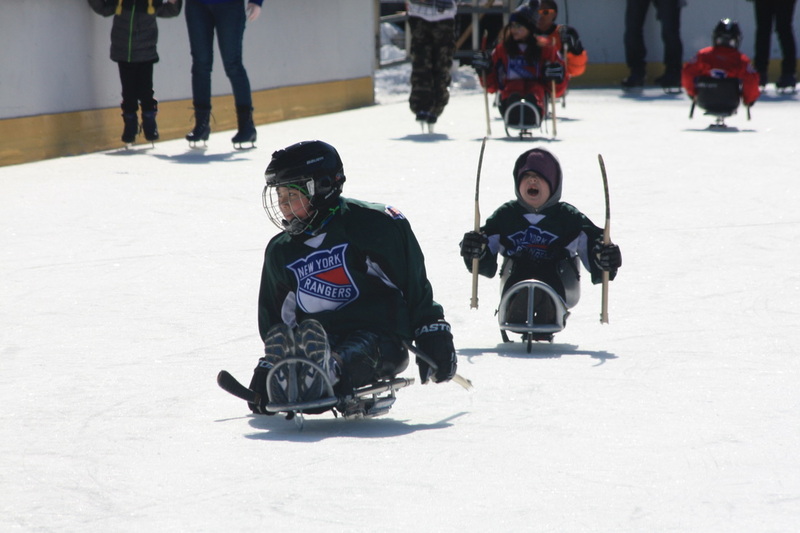 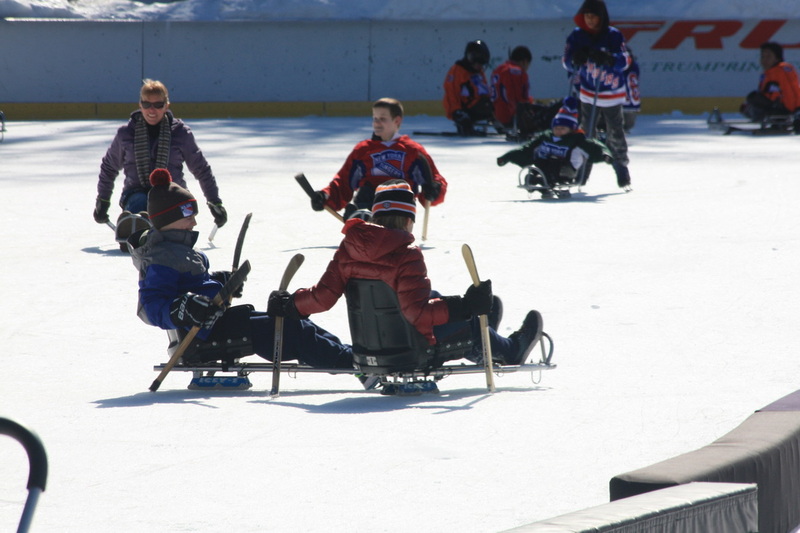 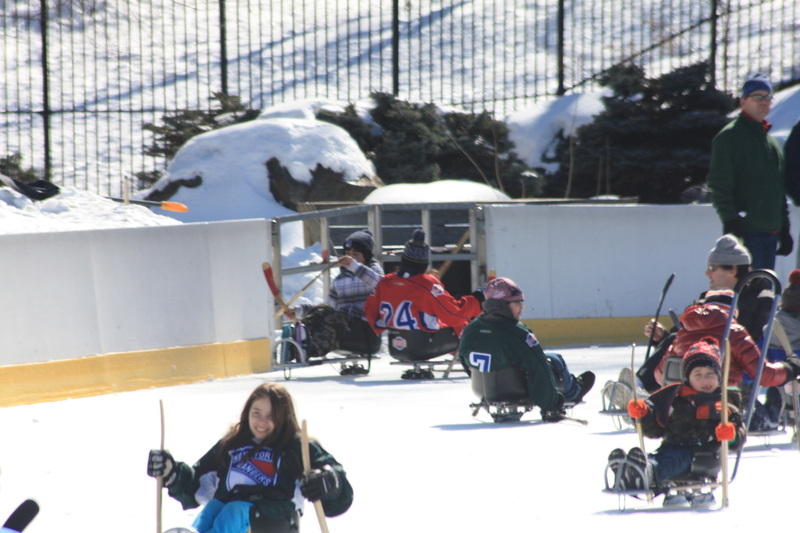 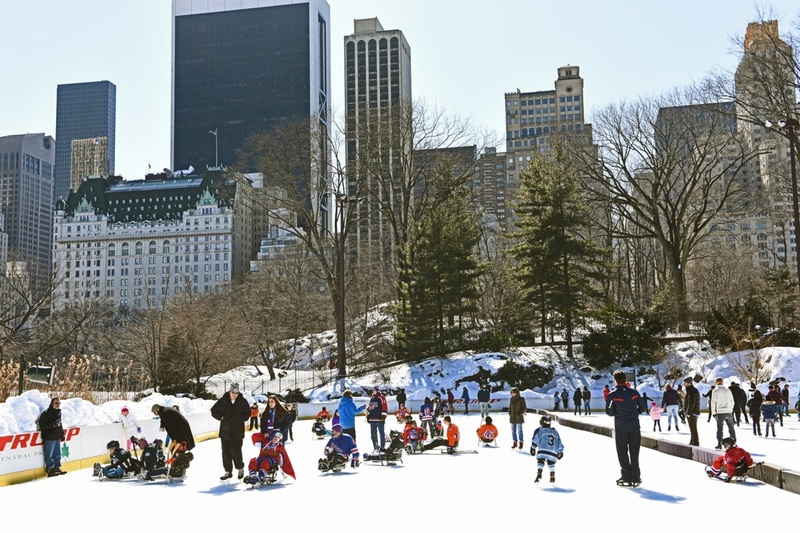 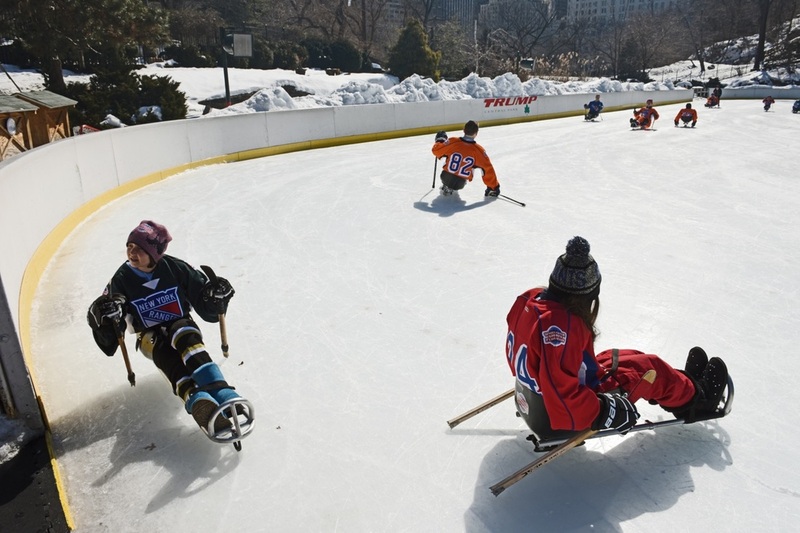 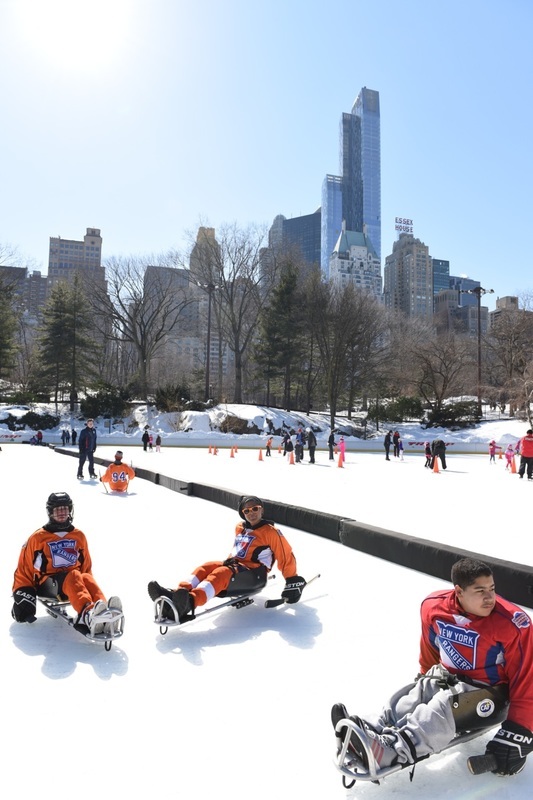 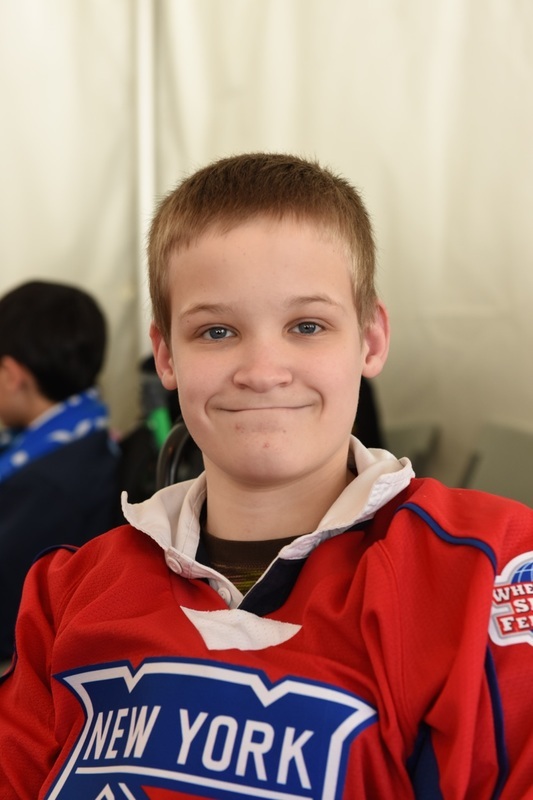 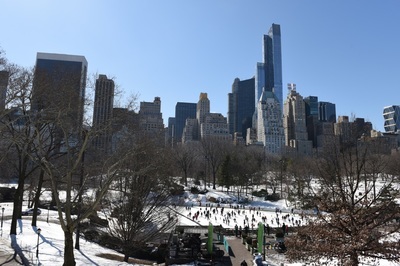 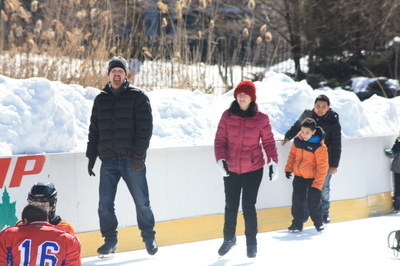 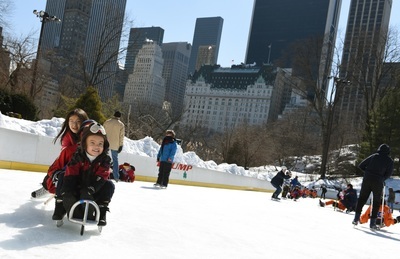 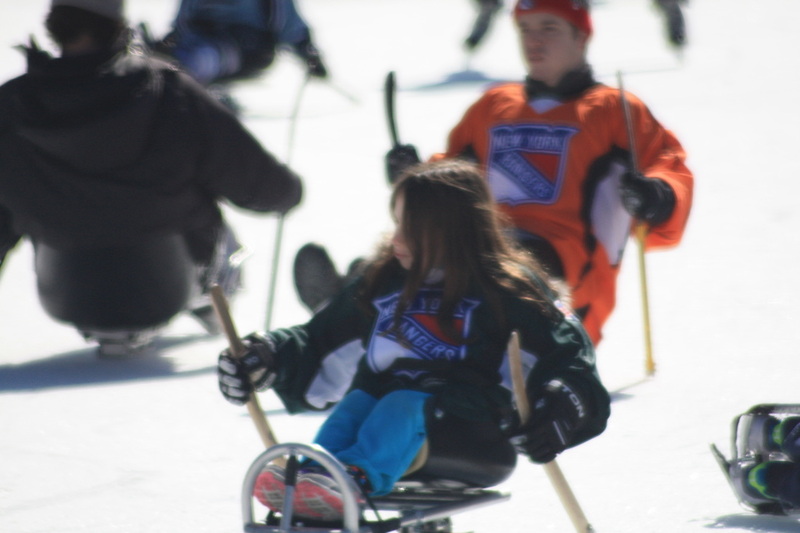 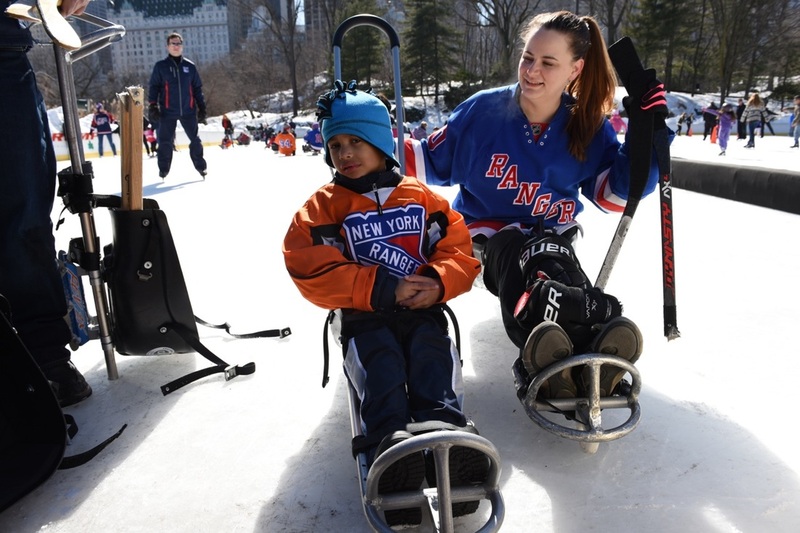 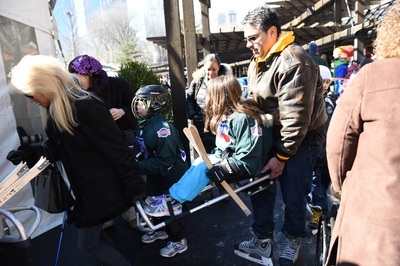 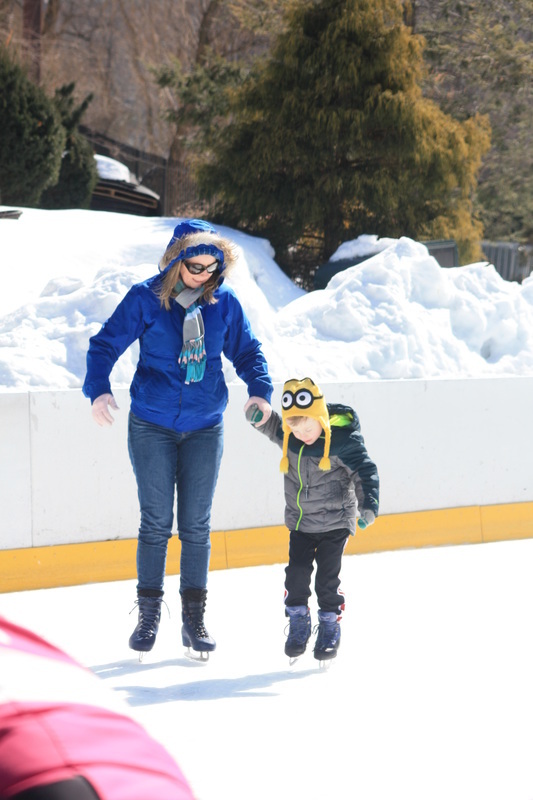 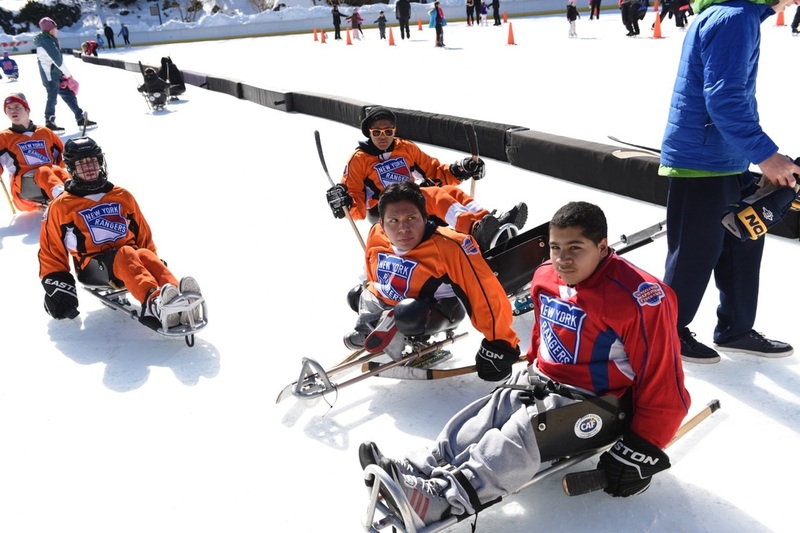 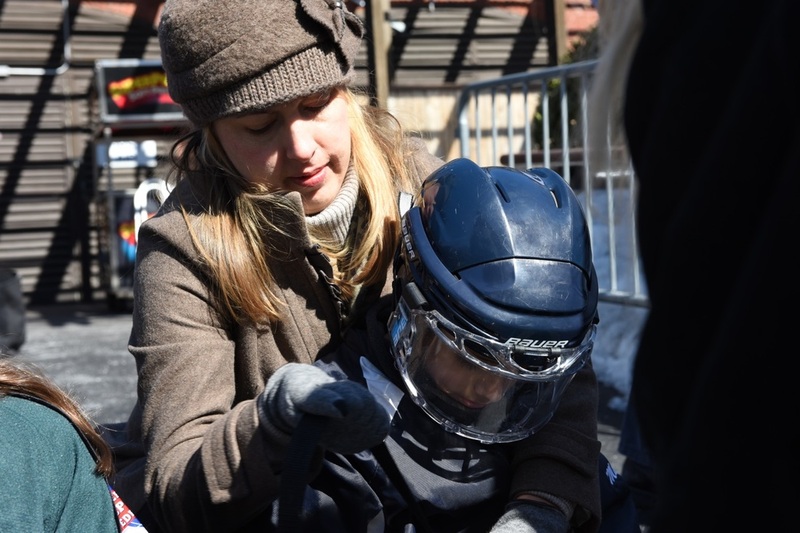 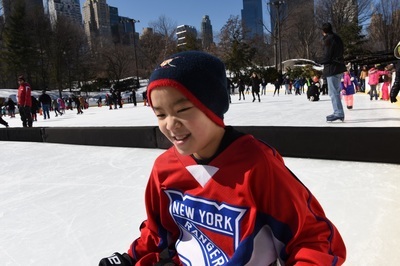 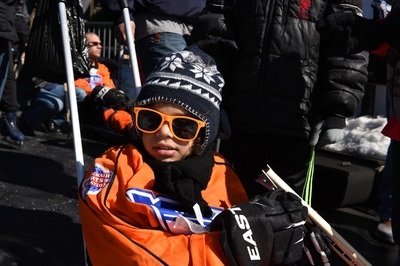 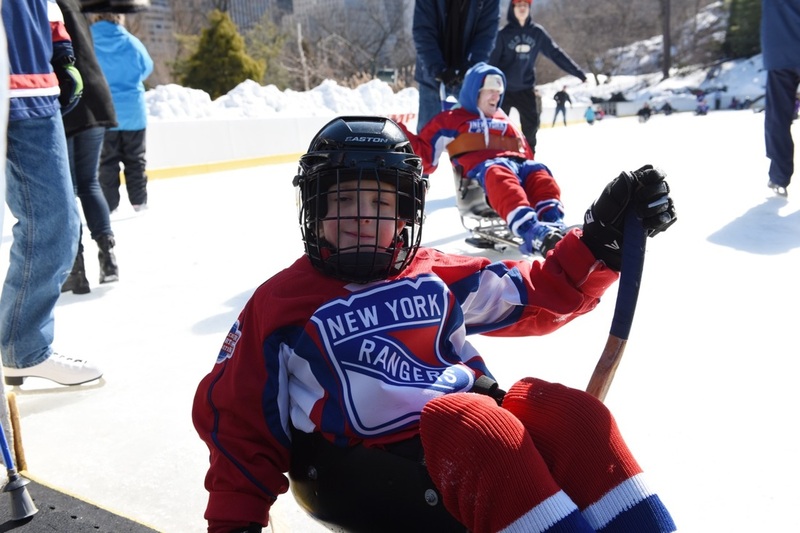 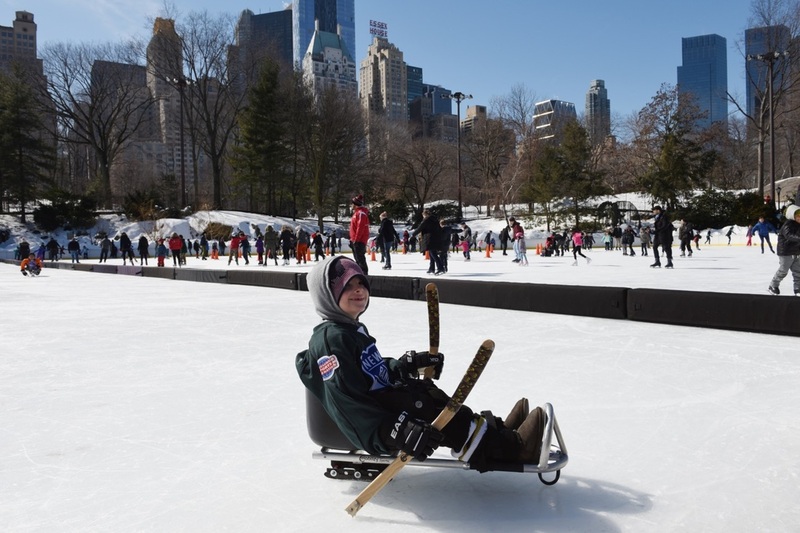 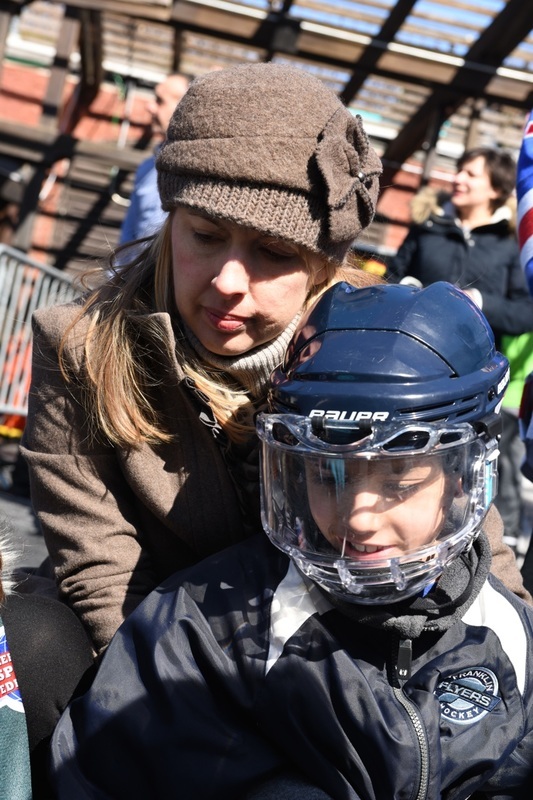 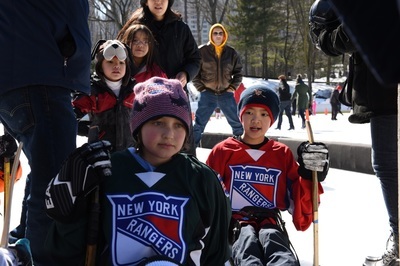 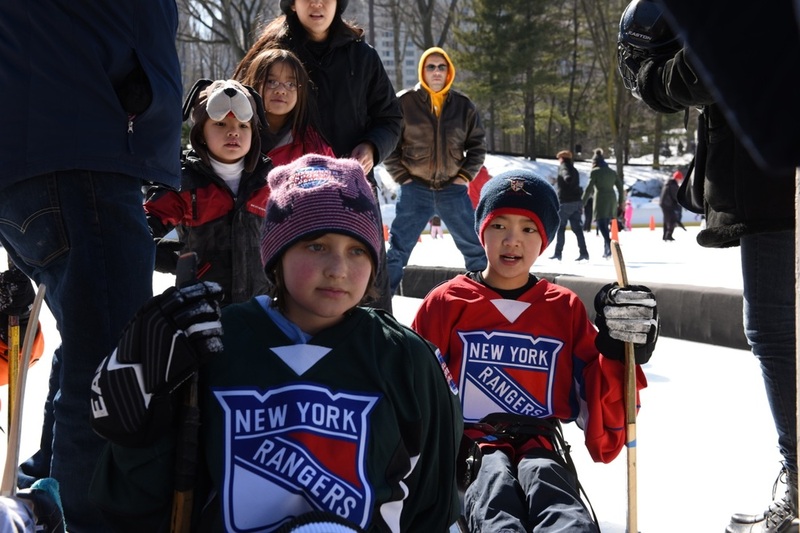 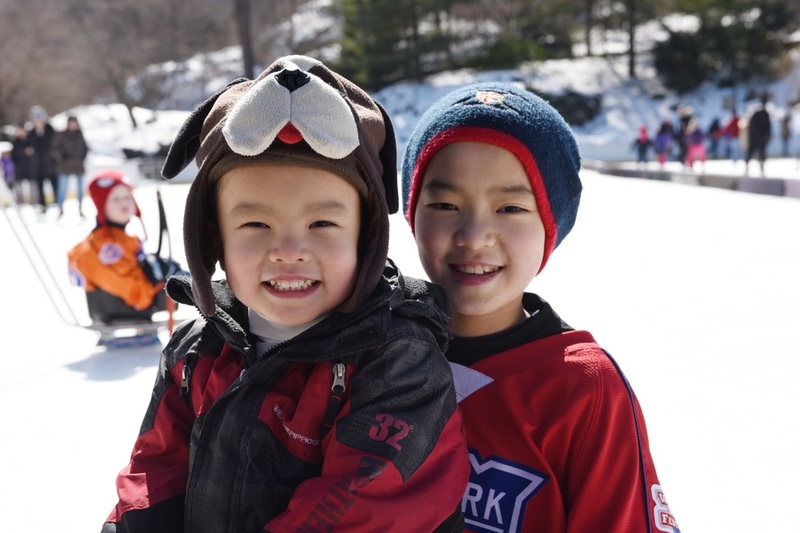 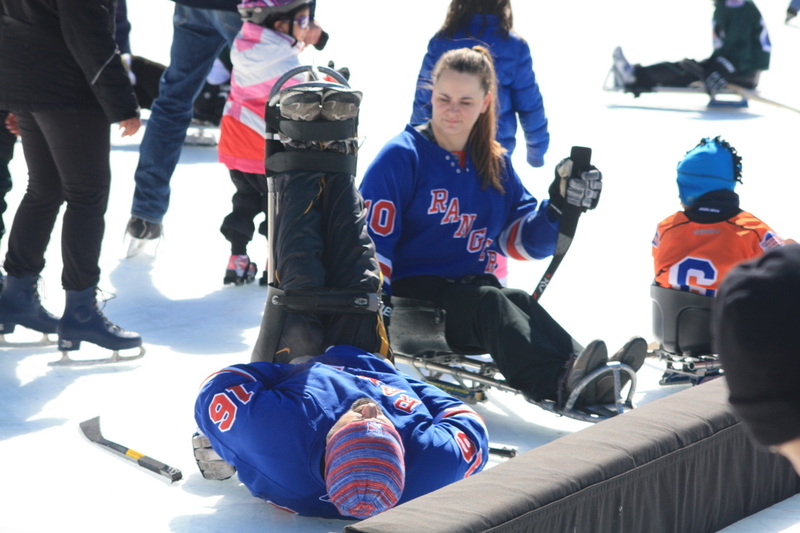 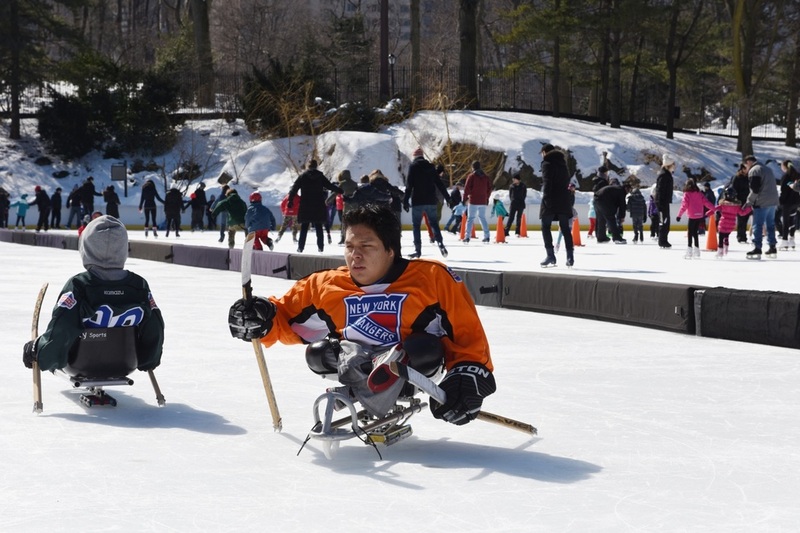 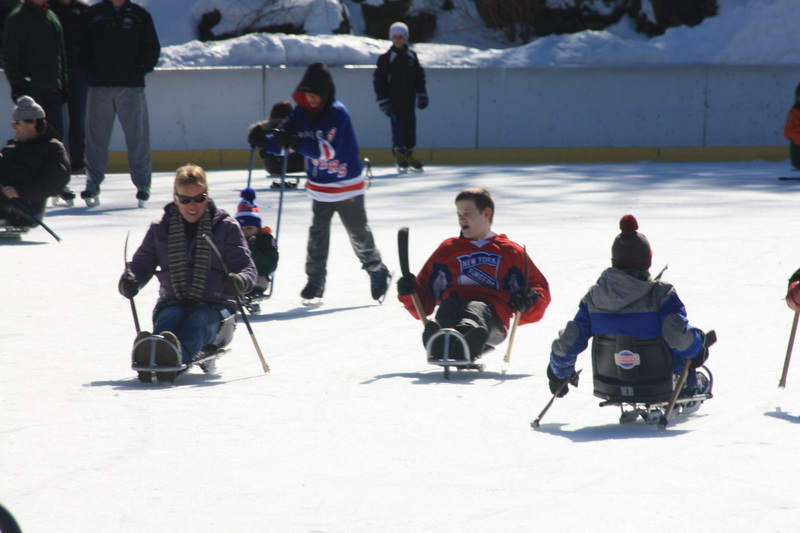 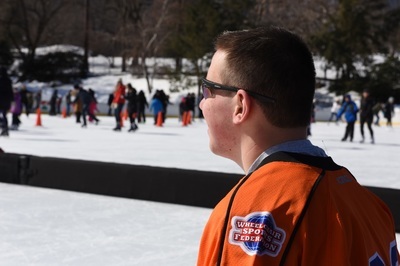 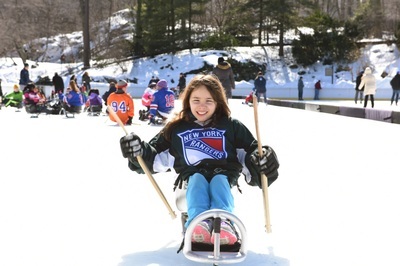 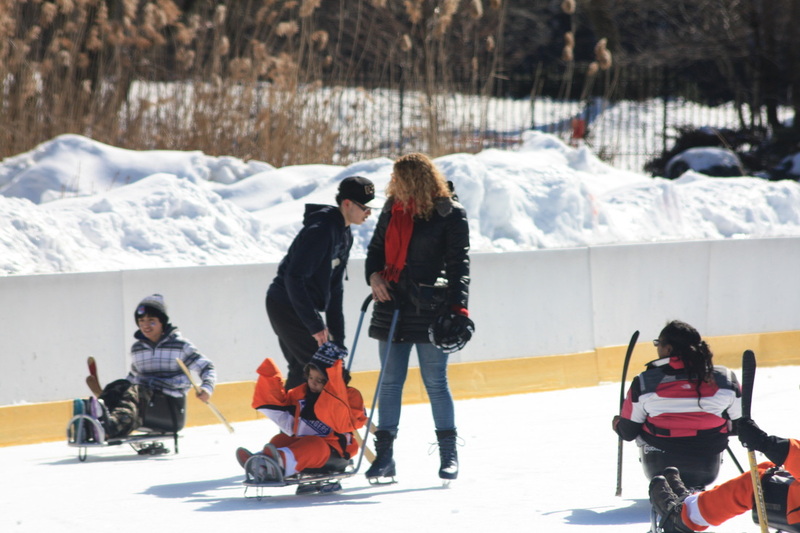 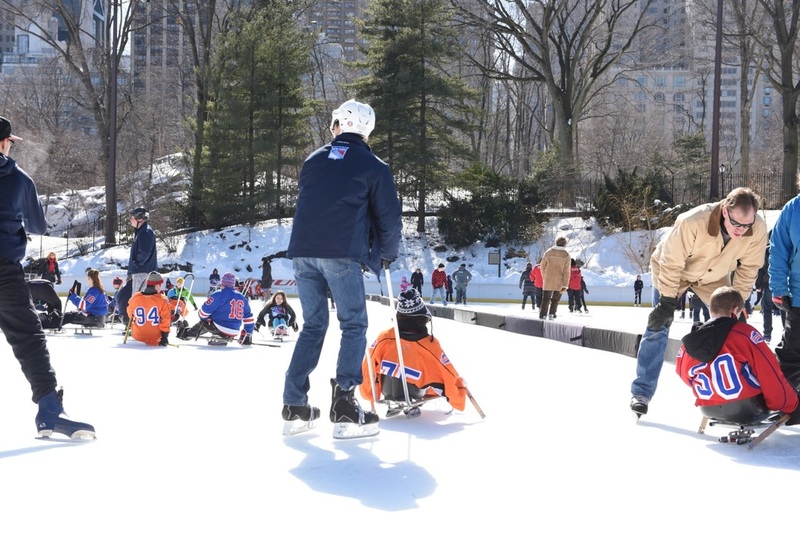 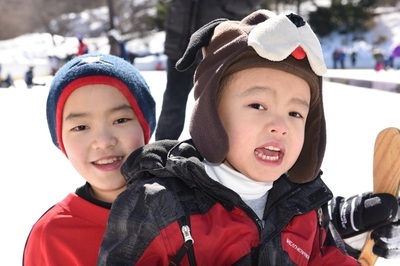 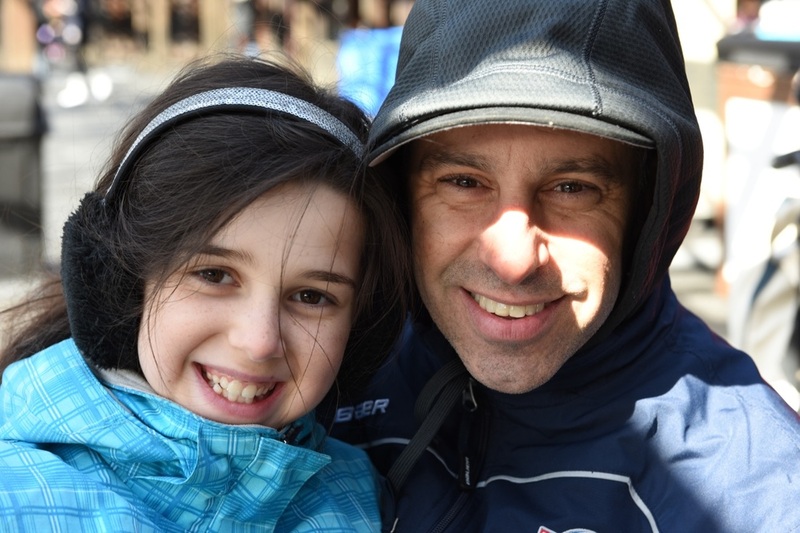 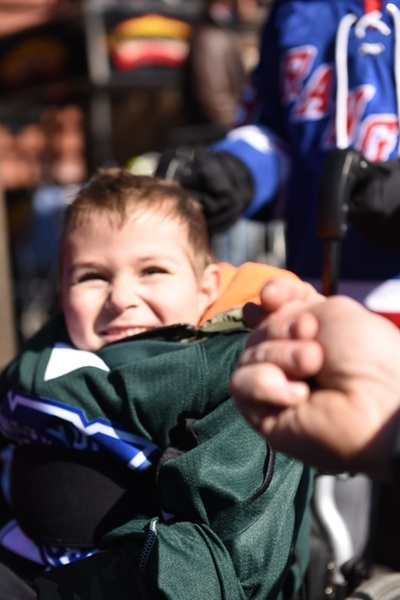 On 28 Februrary 2015, we held a Family Skate event in Wollman Rink. 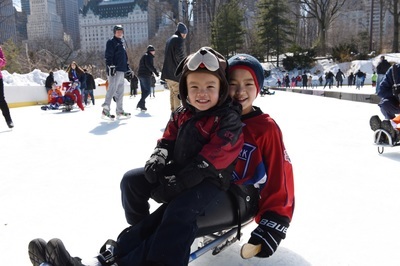 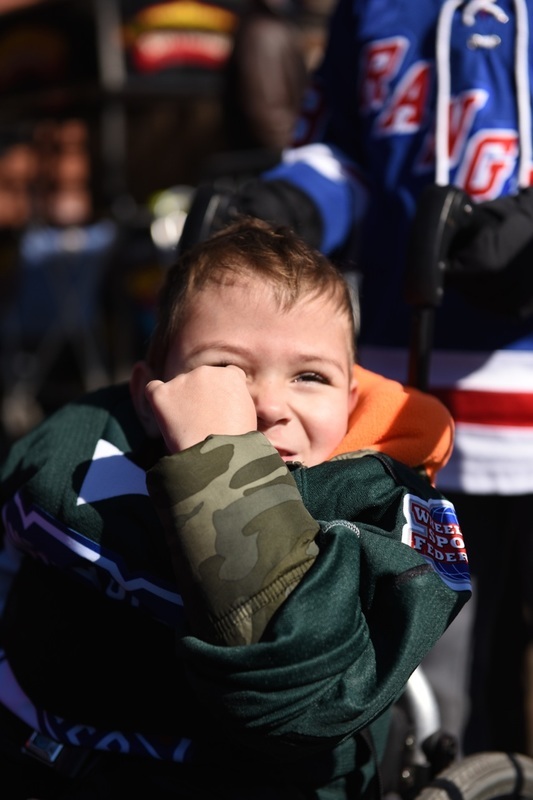 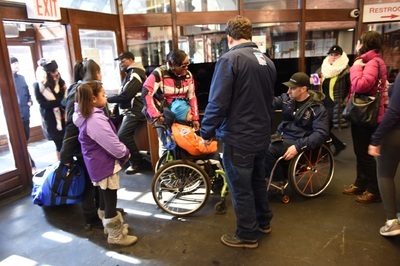 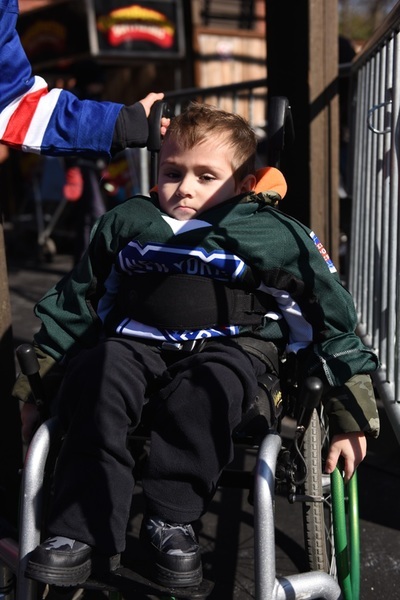 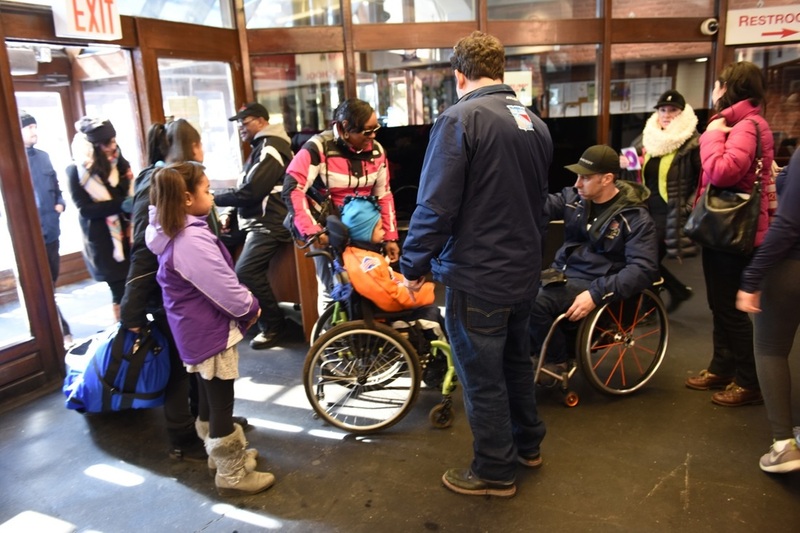 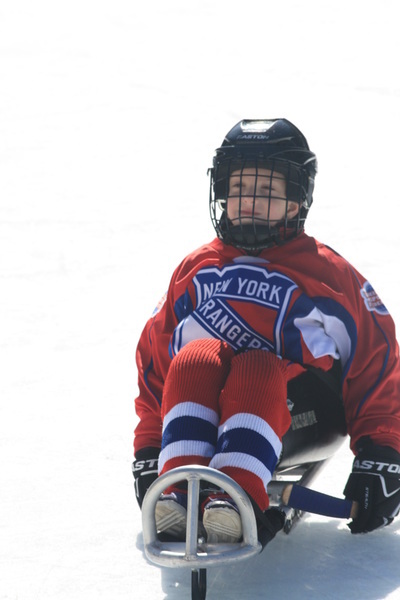 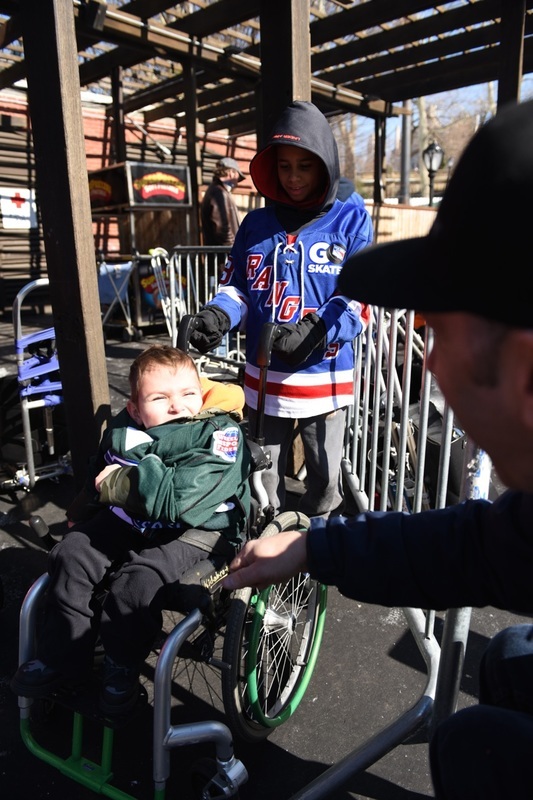 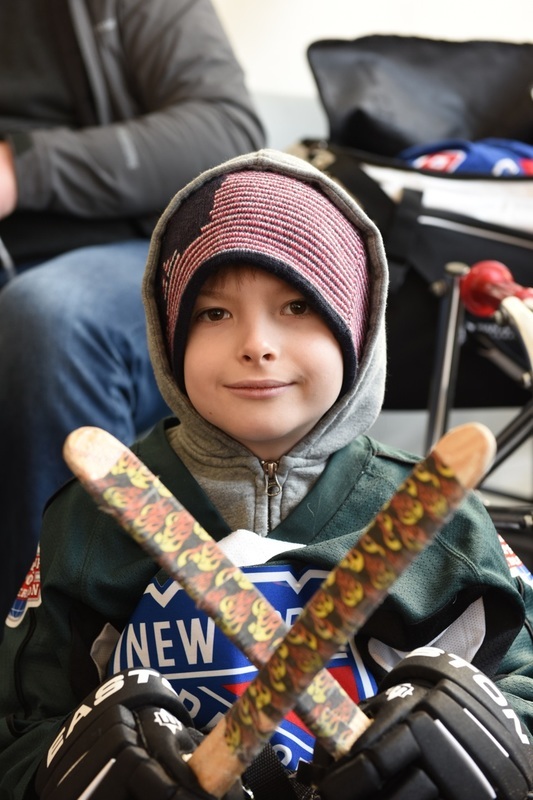 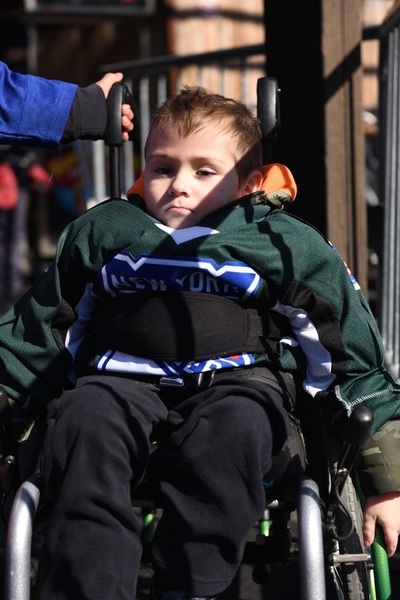 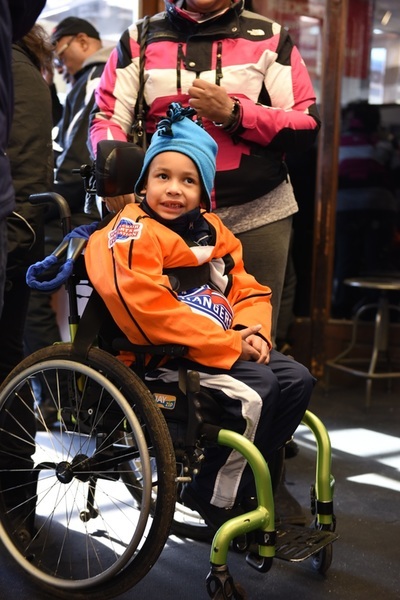 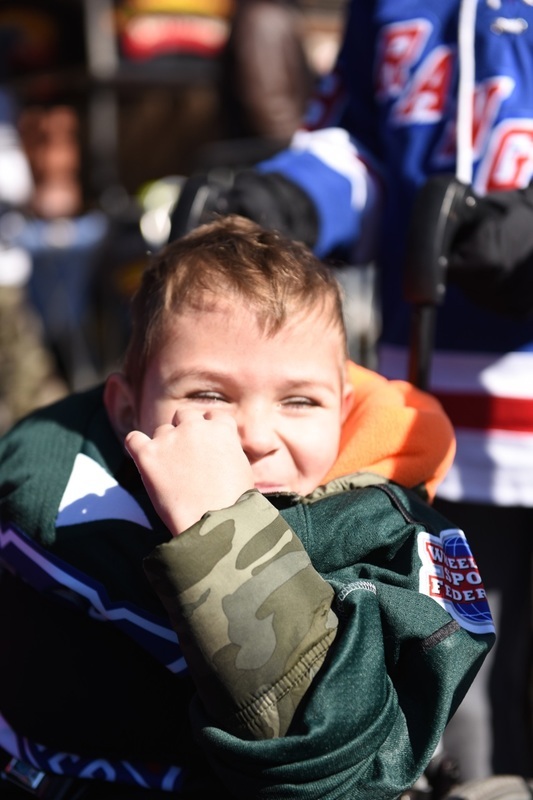 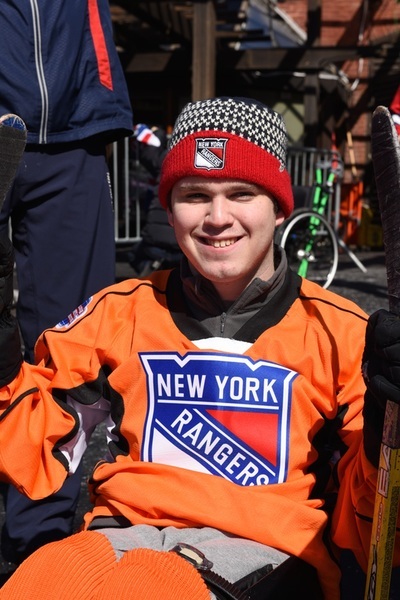 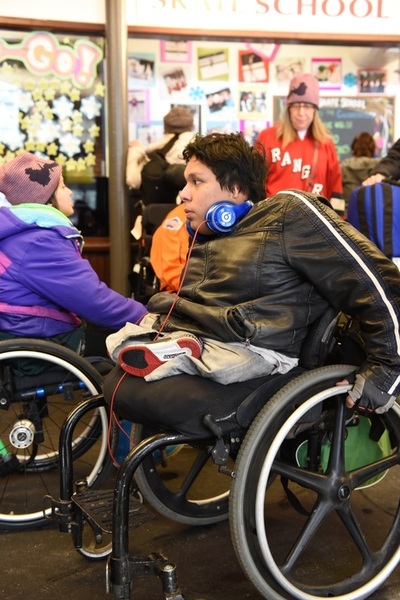 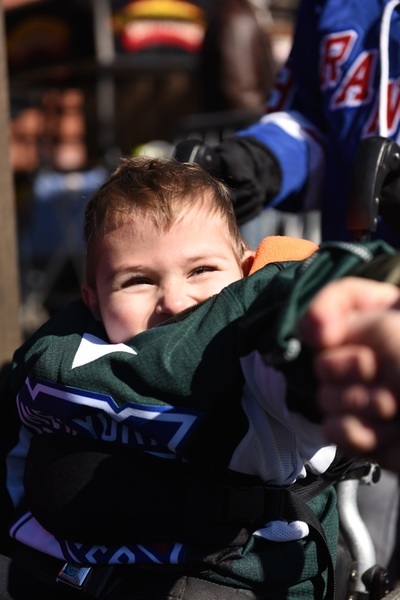 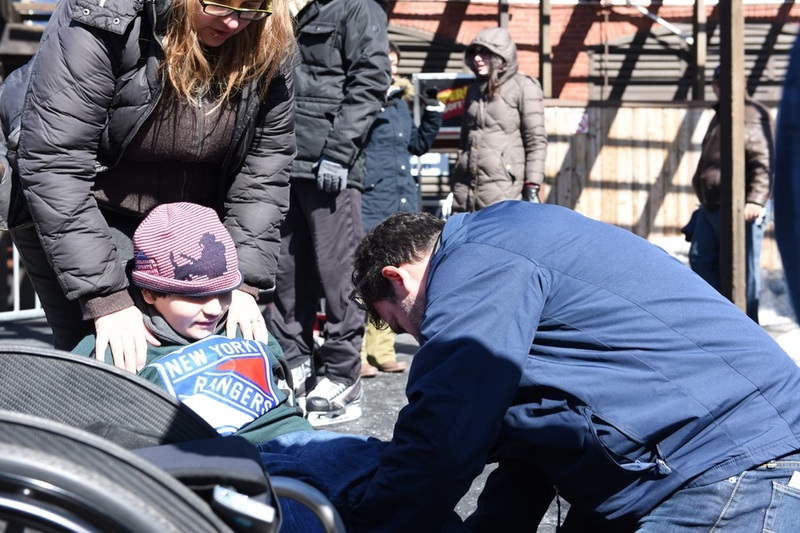 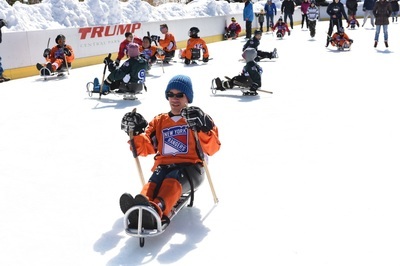 We wanted to thank all of our friends and supporters who have helped us over the last two years by showing them how we have grown and how we are changing the lives of disabled kids in New York City. 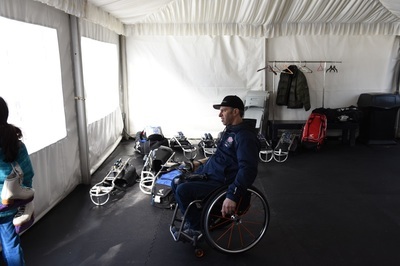 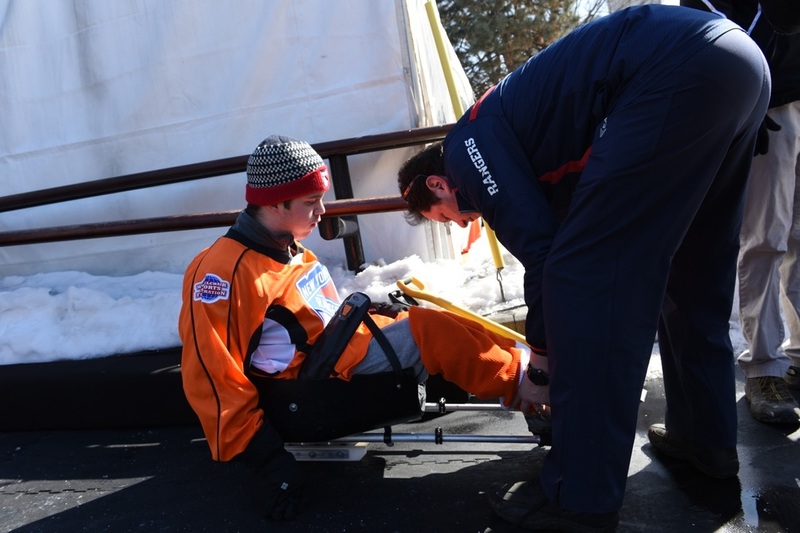 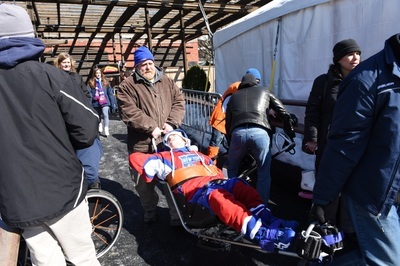 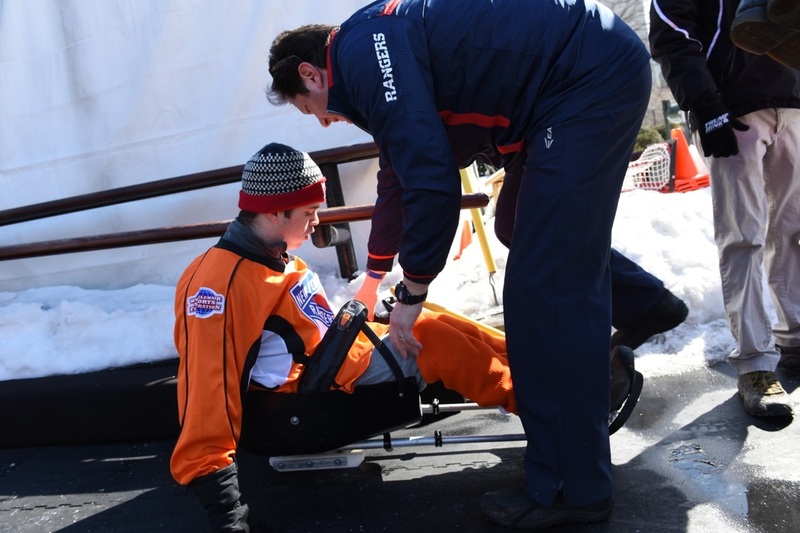 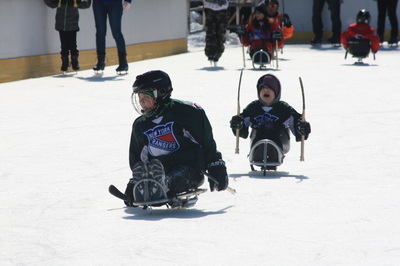 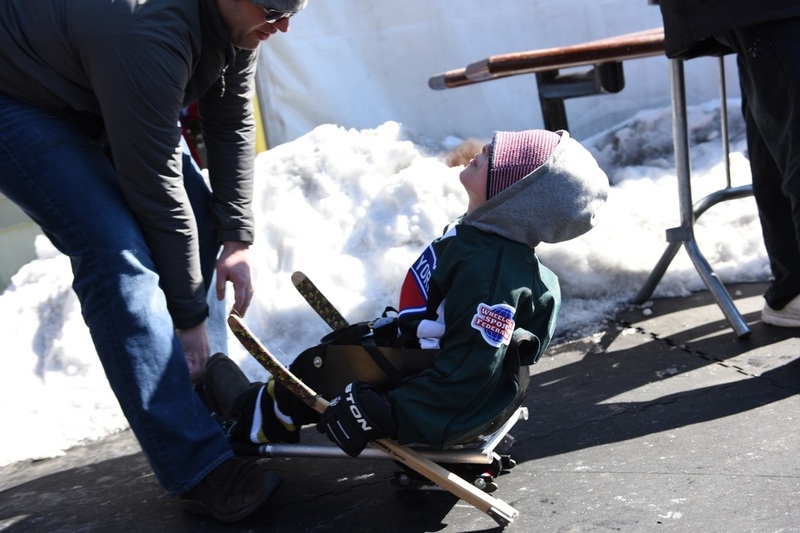 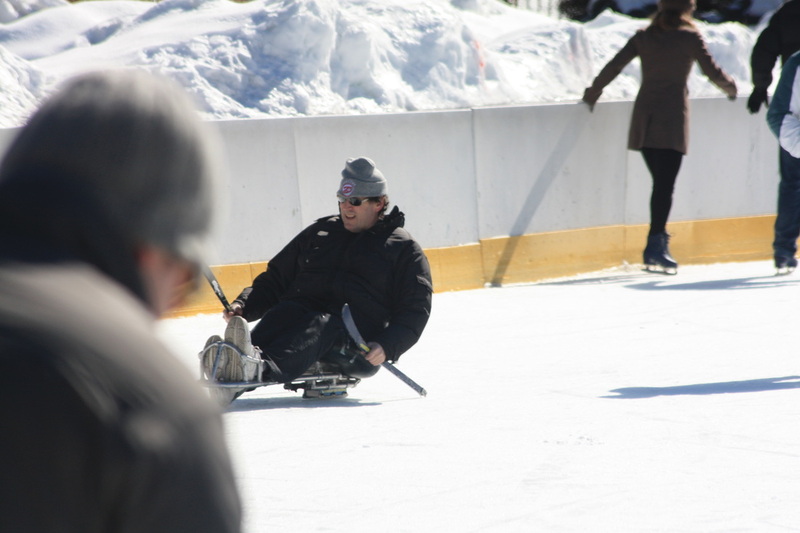 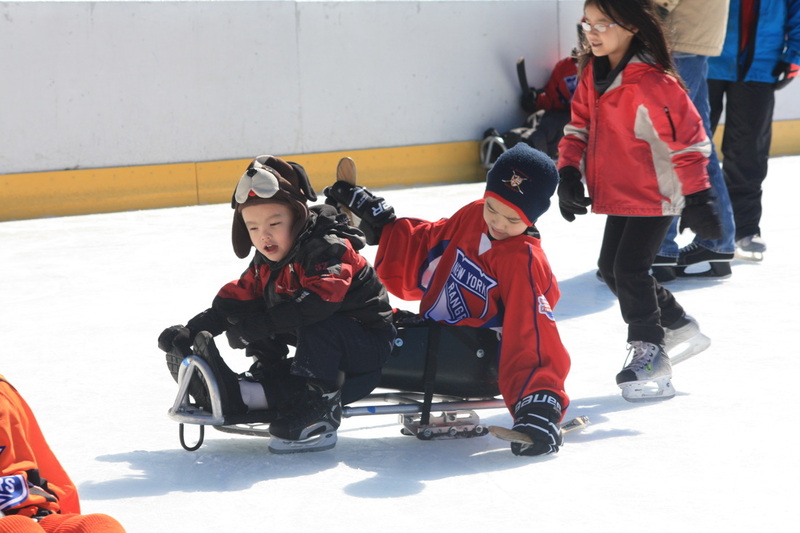 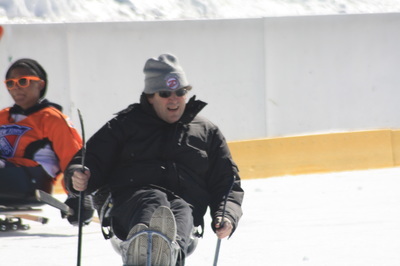 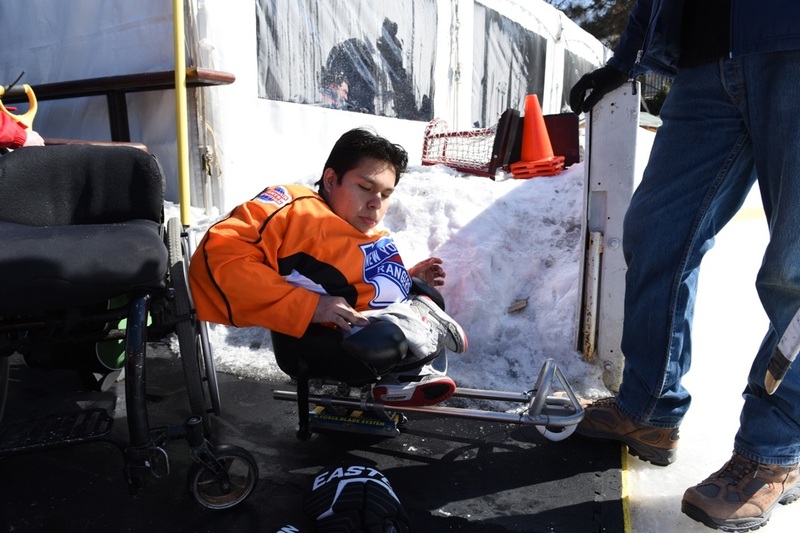 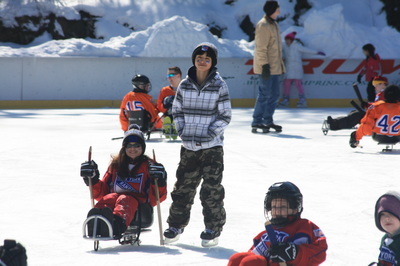 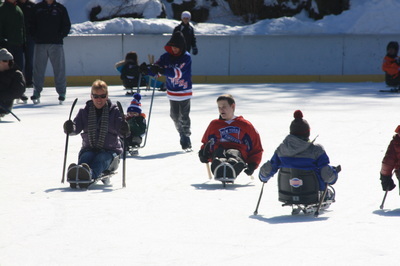 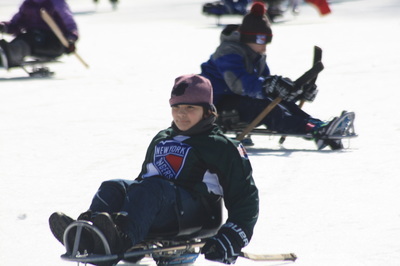 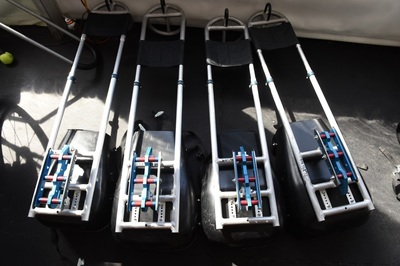 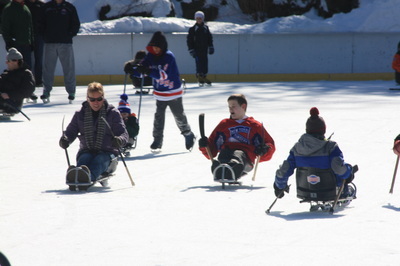 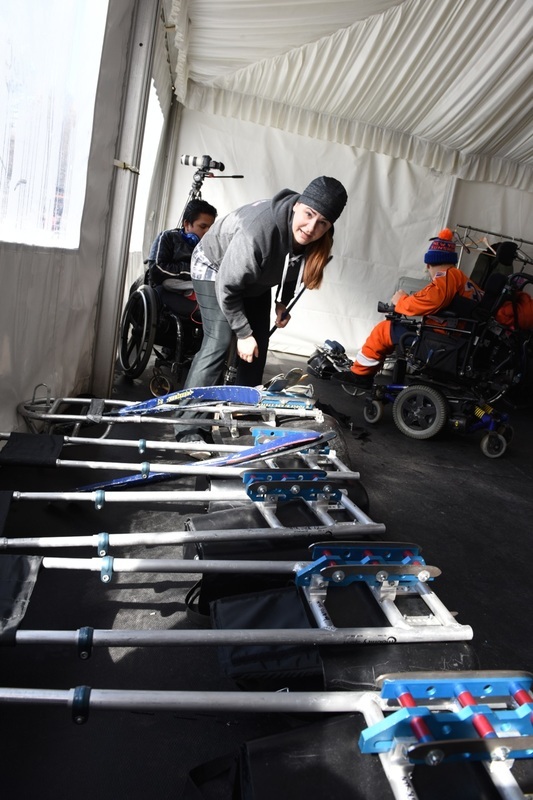 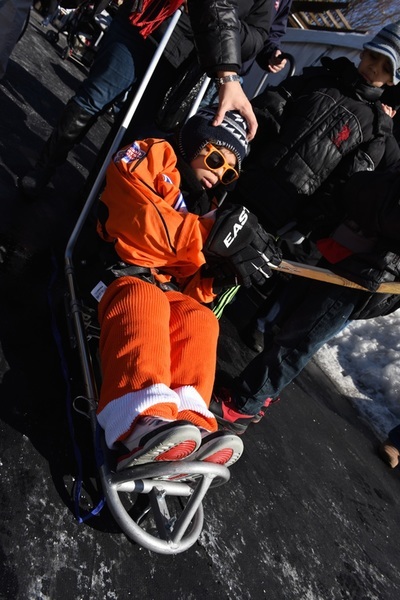 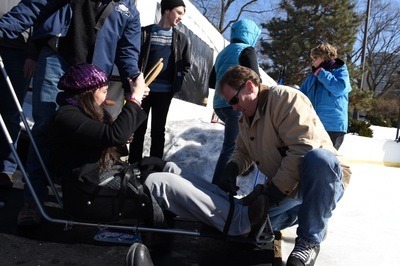 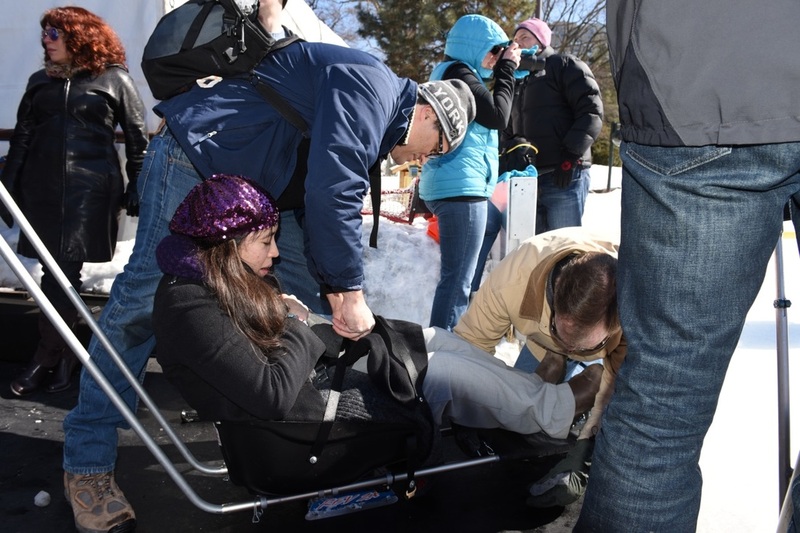 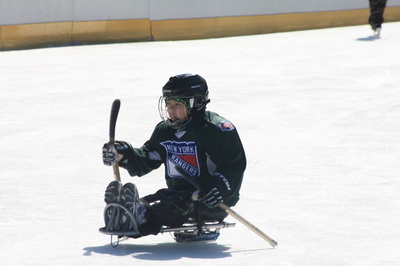 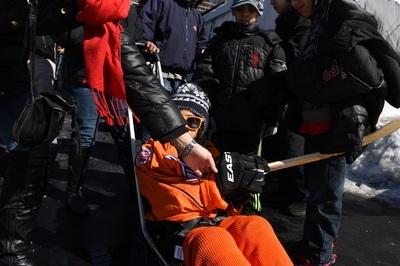 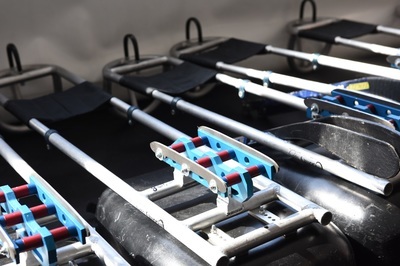 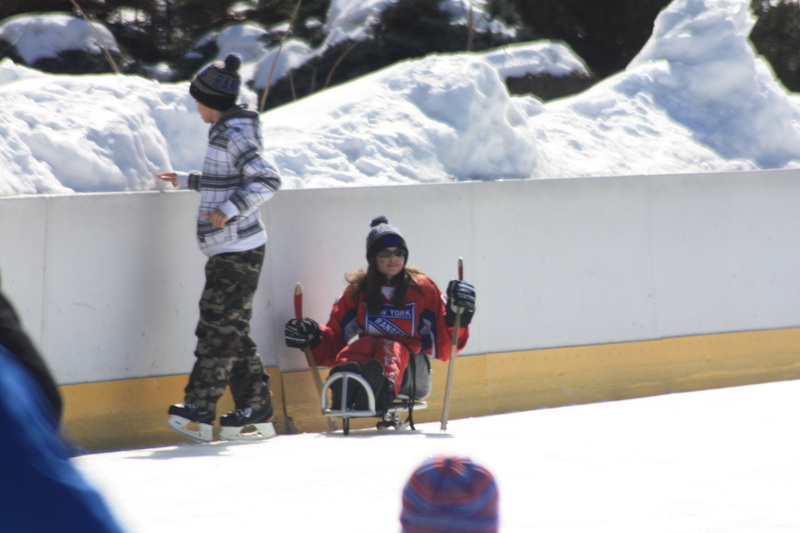 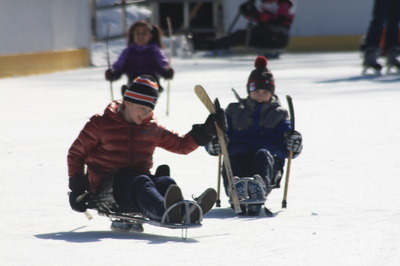 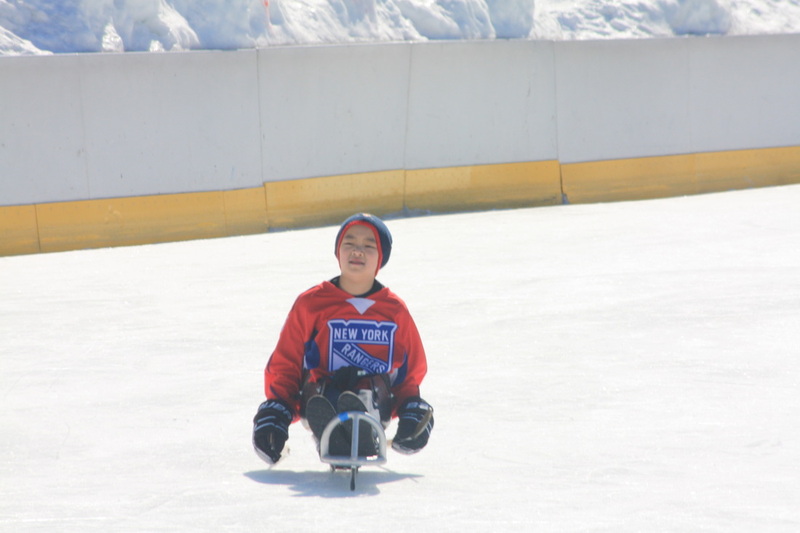 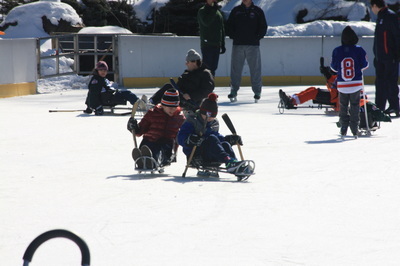 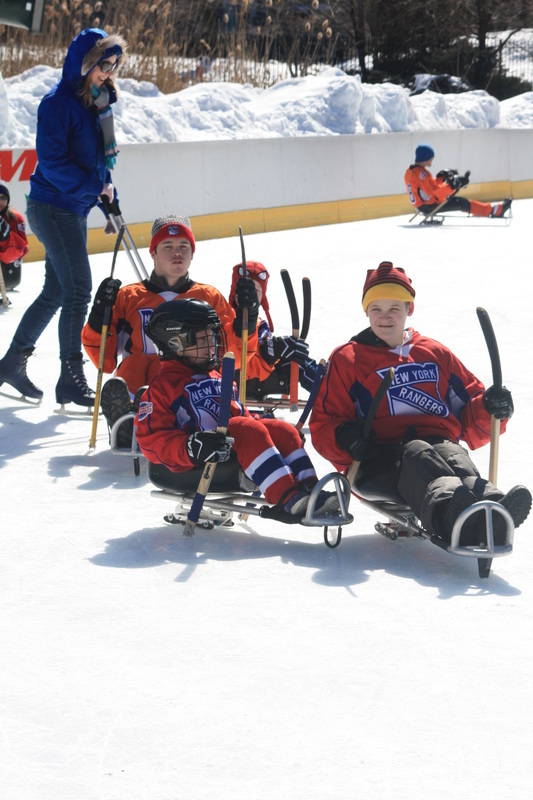 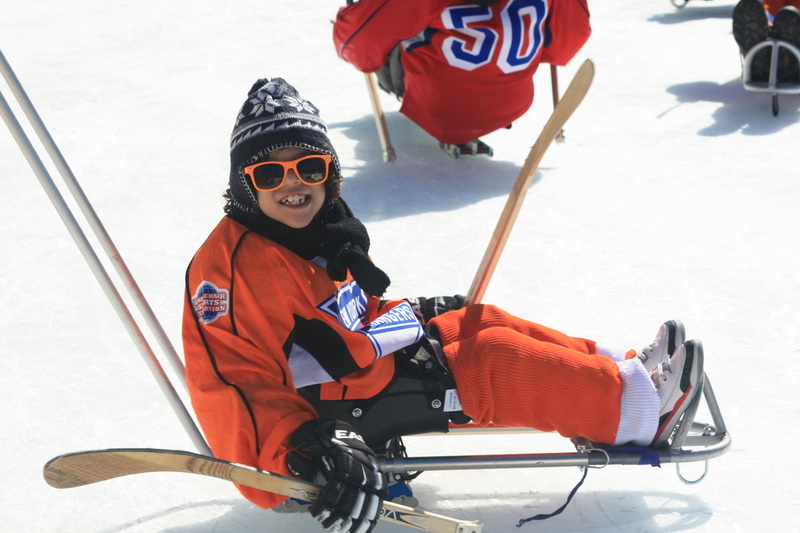 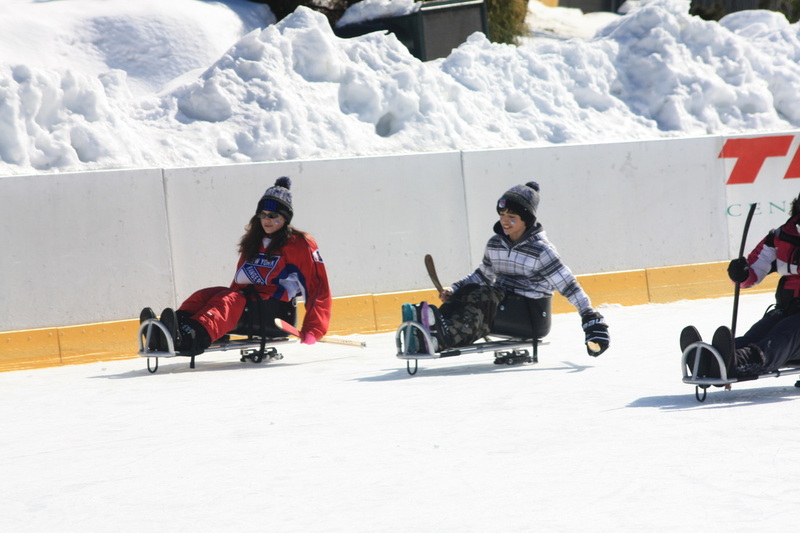 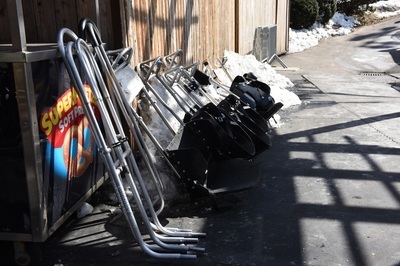 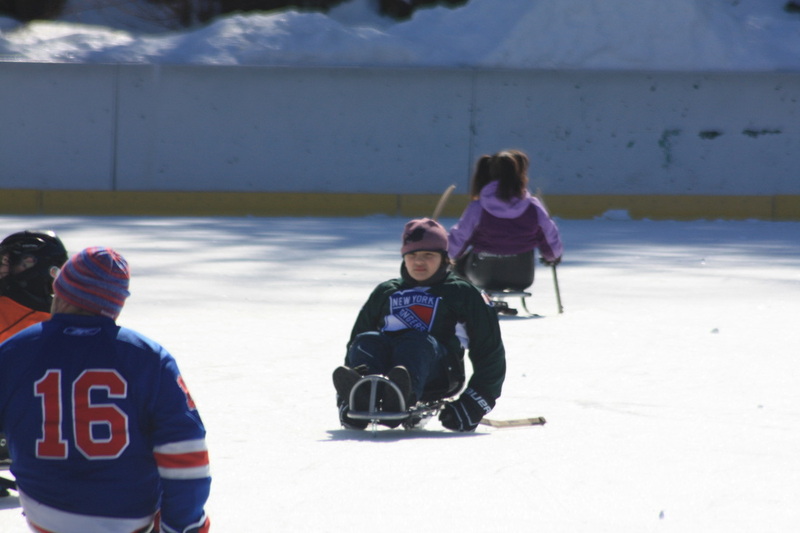 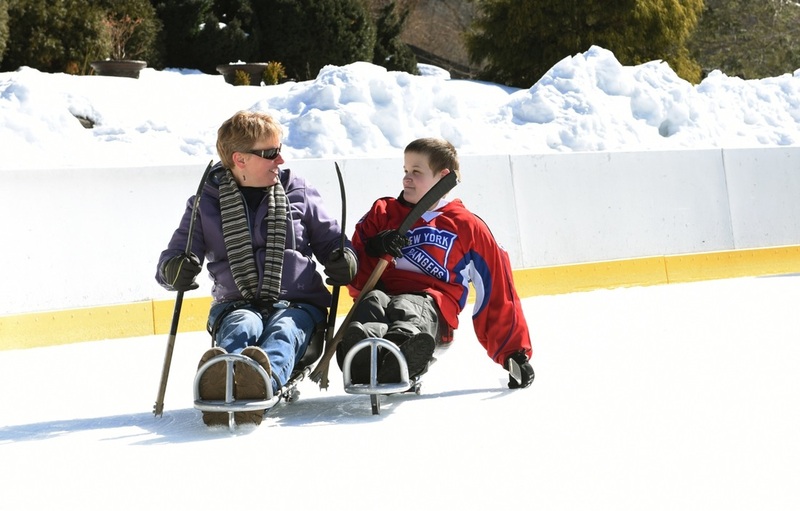 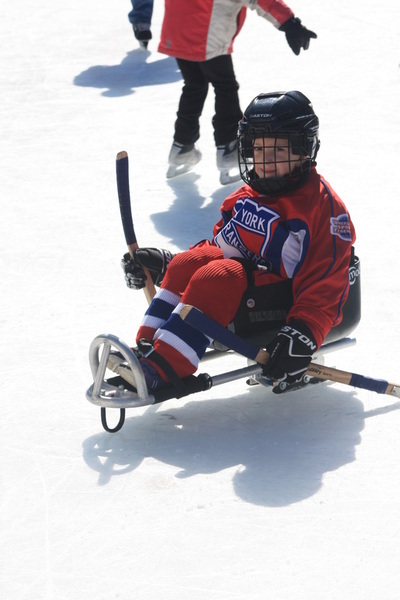 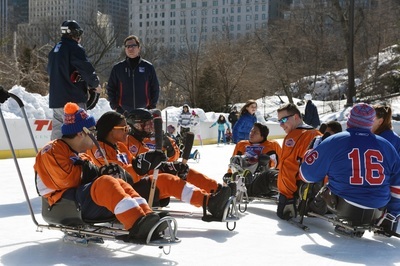 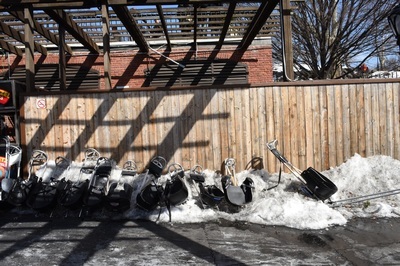 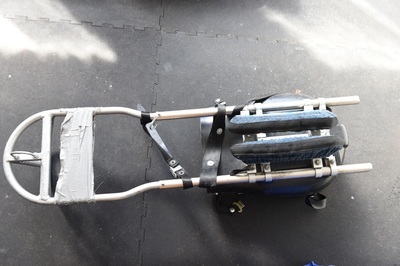 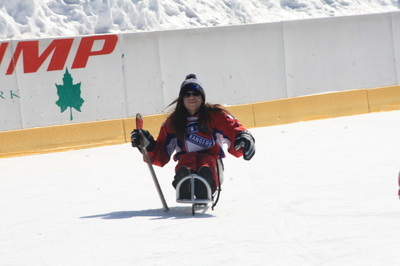 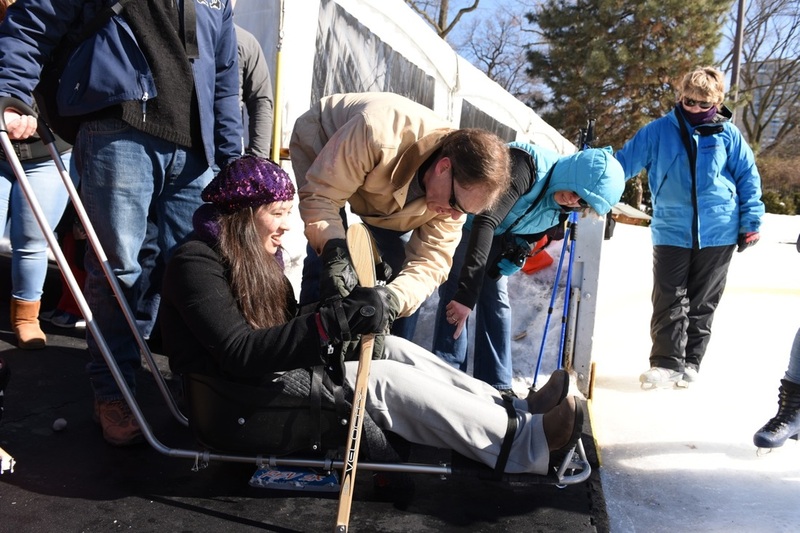 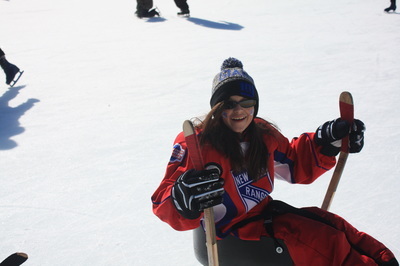 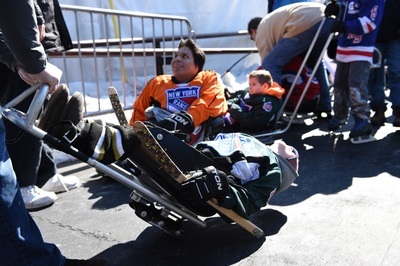 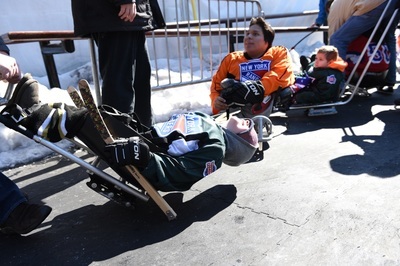 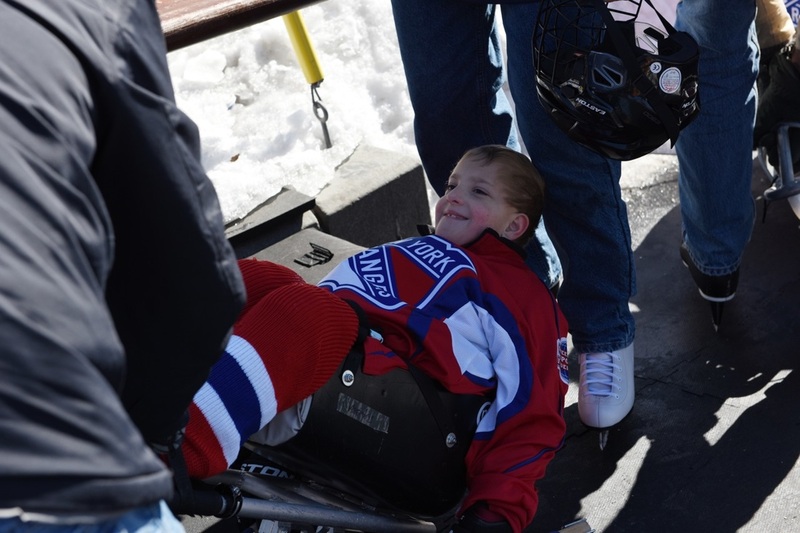 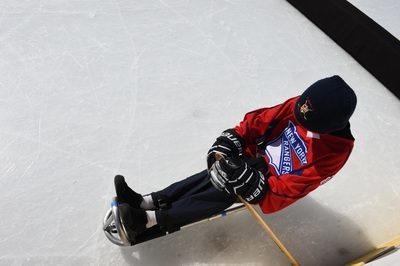 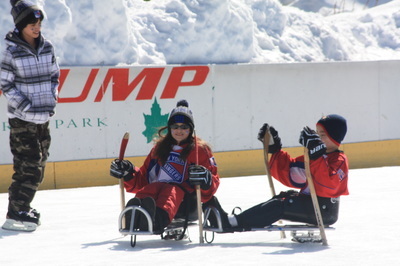 We had lots of extra sleds for people to try and able bodied kids and adults had fun trying them out. 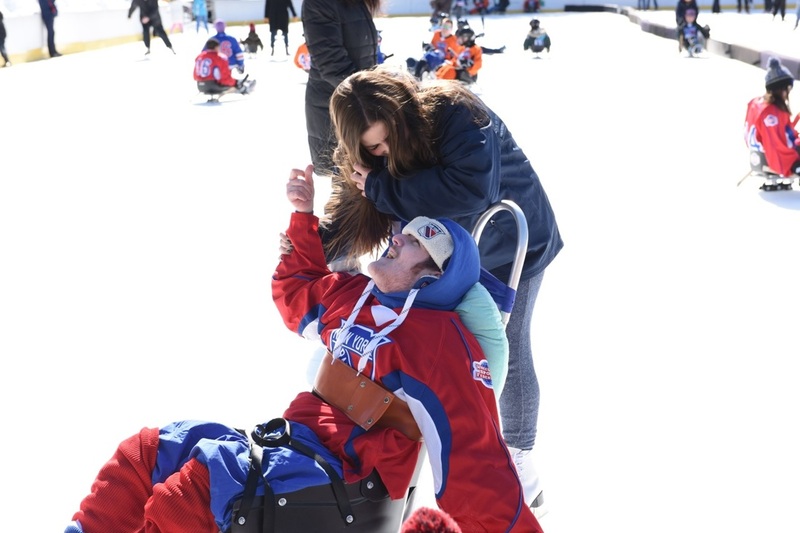 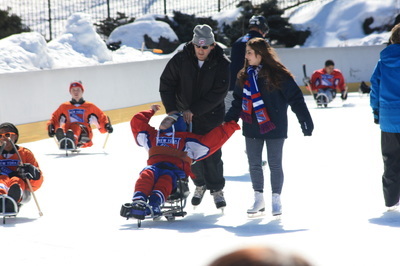 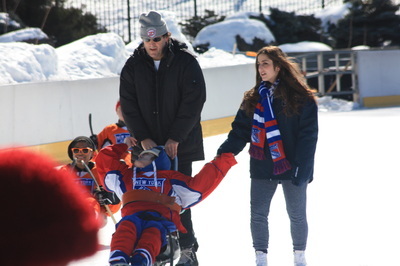 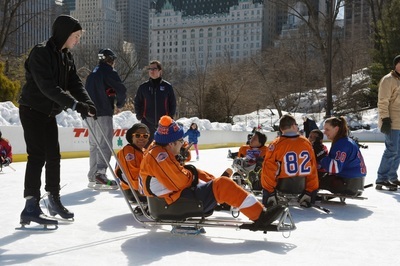 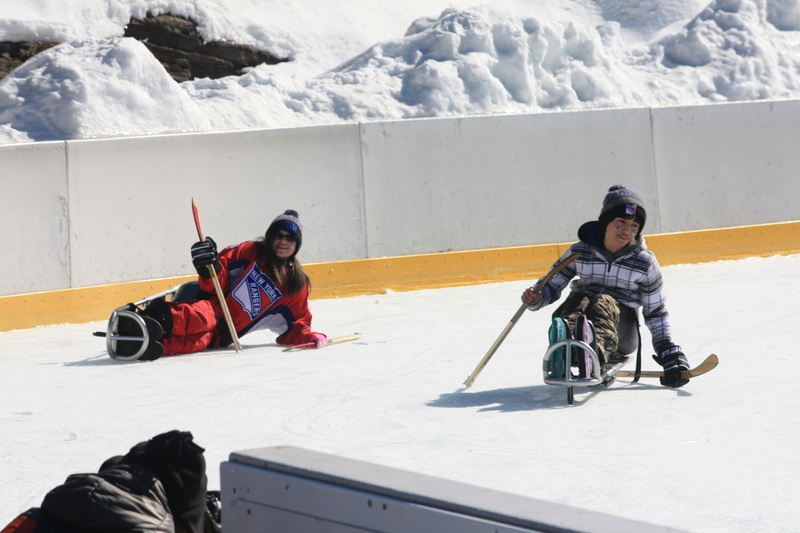 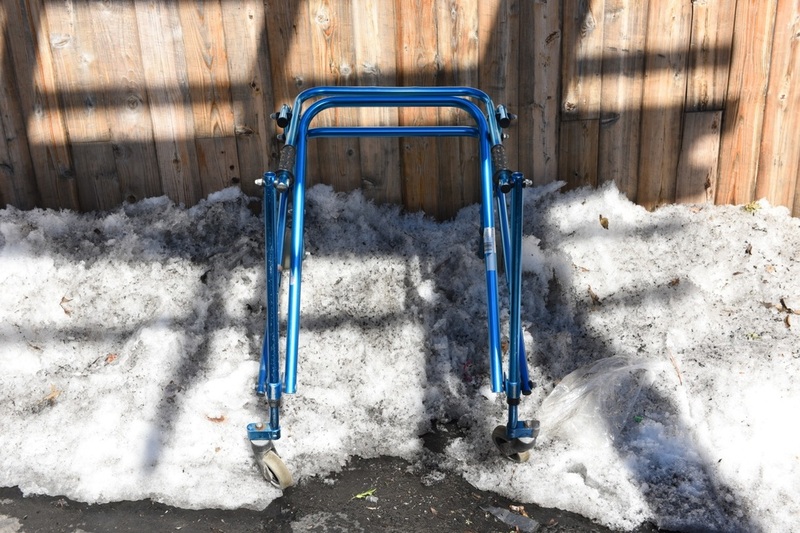 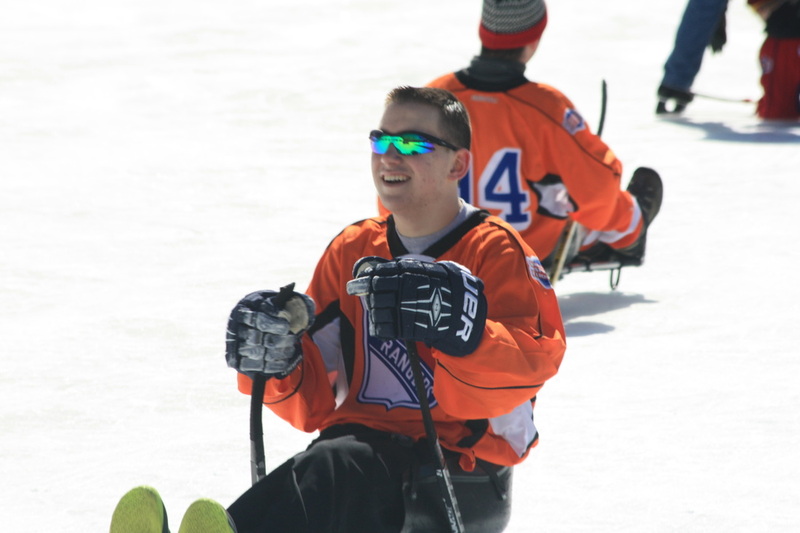 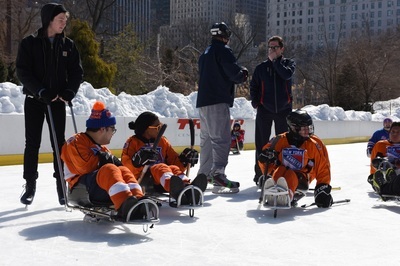 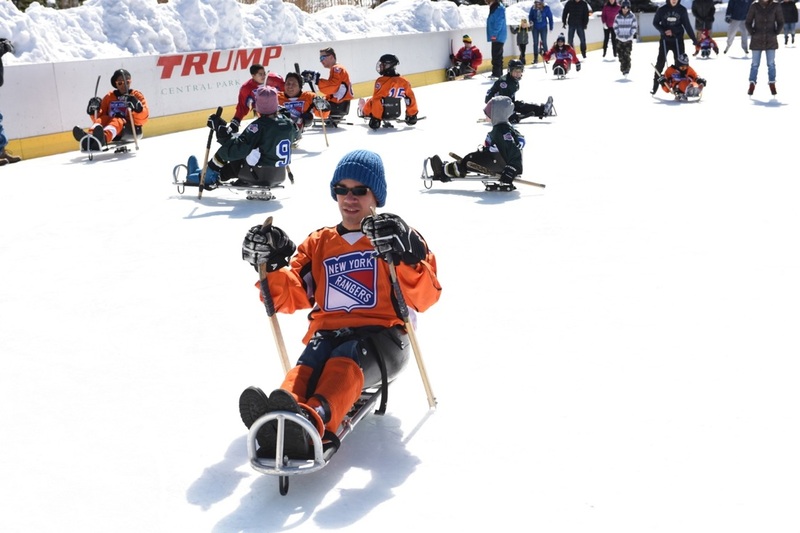 As expected, they were no match for our athletes on the ice! 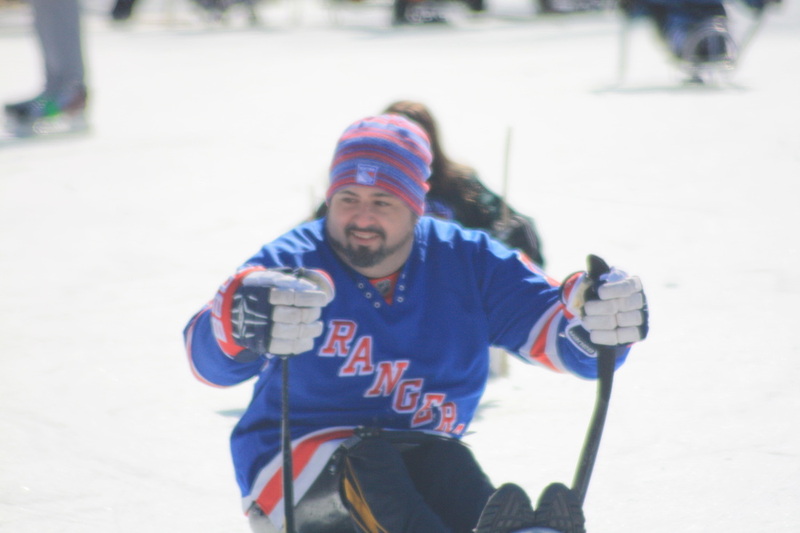 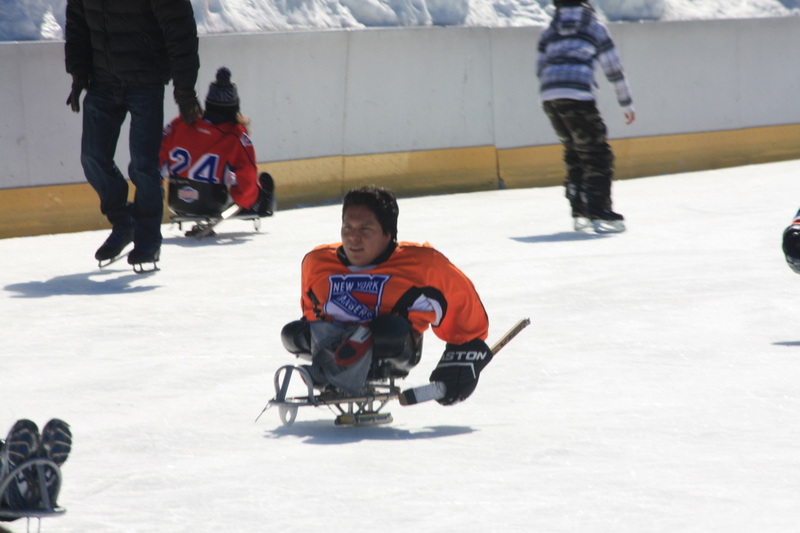 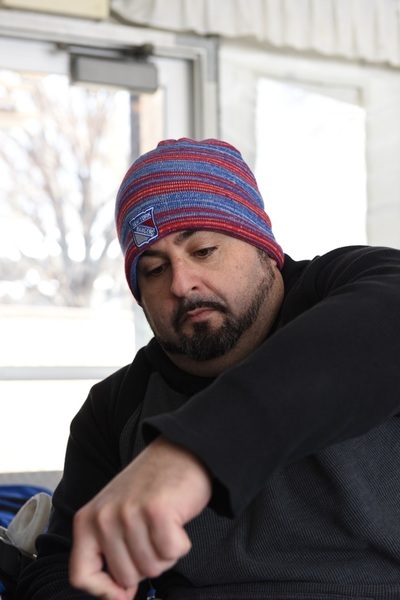 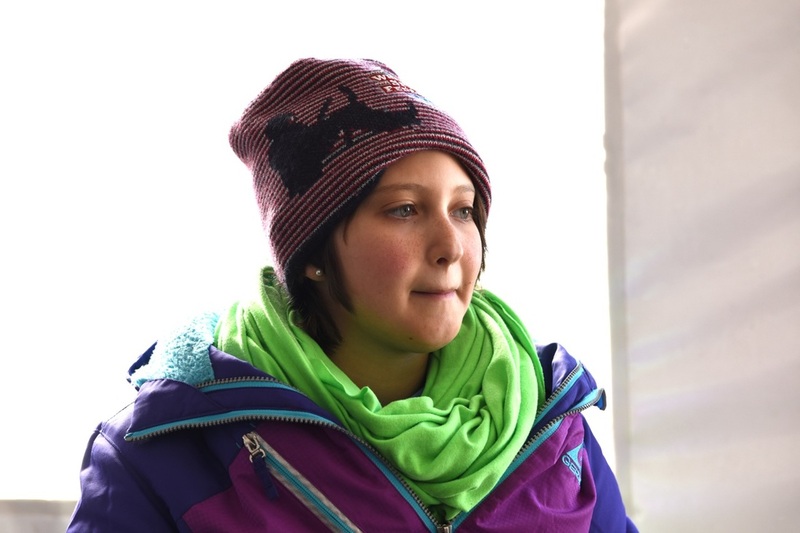 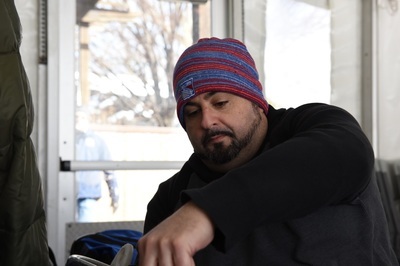 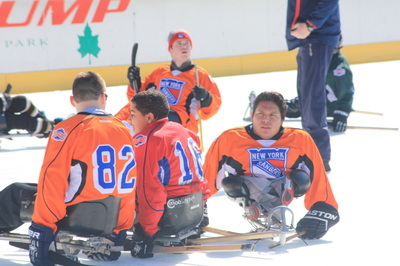 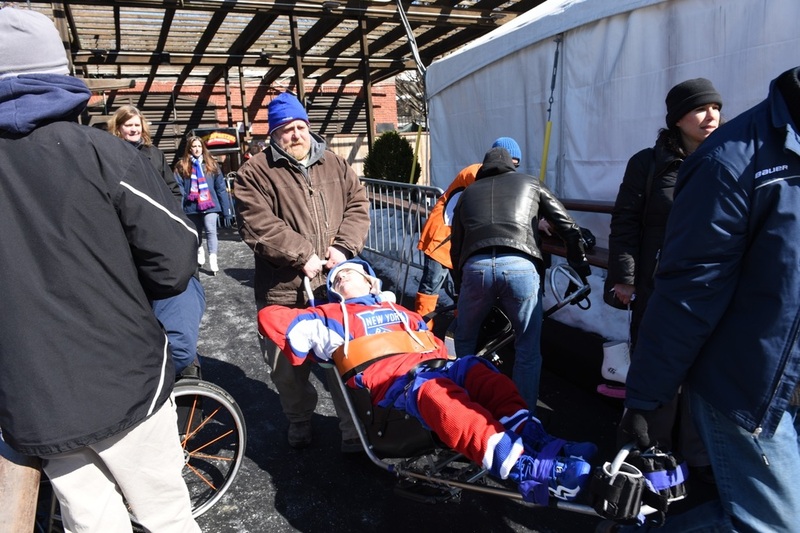 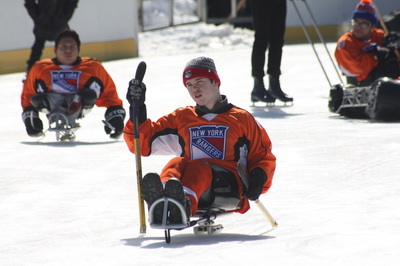 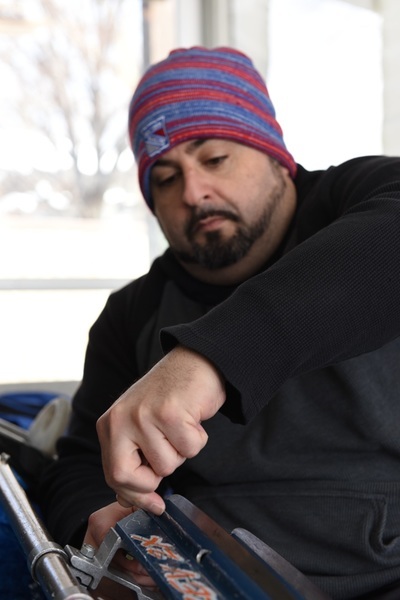 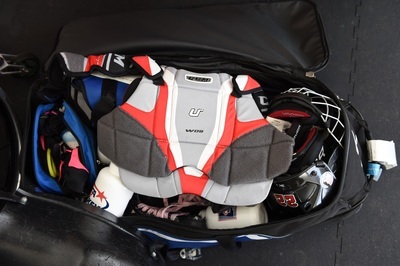 Matt Petosa is a good friend of the WSF Sled Rangers, and he took these pictures. 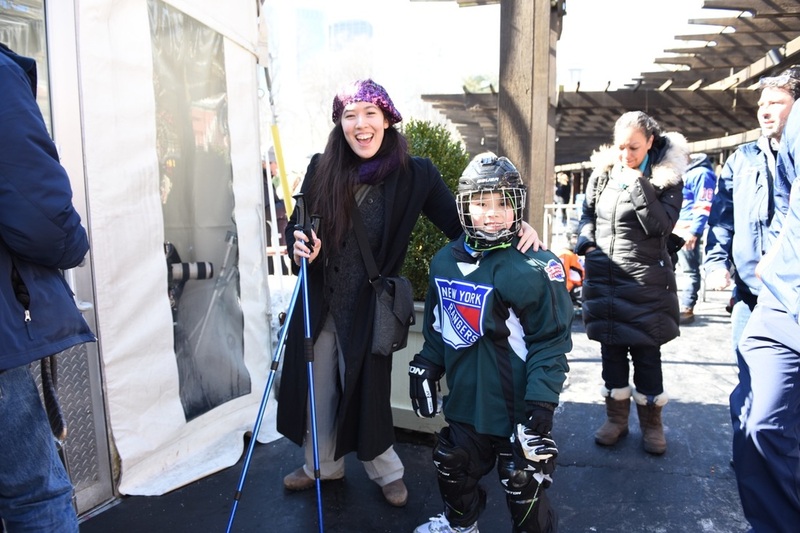 We will be back at Bryant Park next Februrary for another Breakaway! fundraising event.